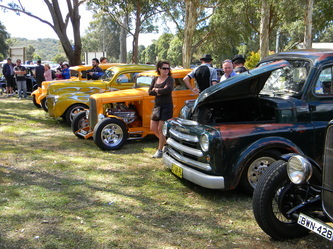 A fine day saw a good crowd turn up to this years show and shine. 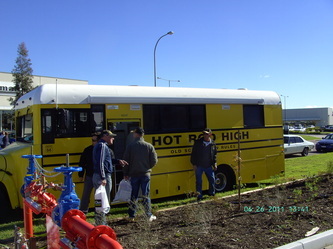 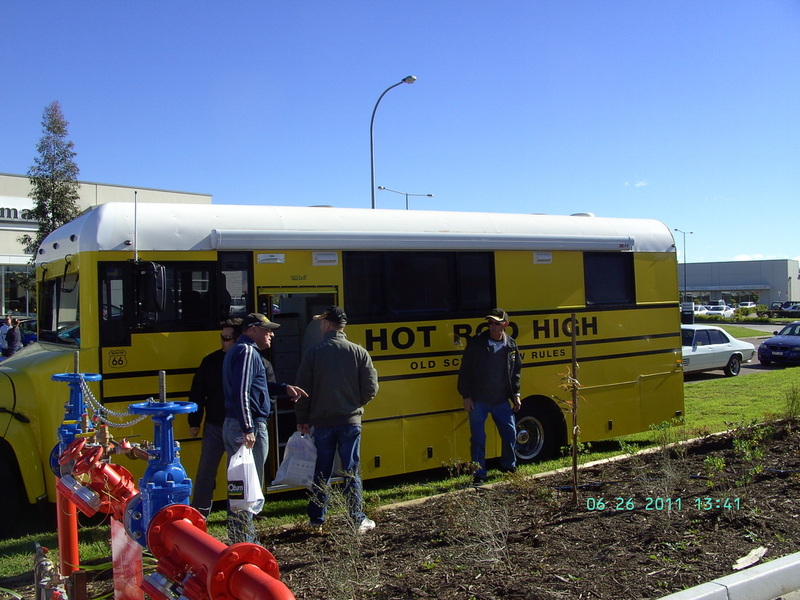 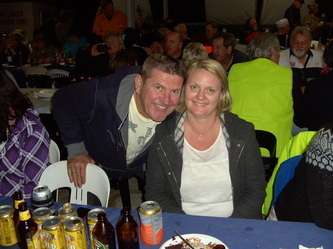 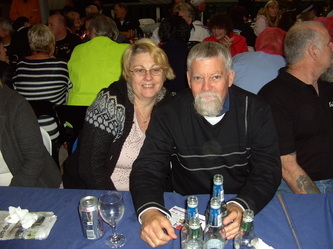 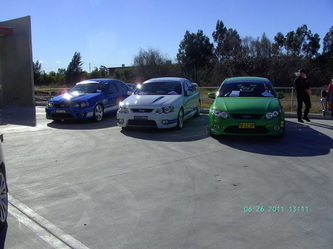 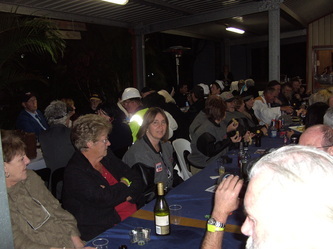 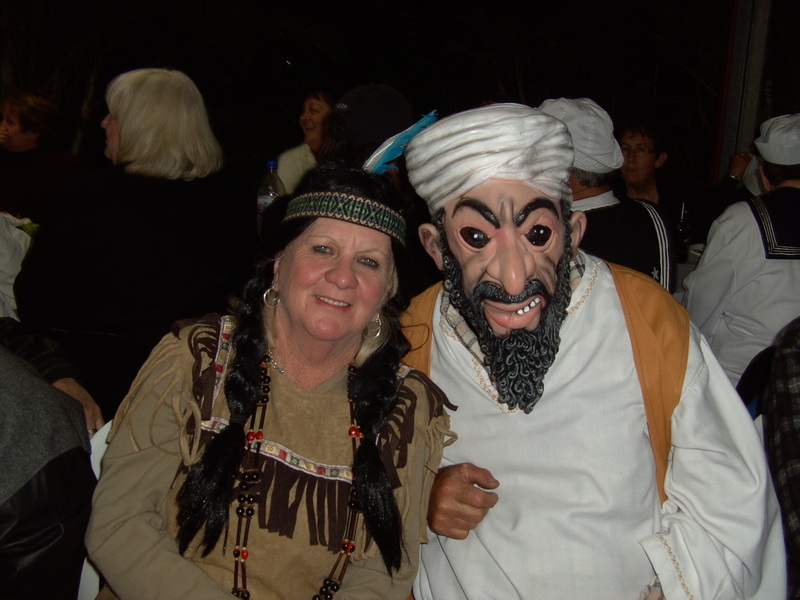 As can be seen by the photo's some of our members and friends enjoyed the day a great deal more than others. 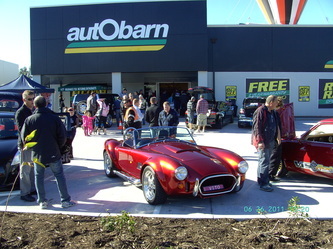 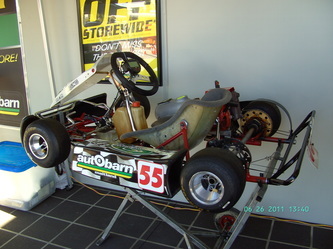 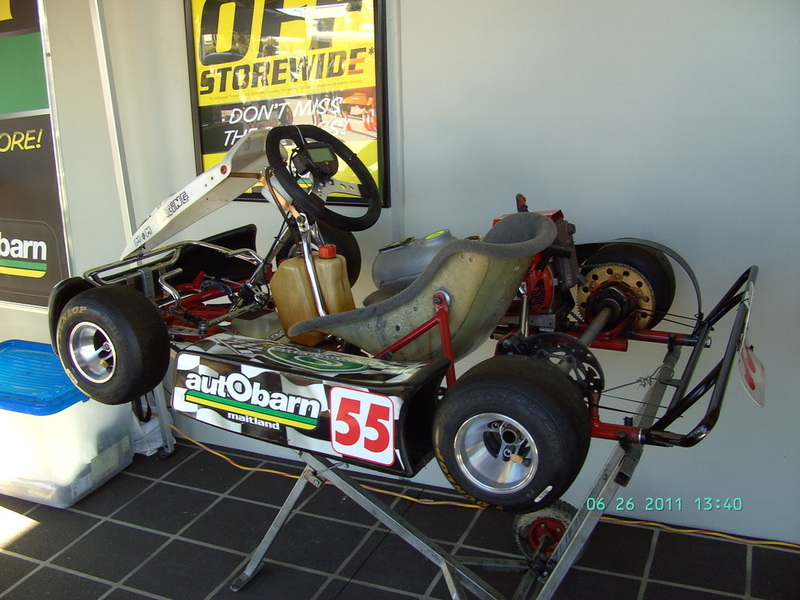 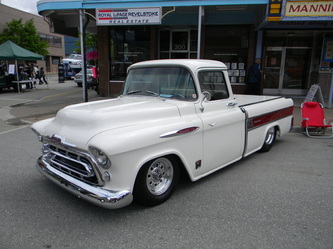 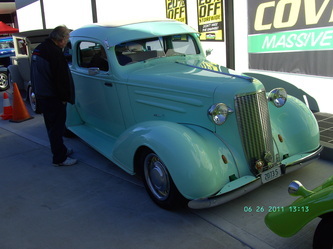 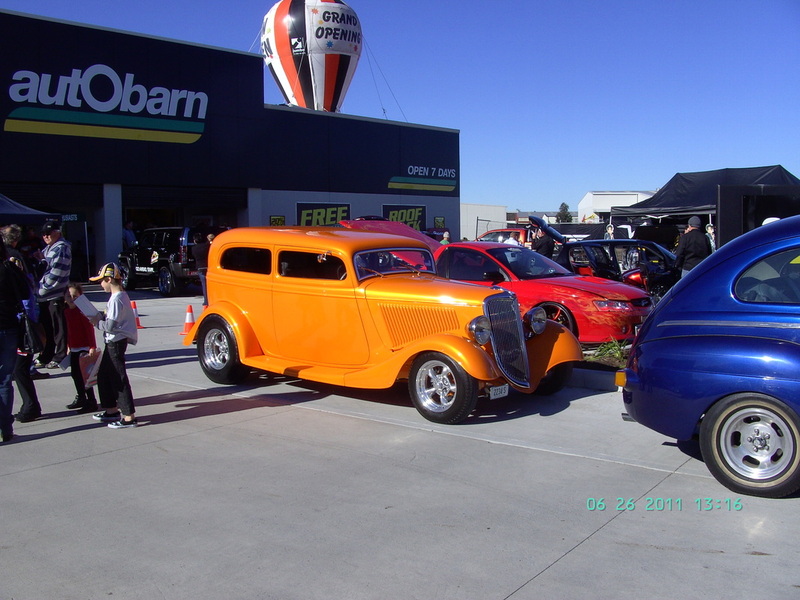 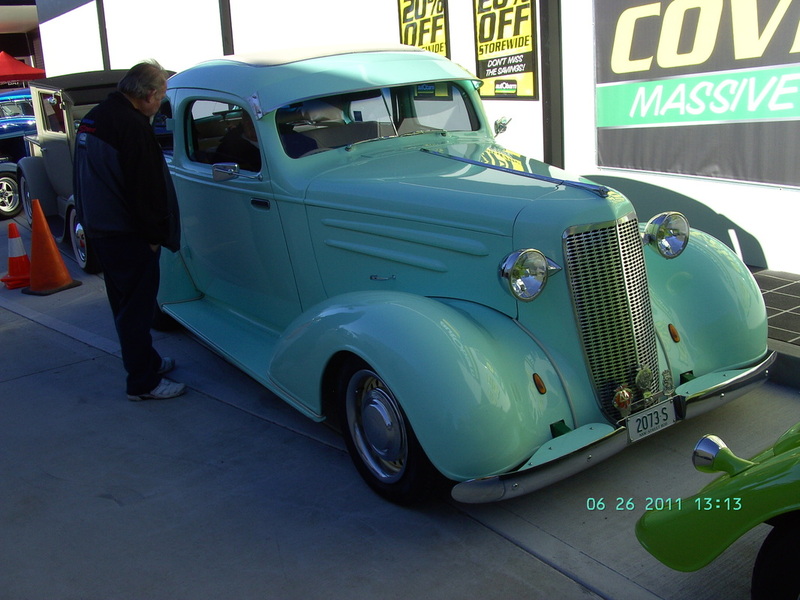 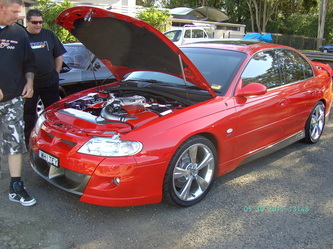 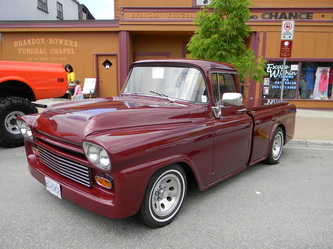 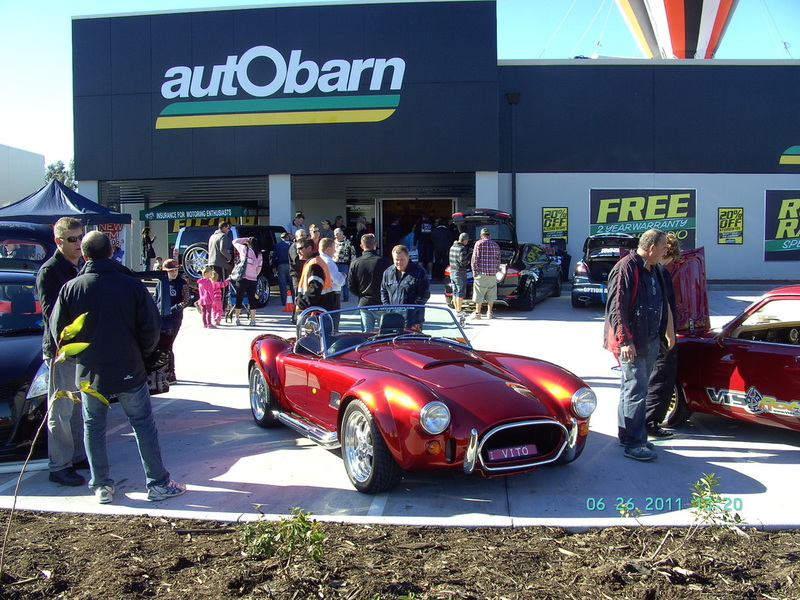 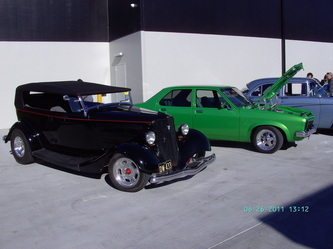 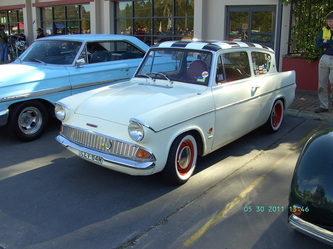 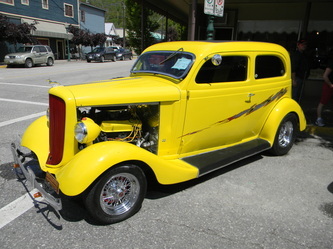 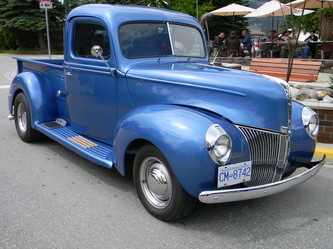 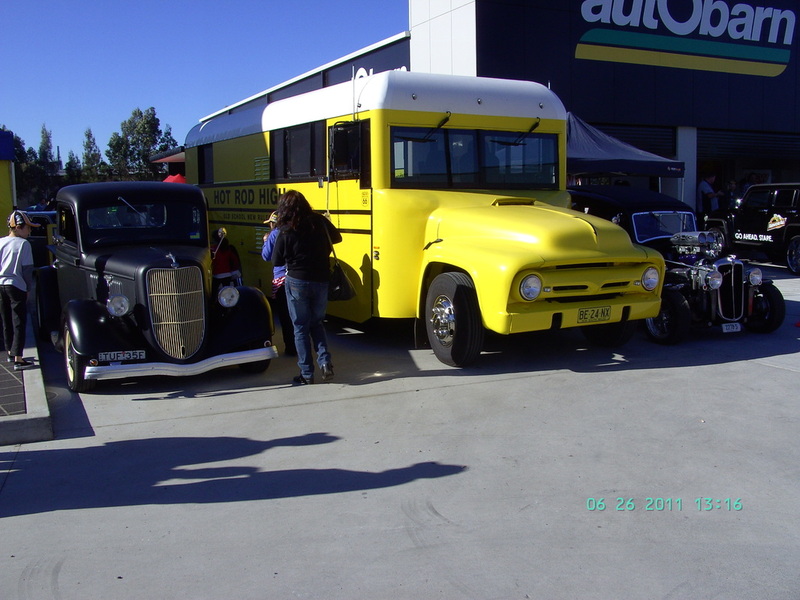 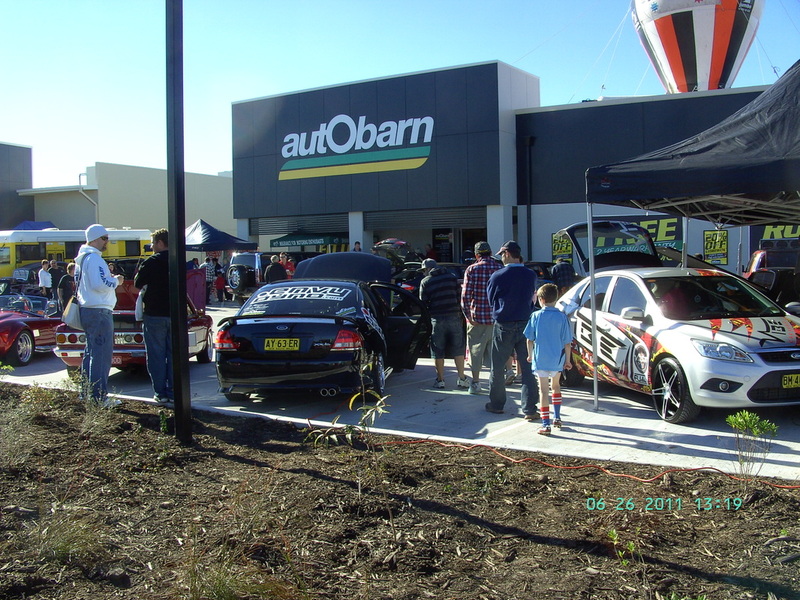 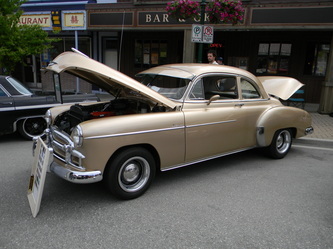 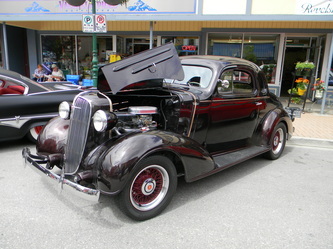 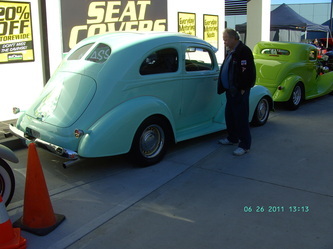 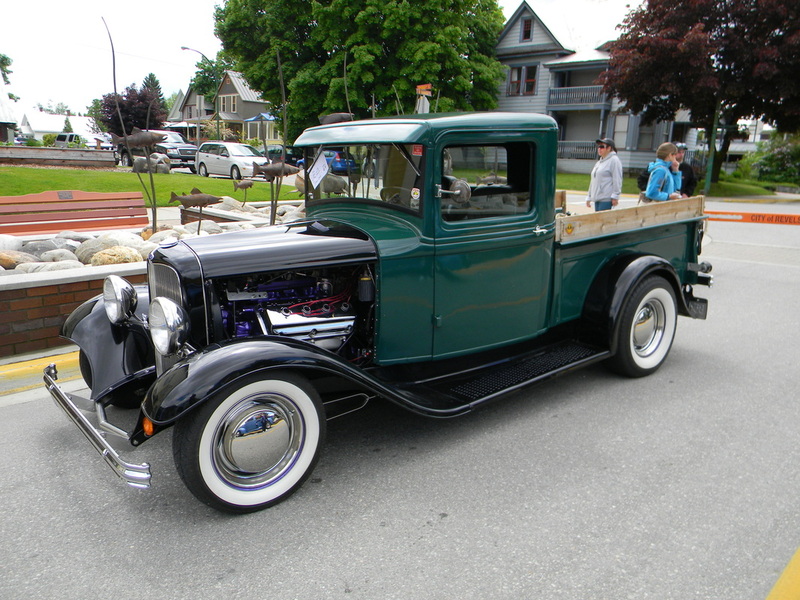 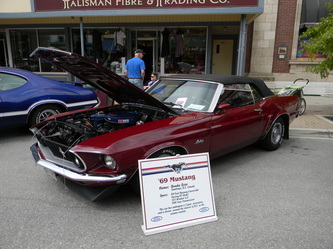 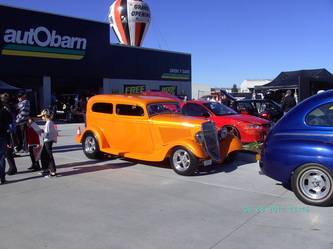 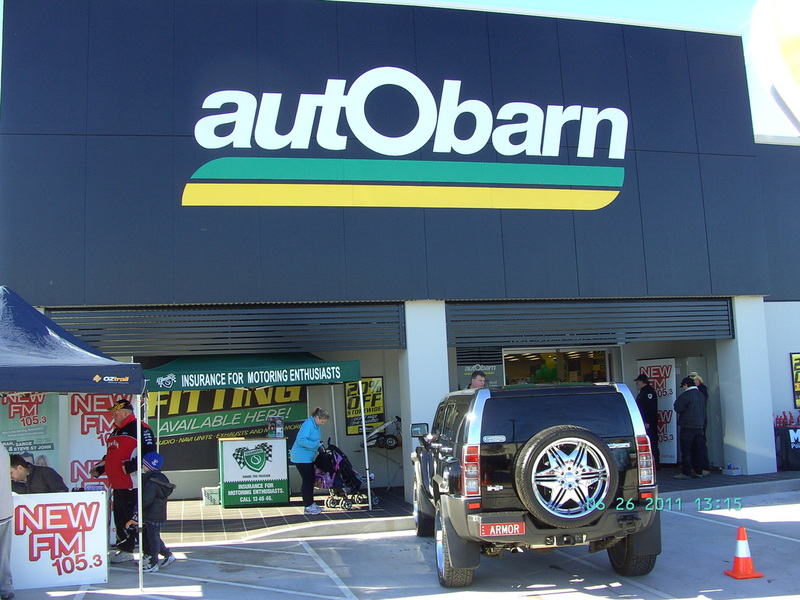 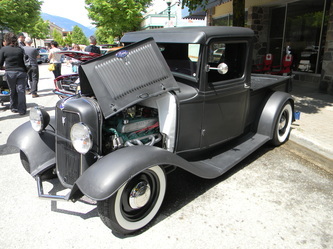 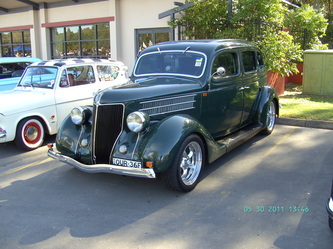 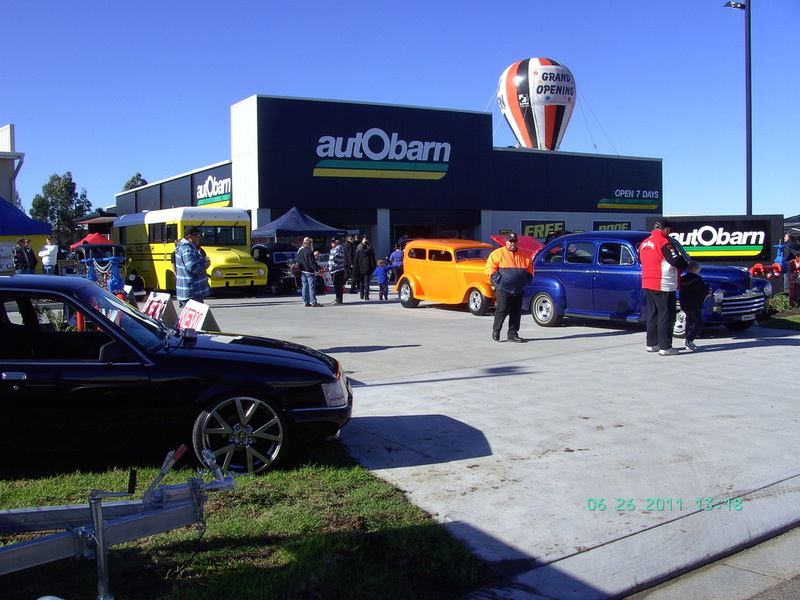 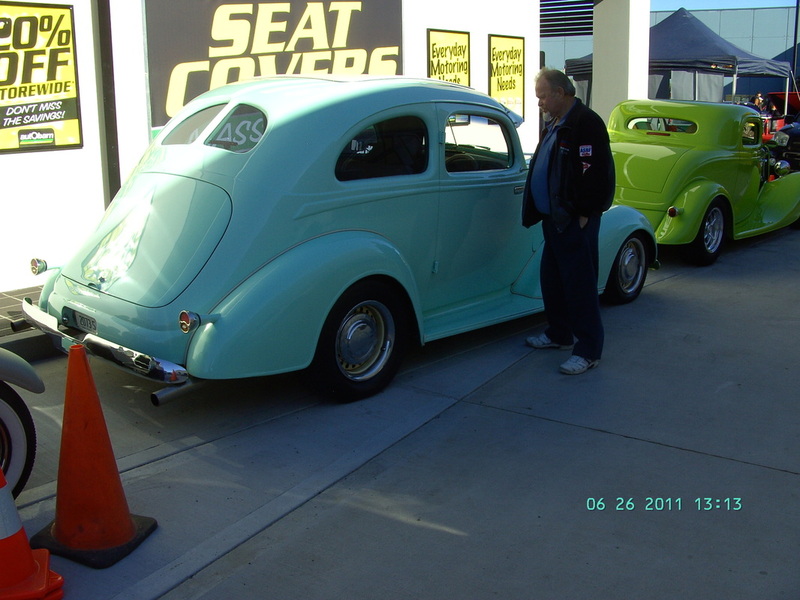 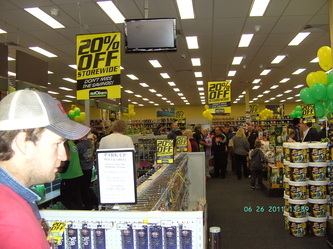 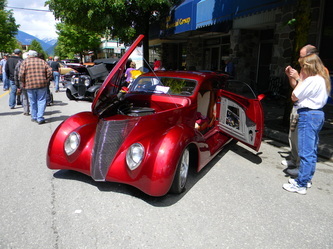 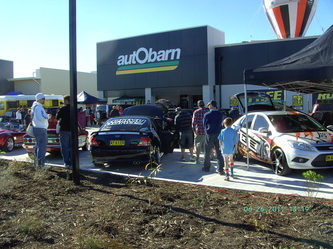 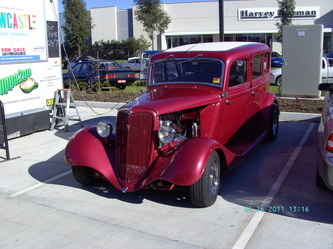 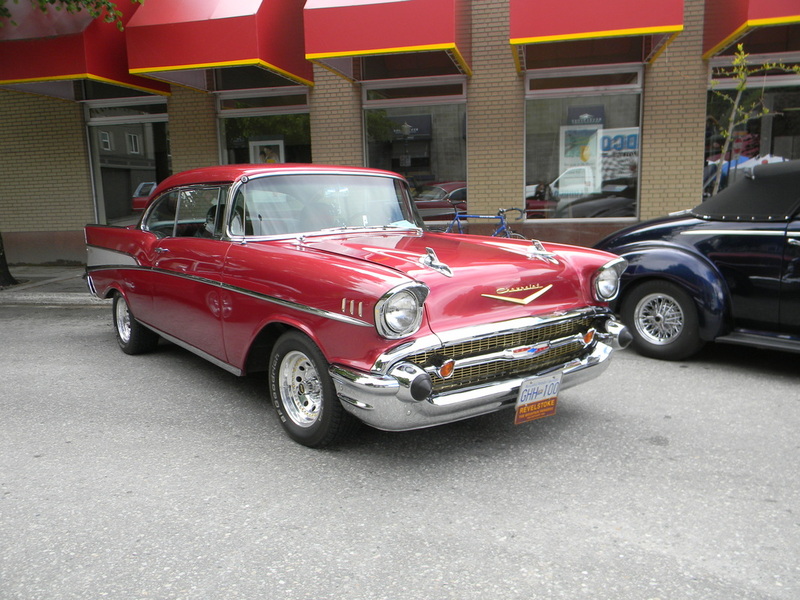 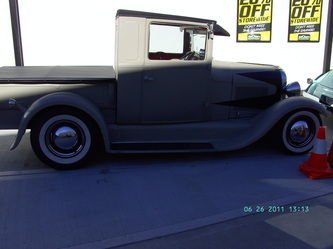 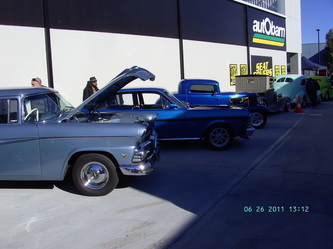 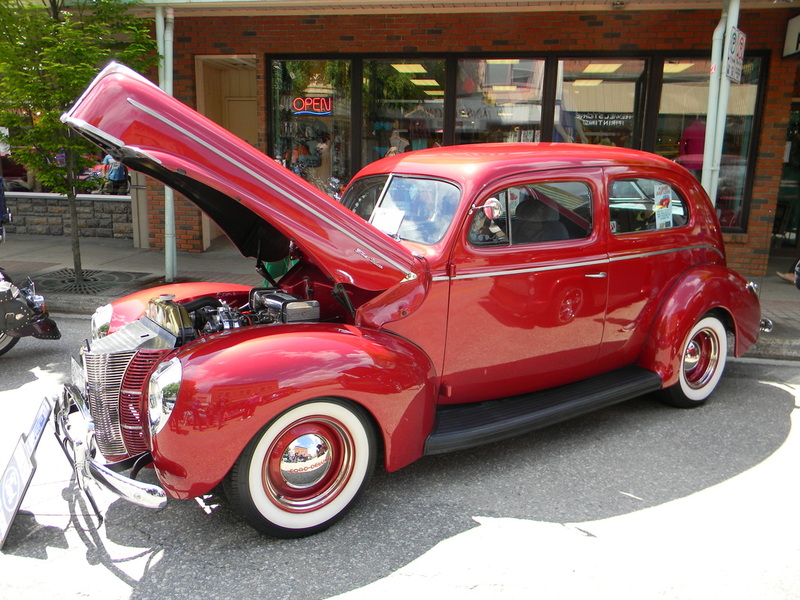 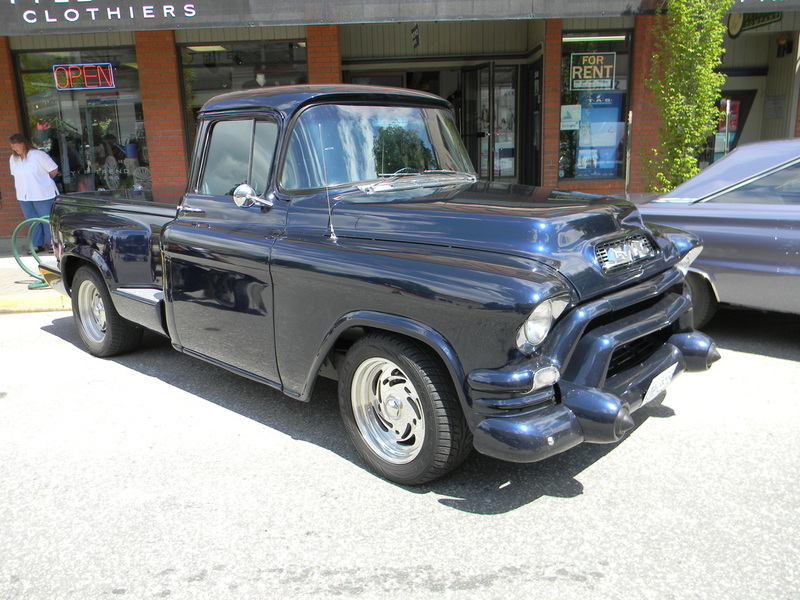 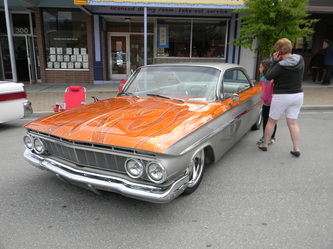 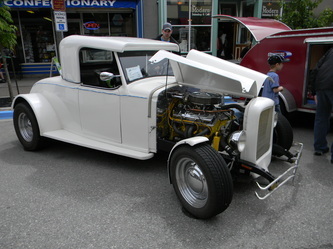 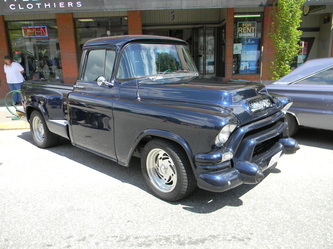 The opening of the new Autobarn store in Rutherford saw a great variety of vehicles on display. 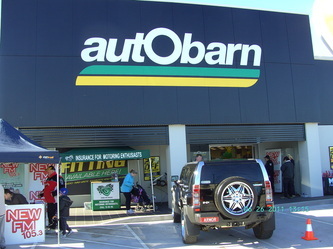 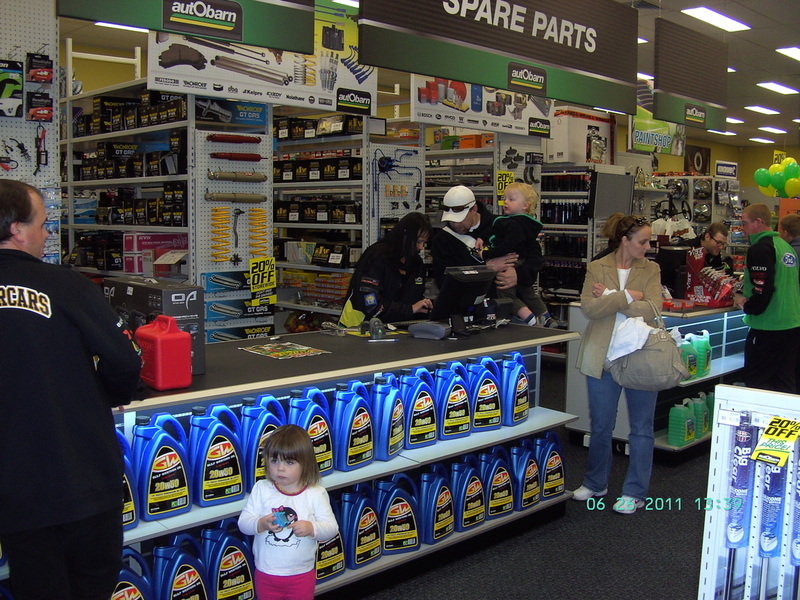 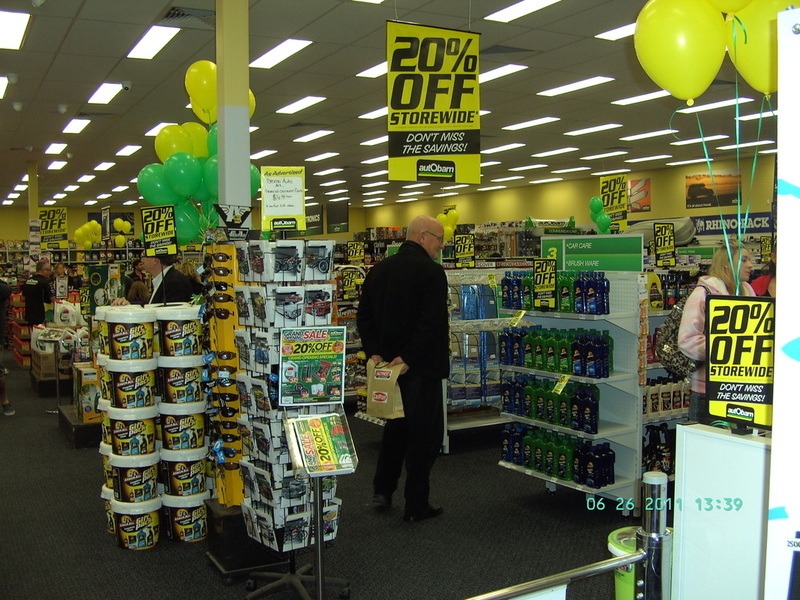 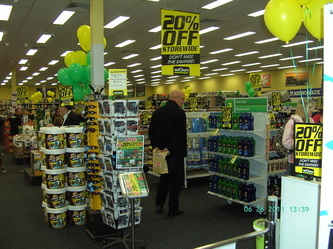 The discounts were tremendous and everyone who came to the store seemed to purchased something which kept all the Autobarn staff very busy all day. 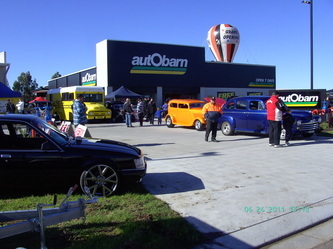 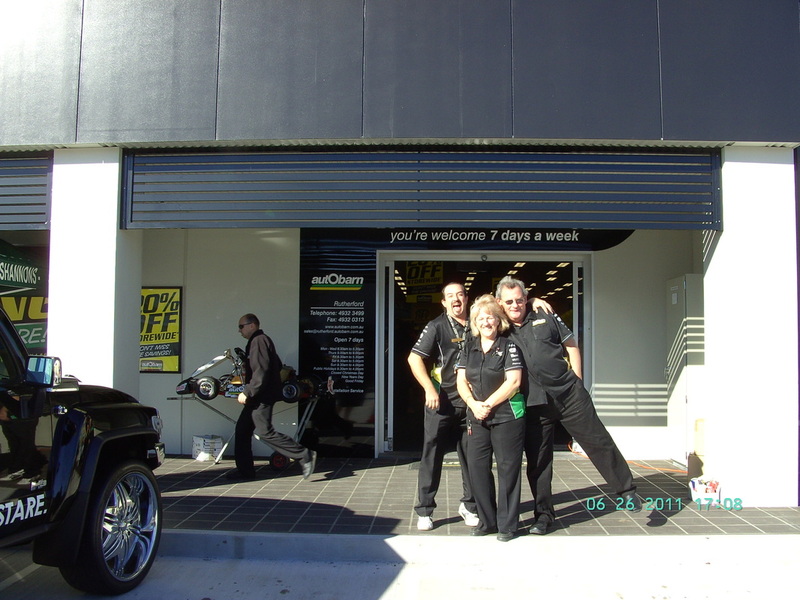 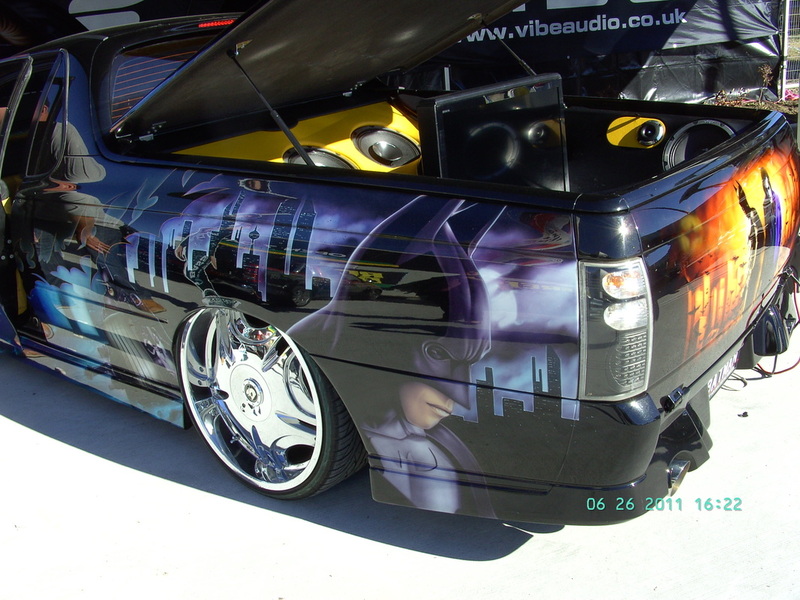 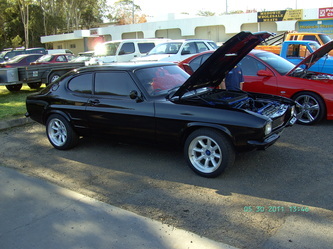 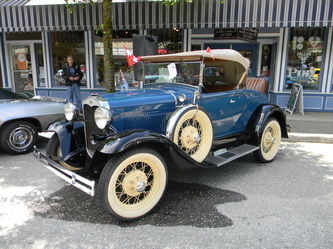 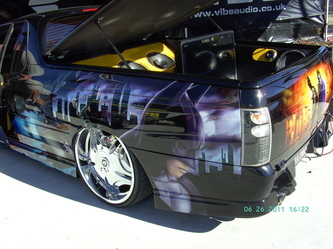 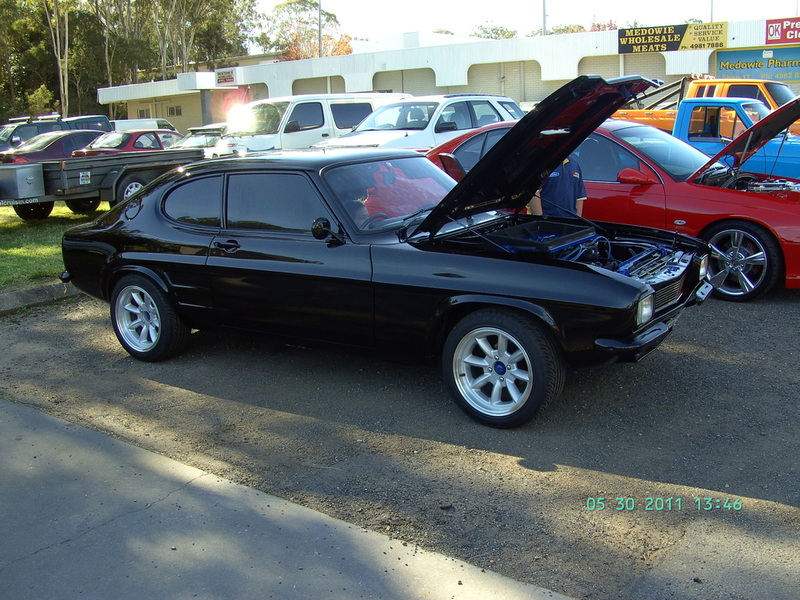 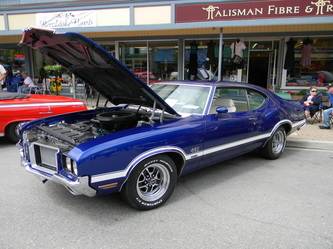 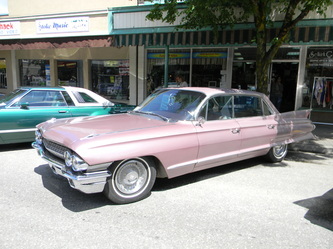 We wish Barry and Charlie all the very best with the new store and thank them for all their support at local car shows. 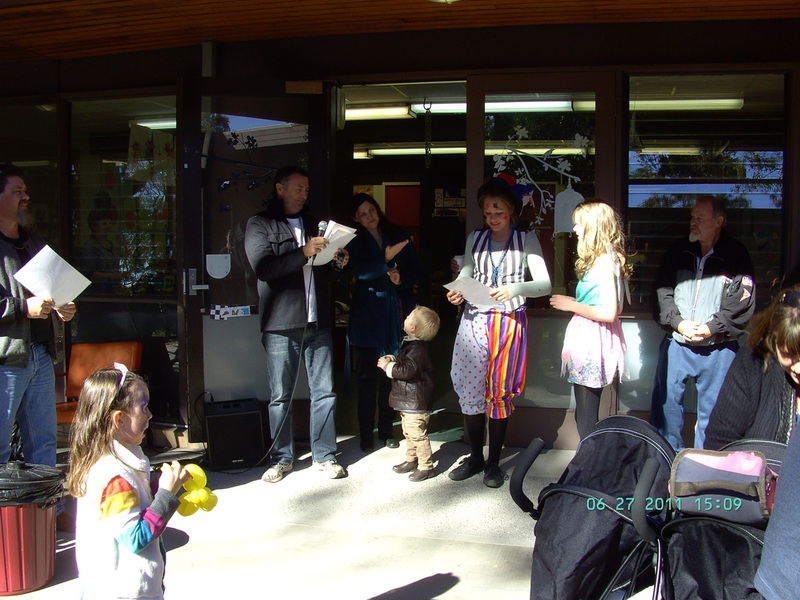 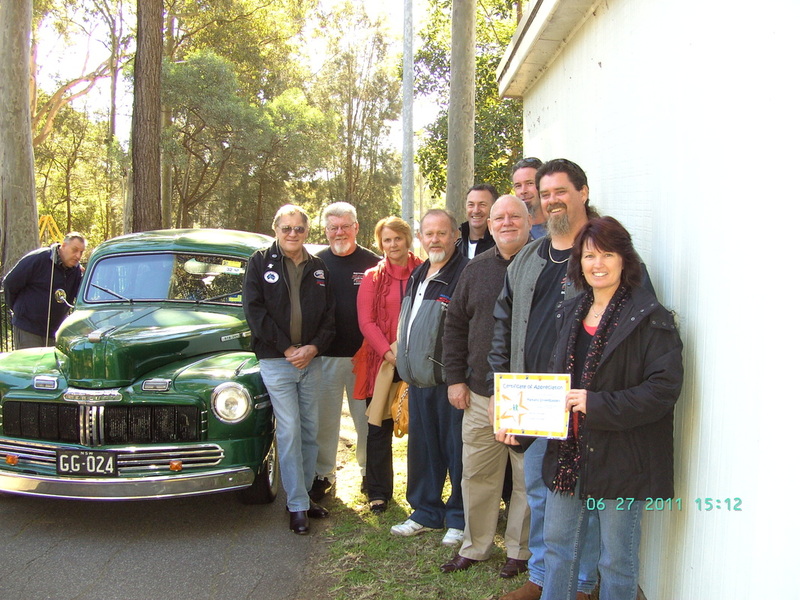 This year we again raised funds for First Chance and had the pleasure of presenting them with a cheque at their family fun day. 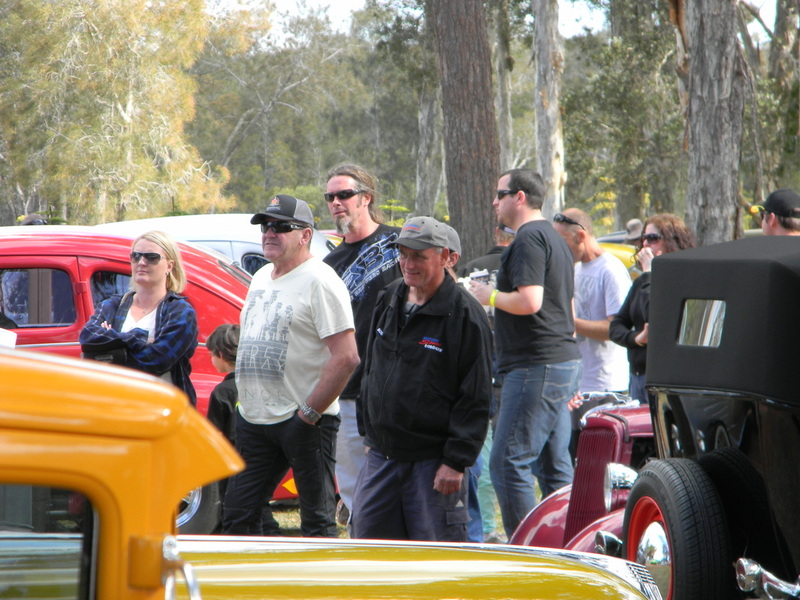 As usual they treated our attending members to a good day and they really appreciate the support our club has given them over the last four years. 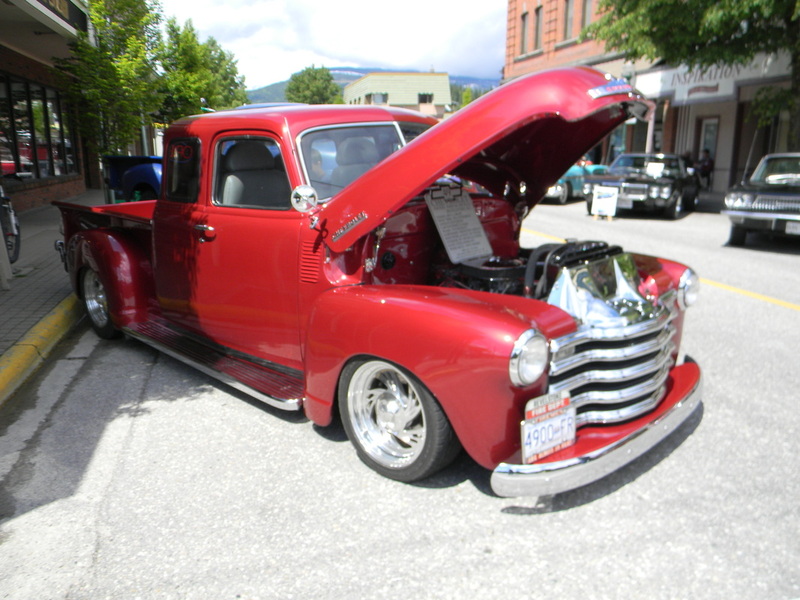 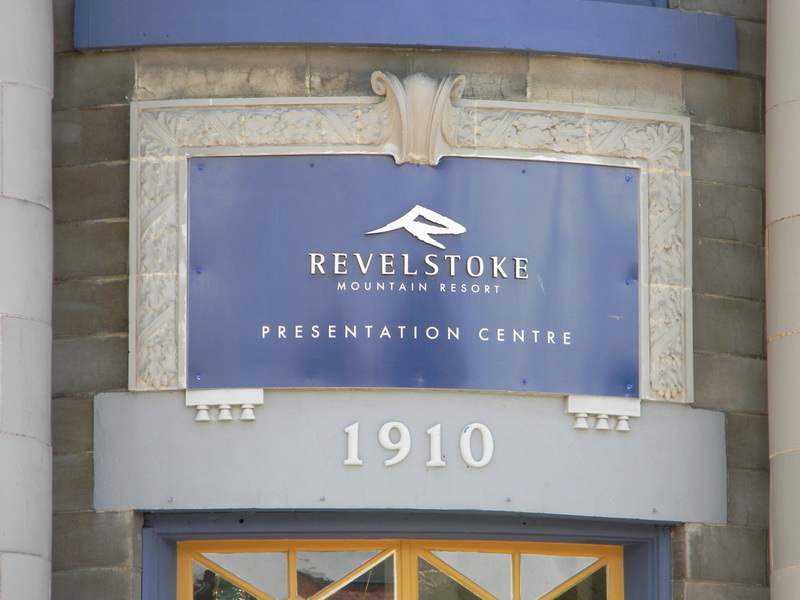 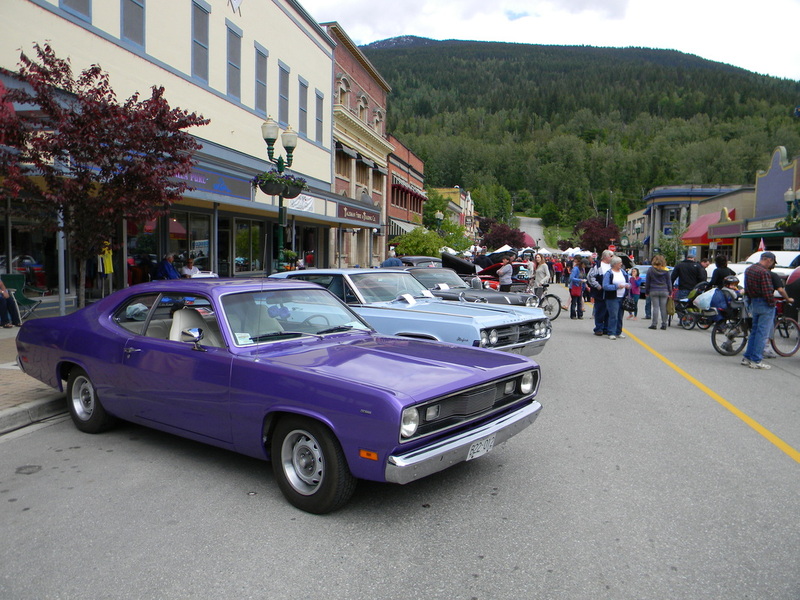 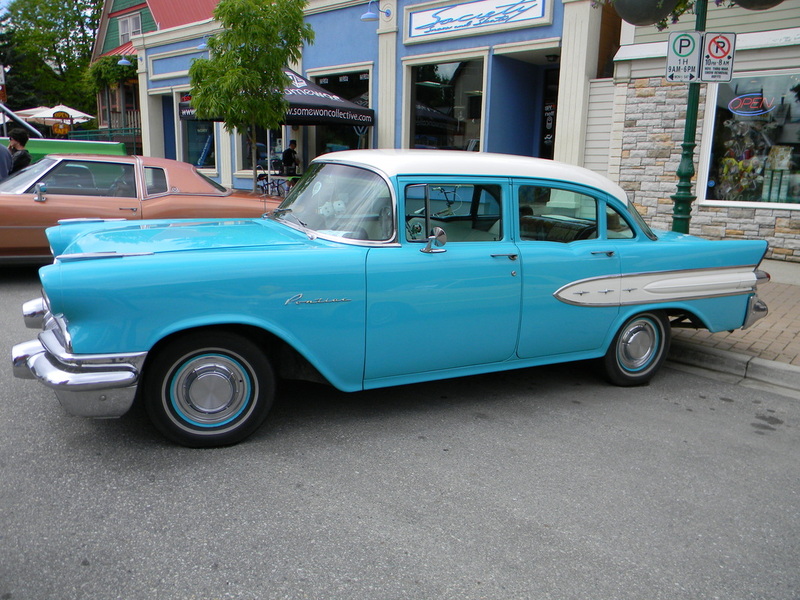 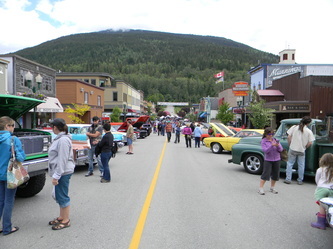 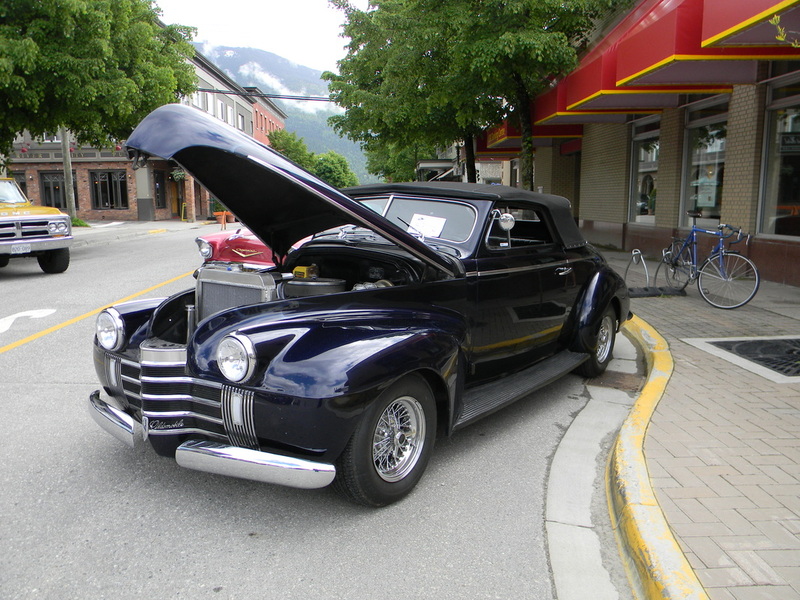 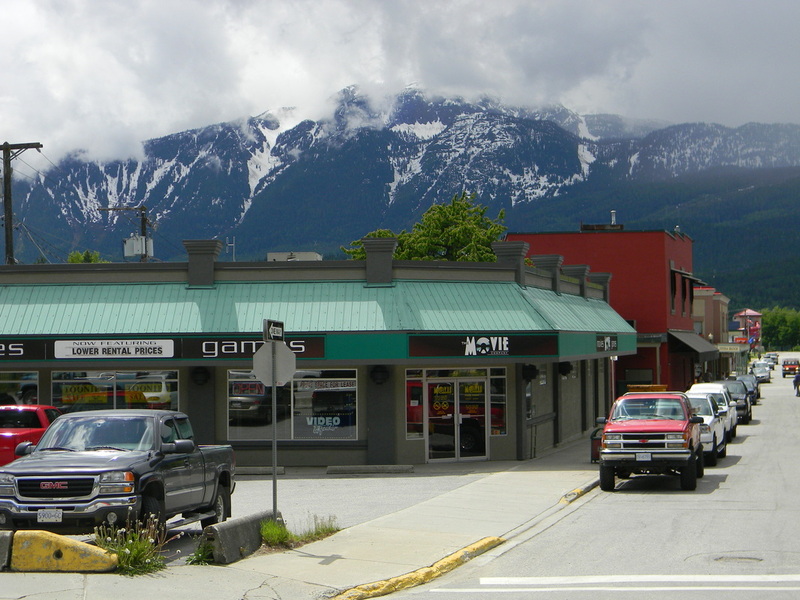 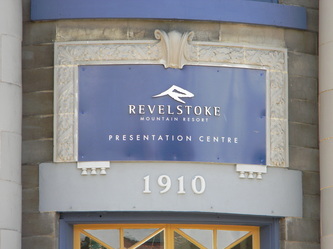 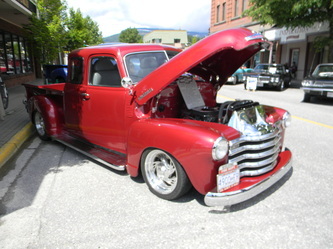 While in Canada our tour stopped at the small Rocky Mountain town of Revelstoke for lunch. As luck would have it there was a car show on that day so I thought you might like to see some of the photos. 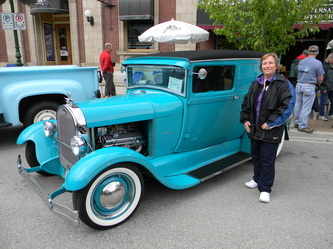 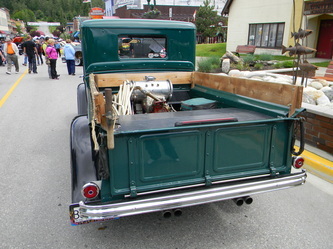 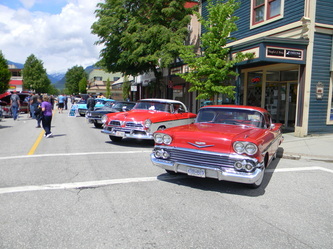 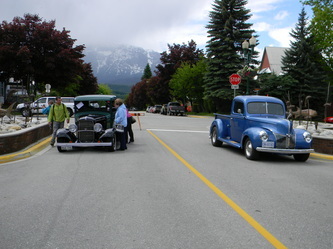 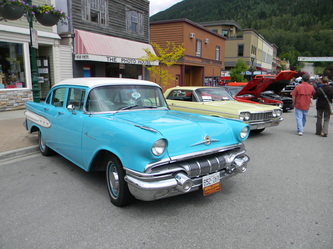 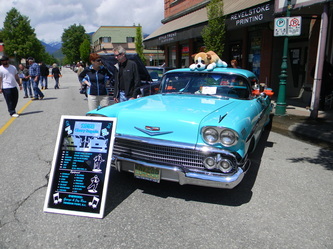 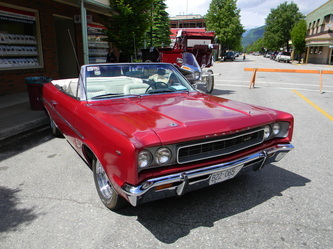 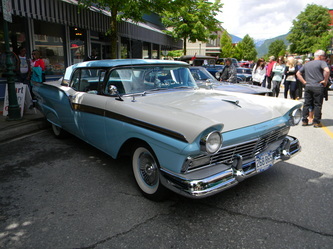 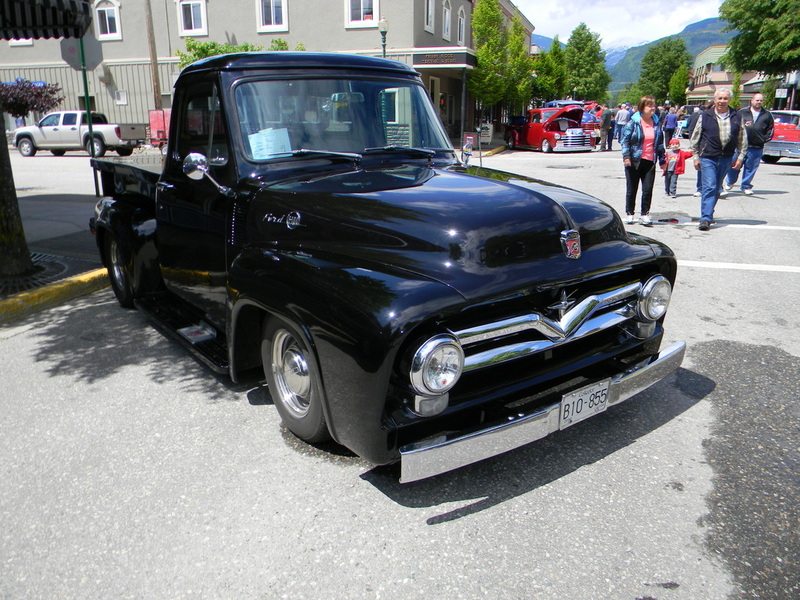 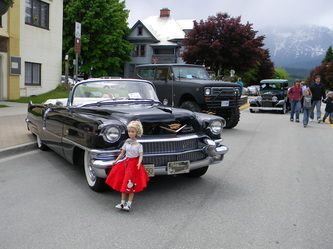 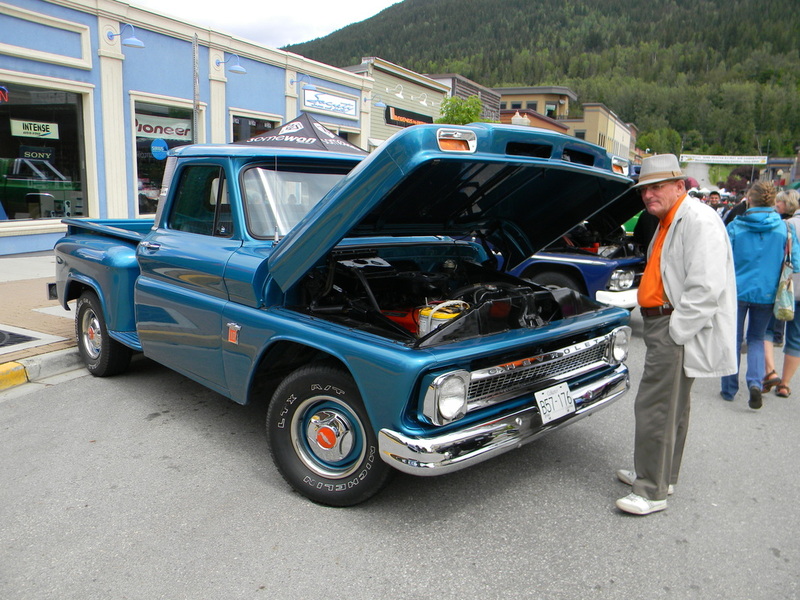 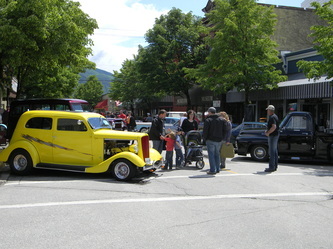 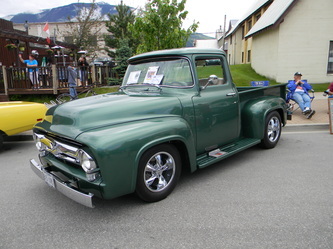 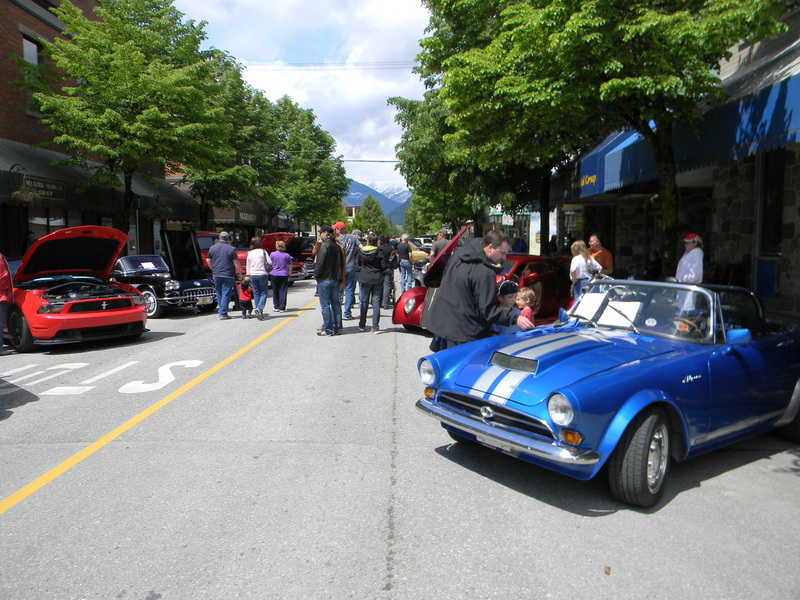 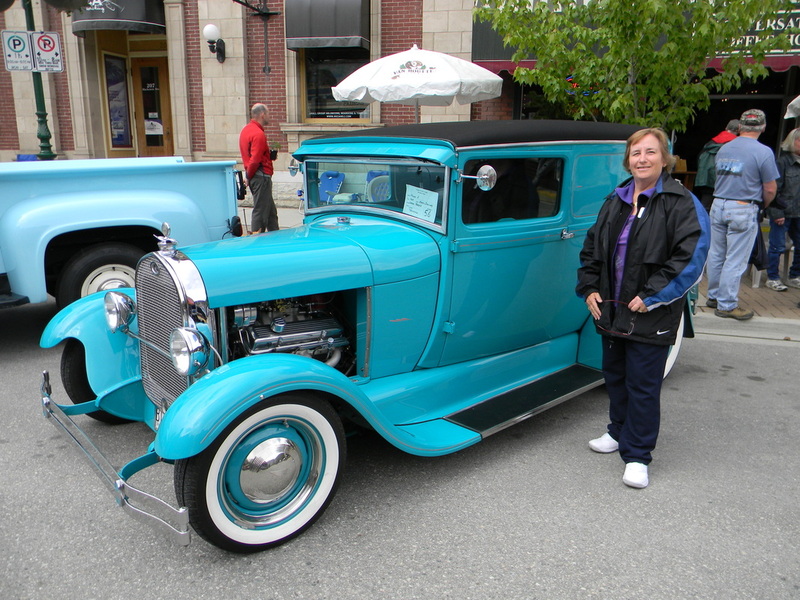 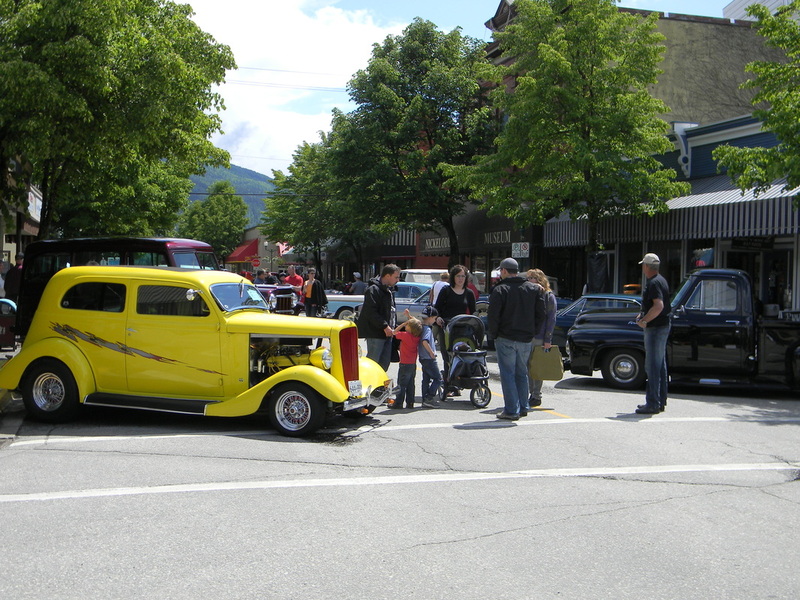 A DJ played music from the 50's & 60's, the mountains were covered in snow and the sun shone through some clouds making a great atmosphere for the show and shine. 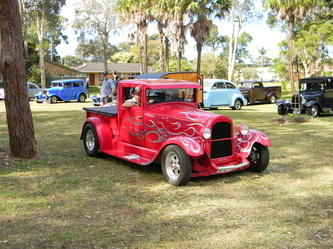 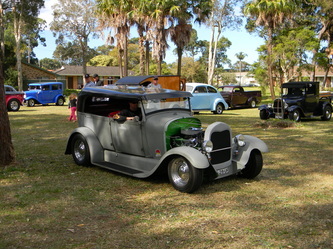 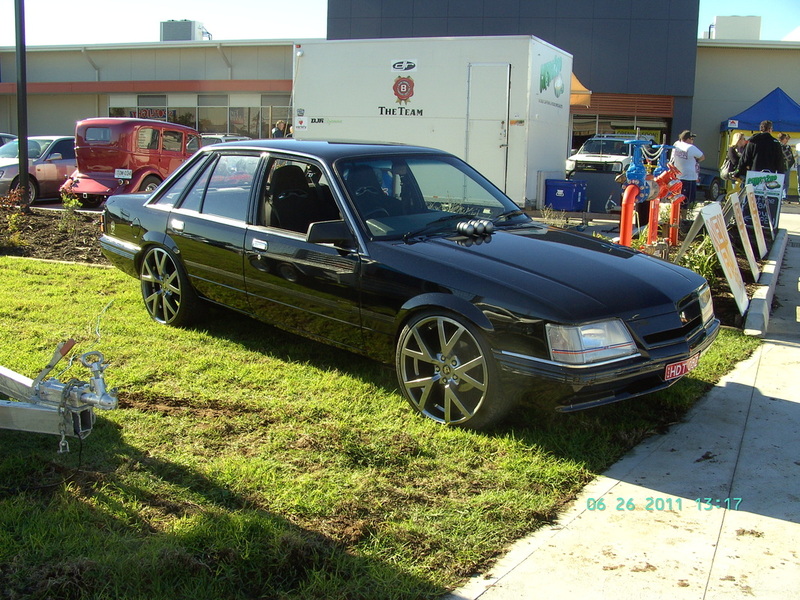 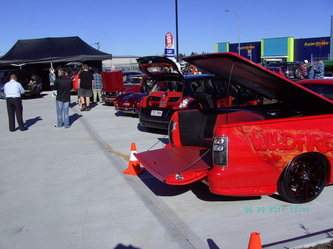 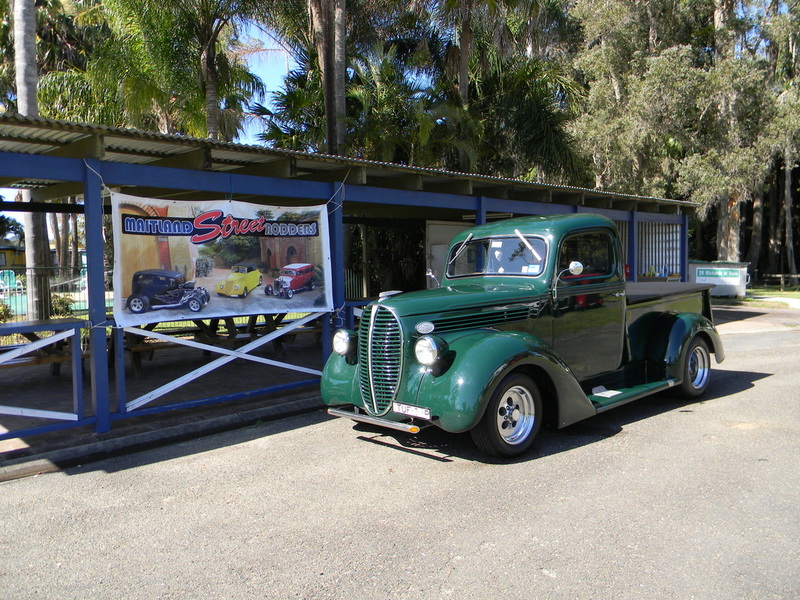 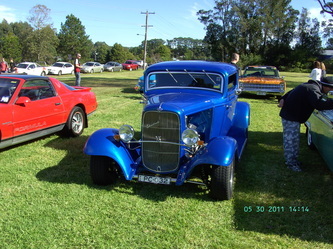 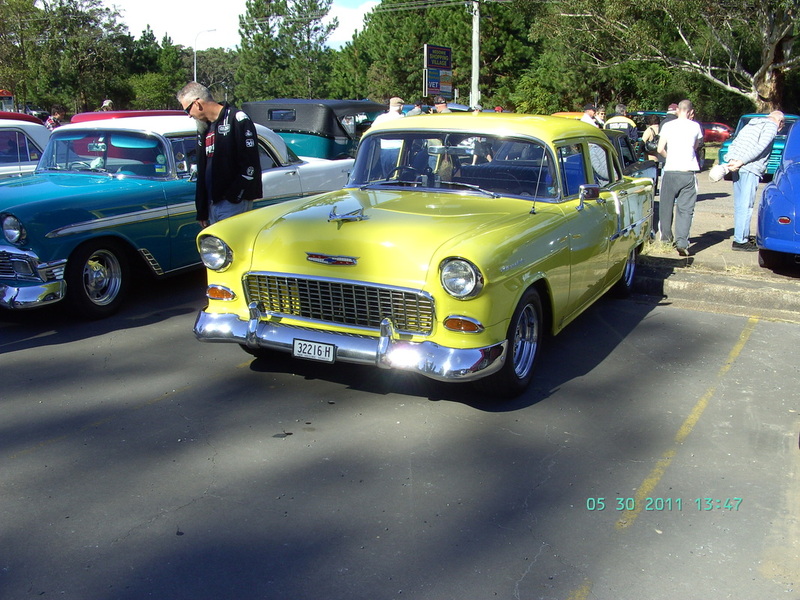 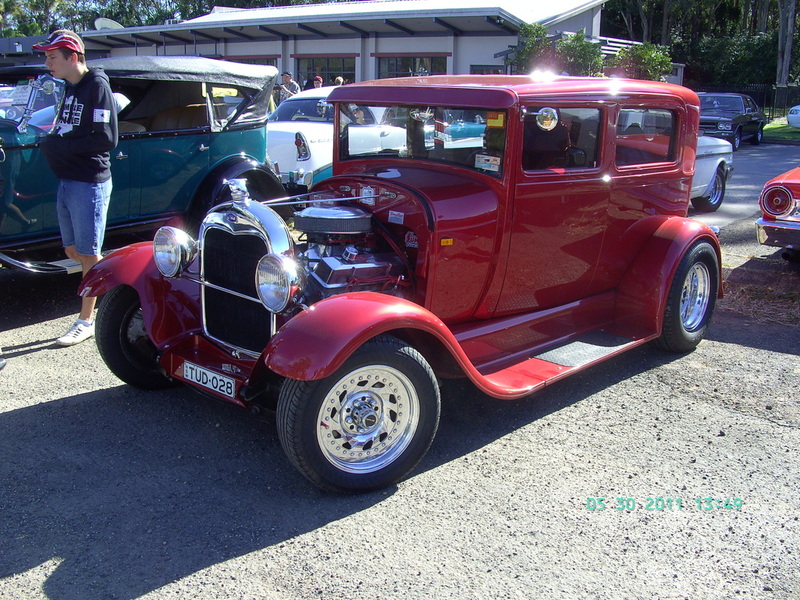 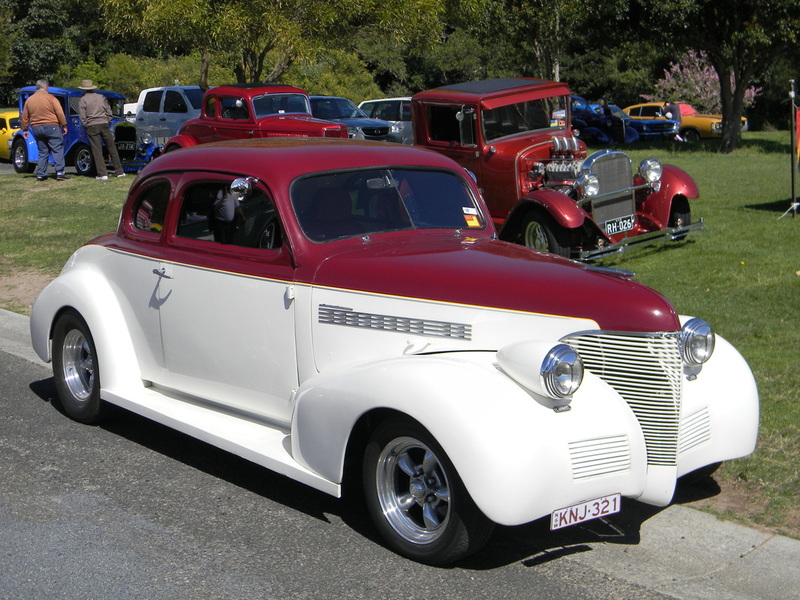 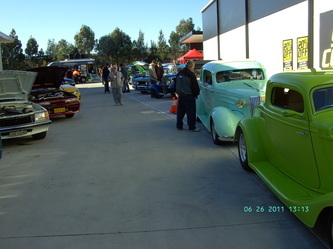 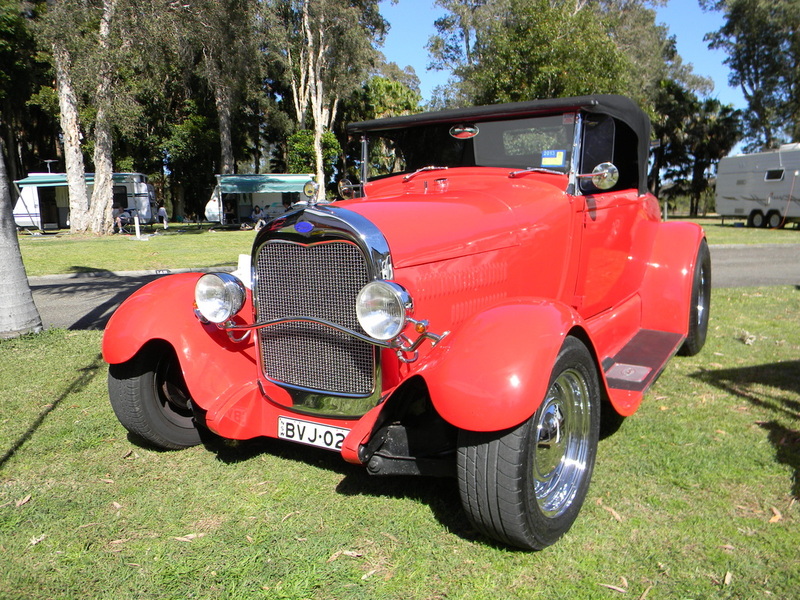 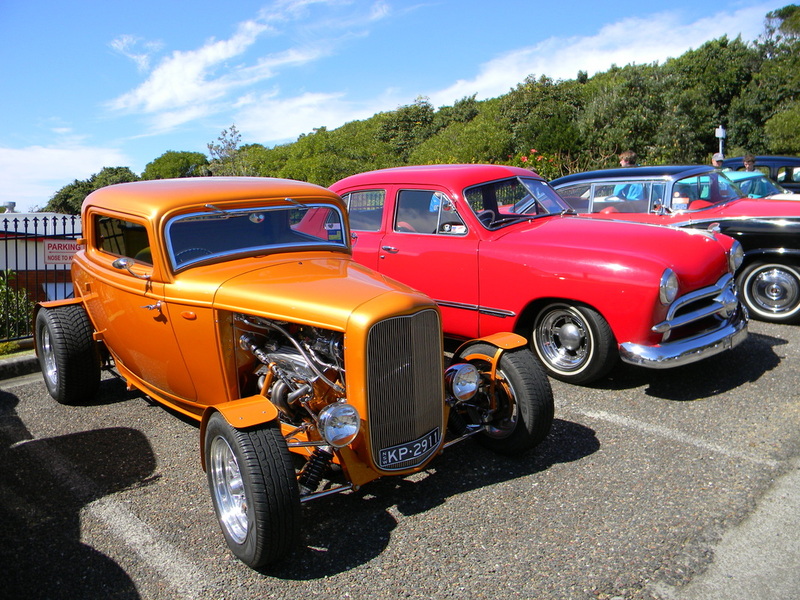 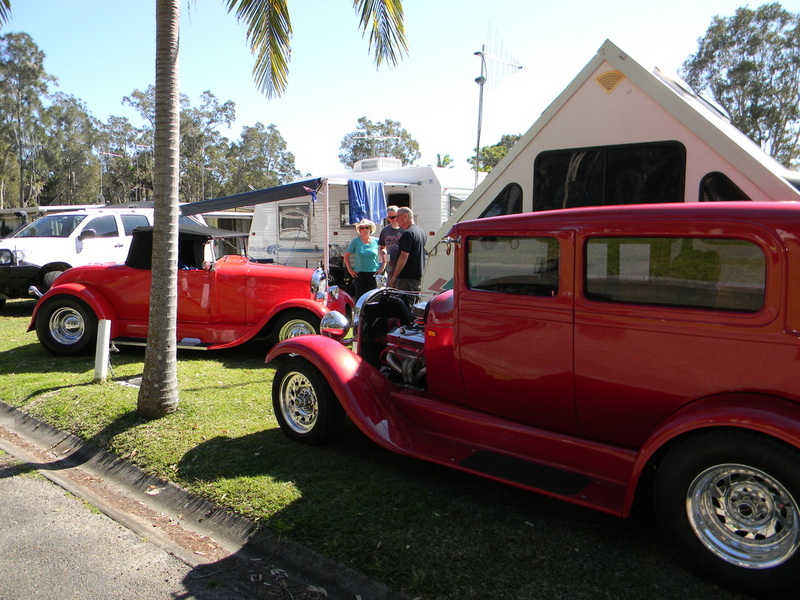 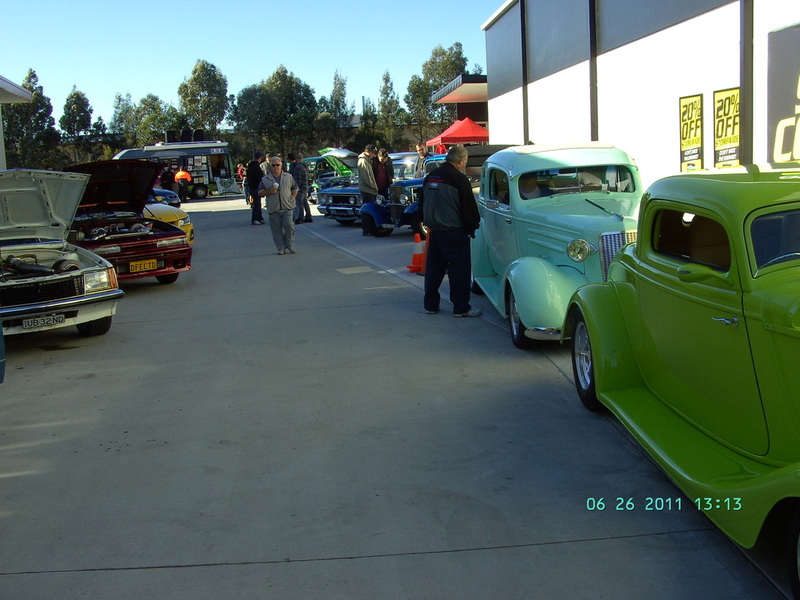 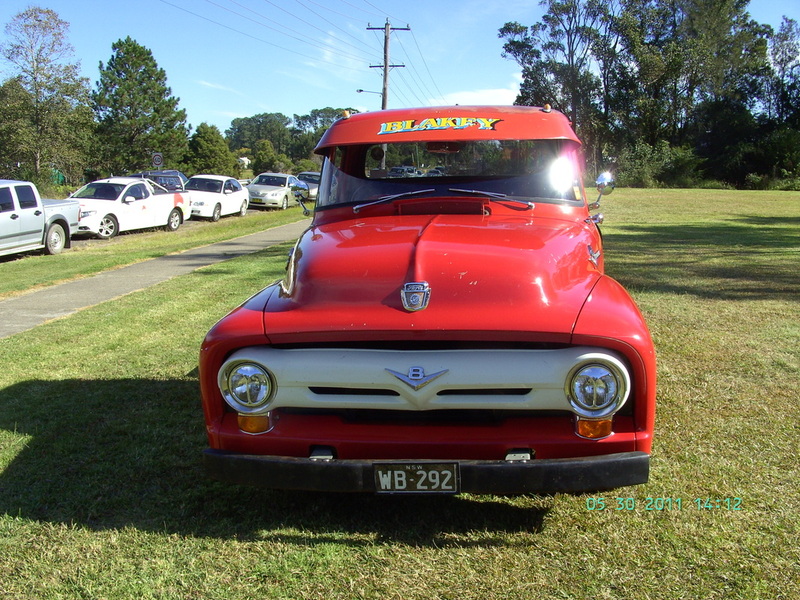 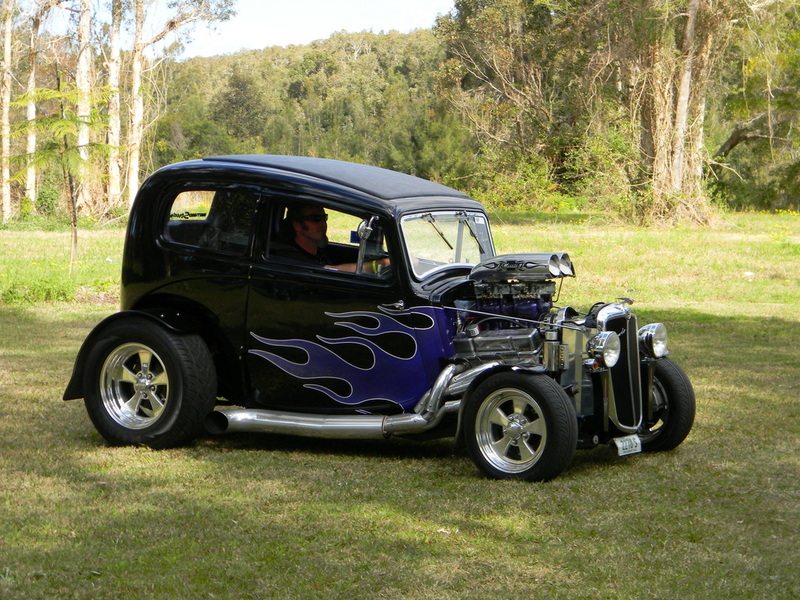 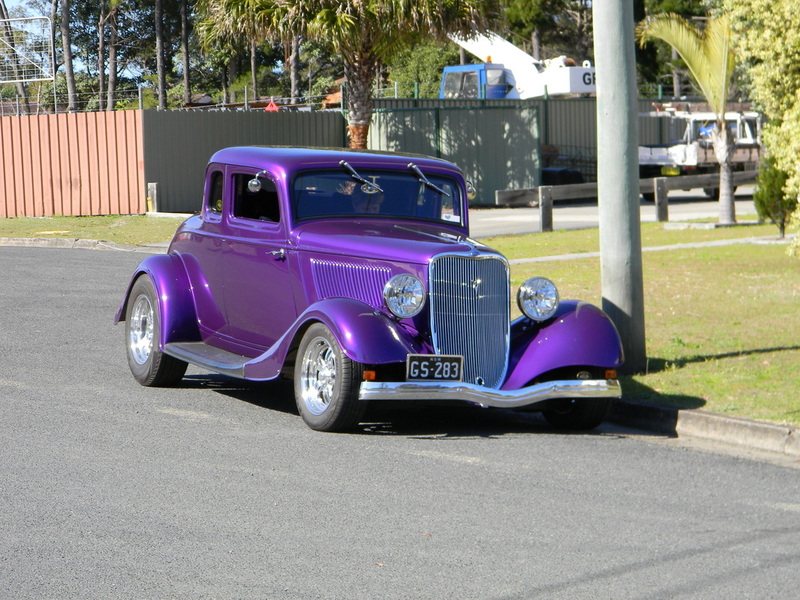 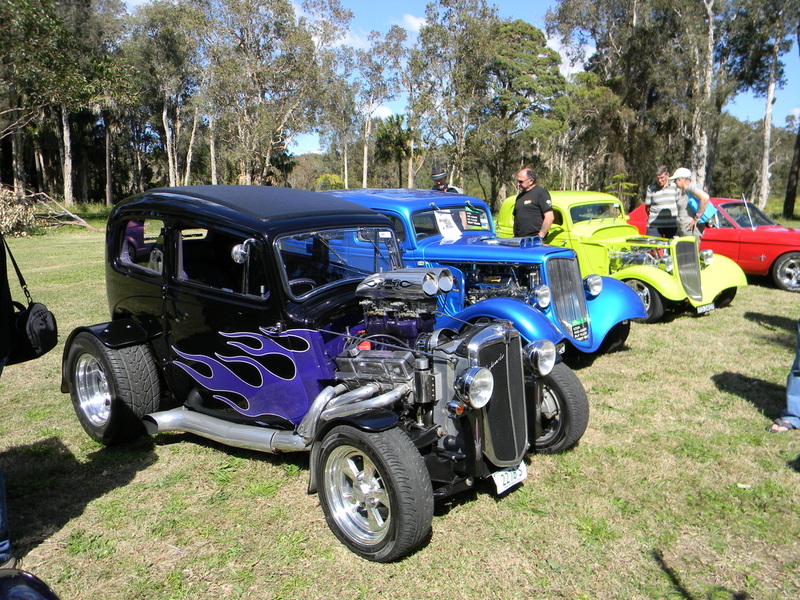 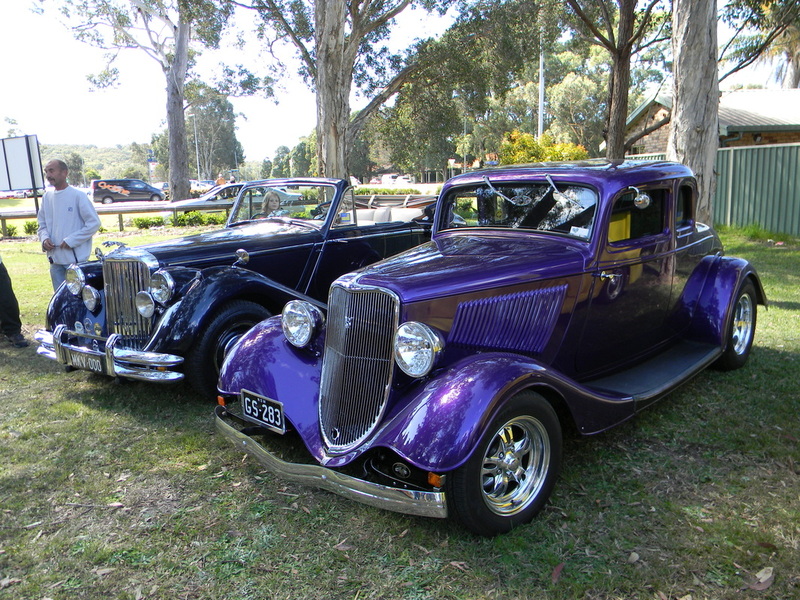 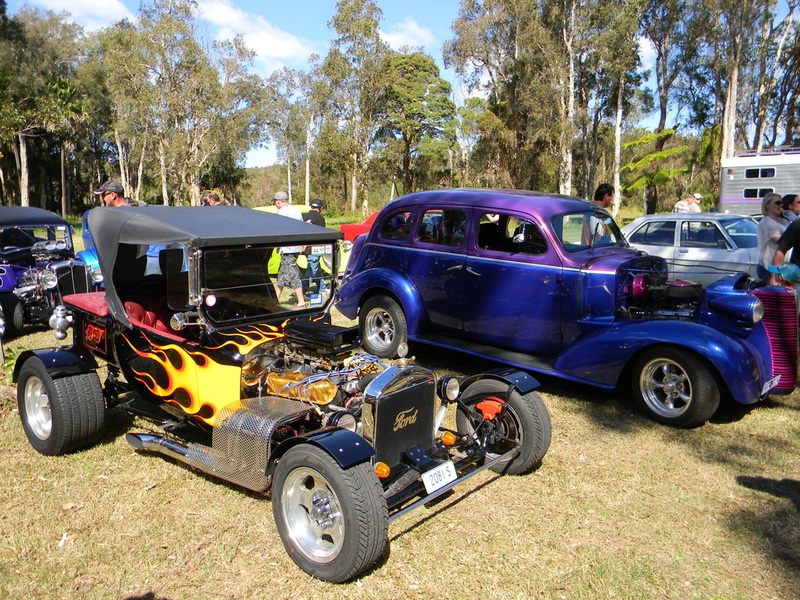 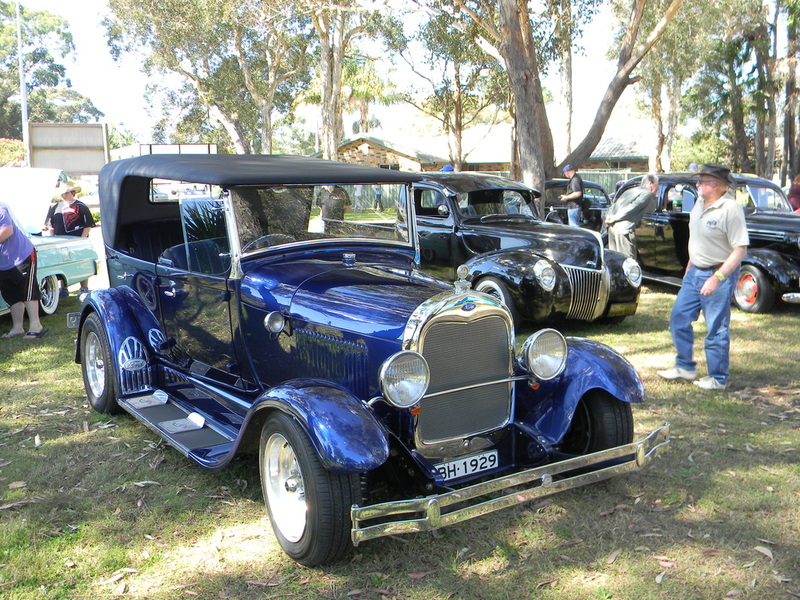 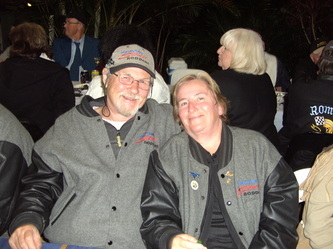 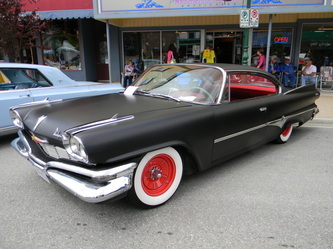 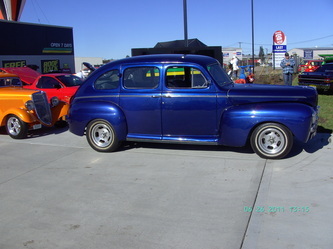 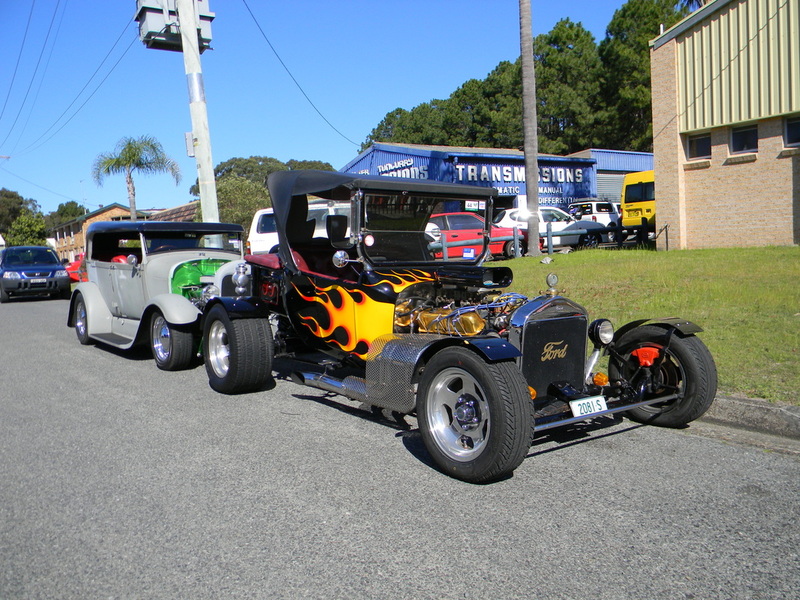 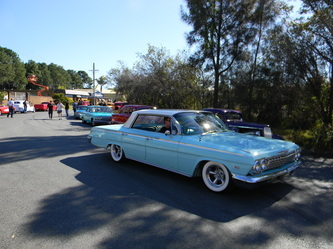 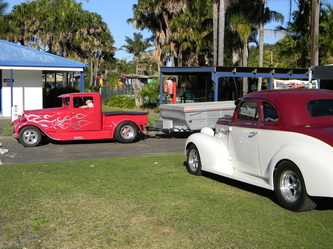 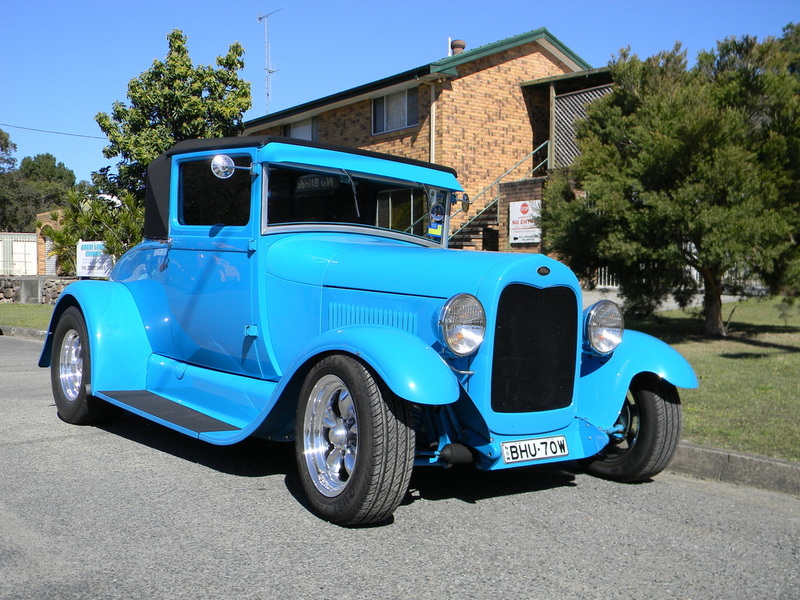 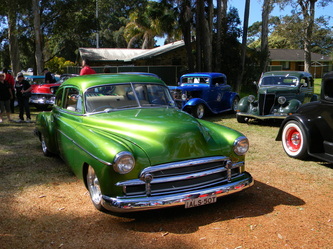 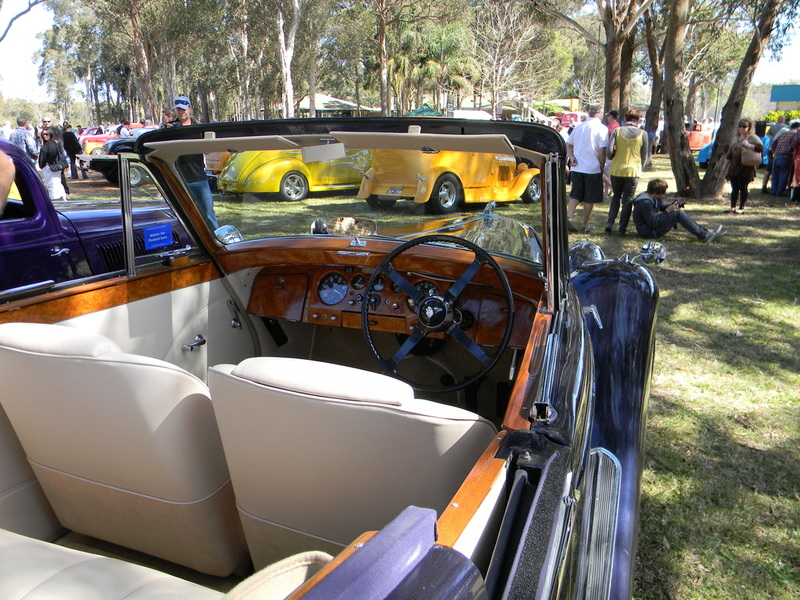 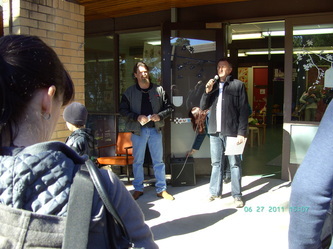 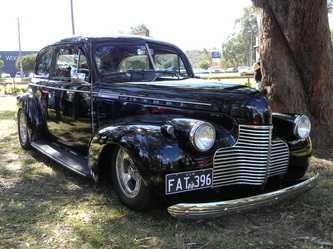 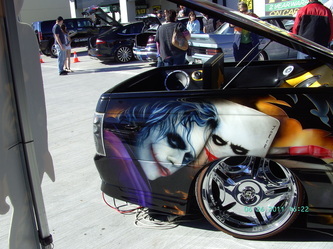 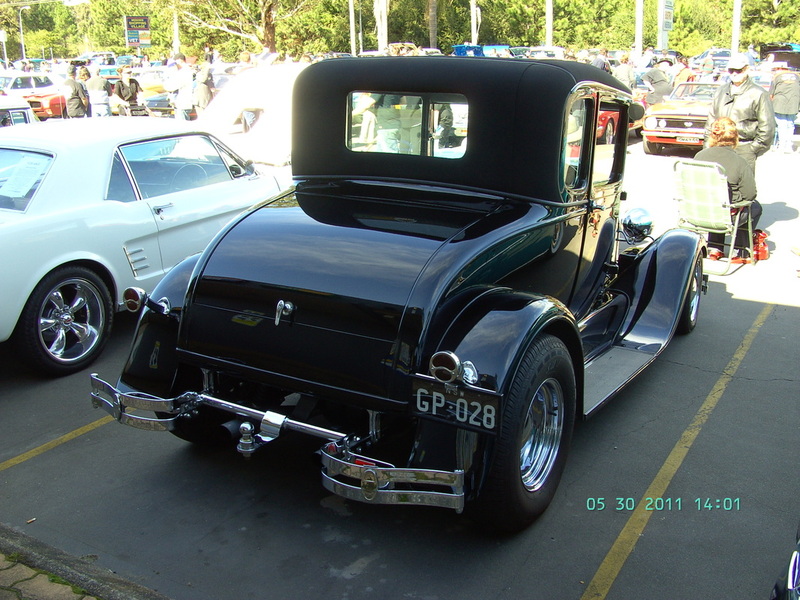 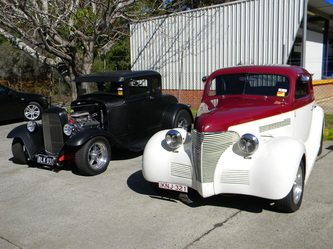 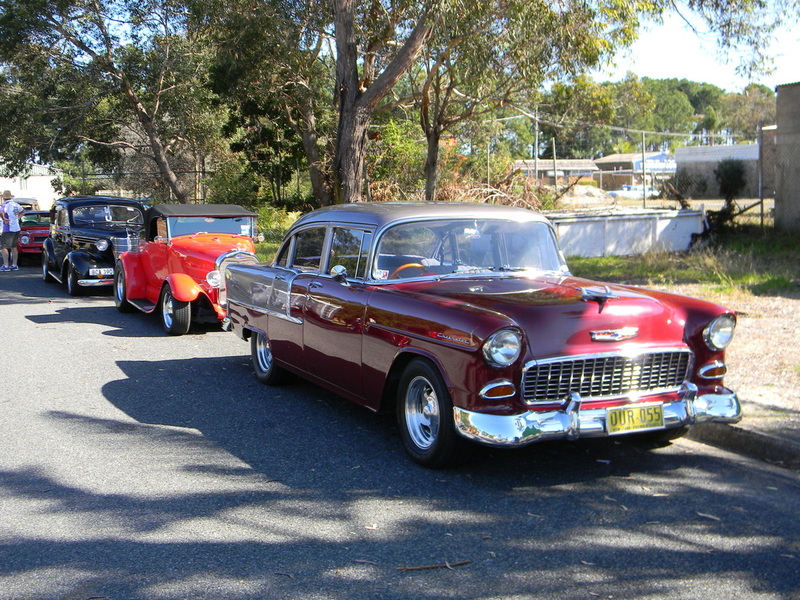 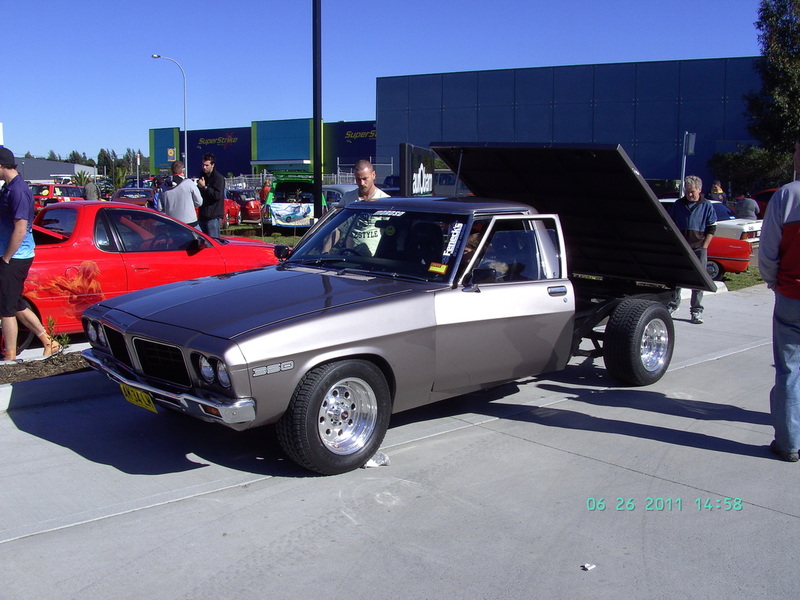 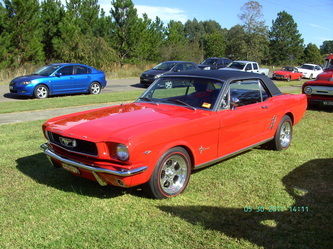 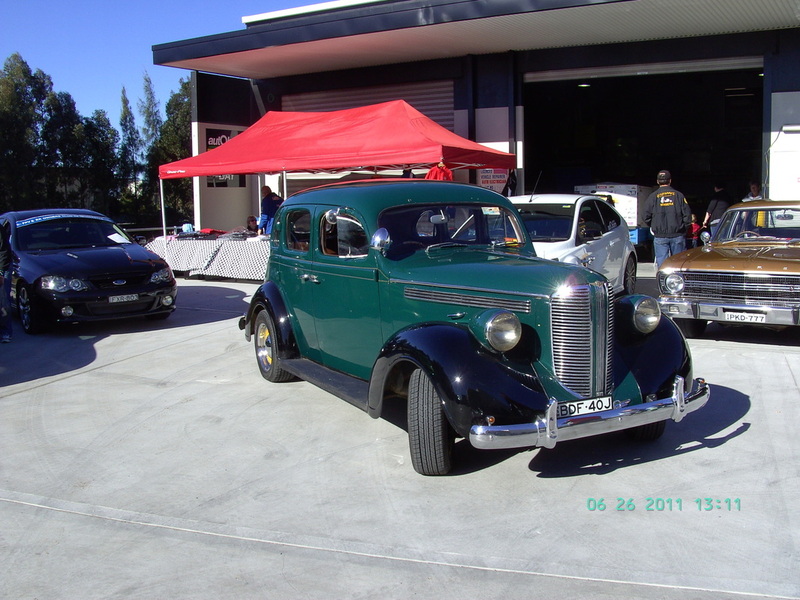 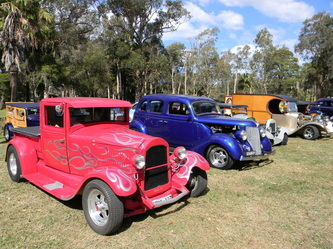 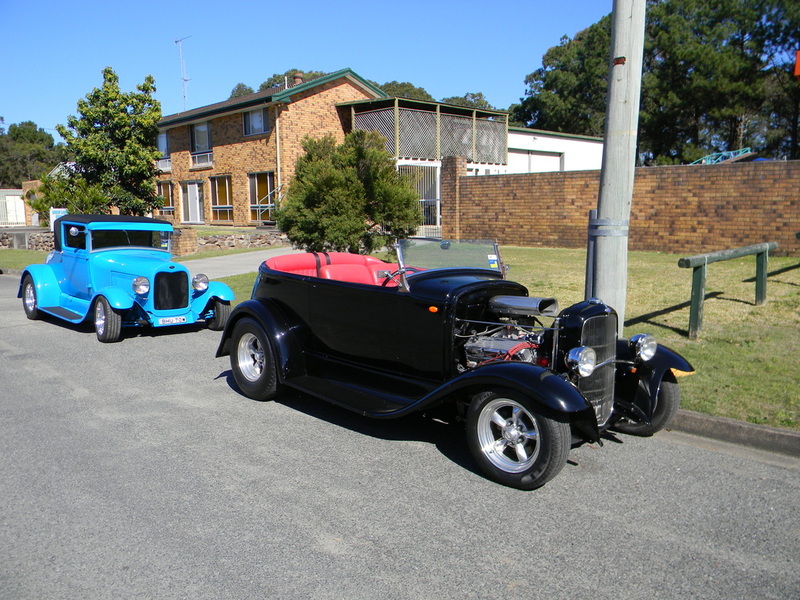 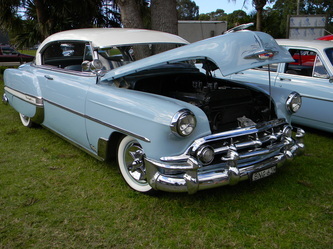 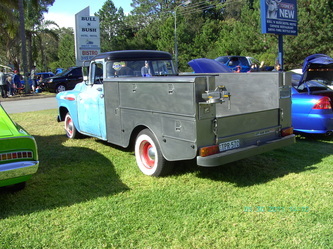 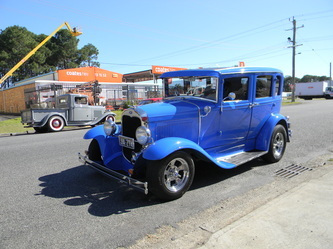 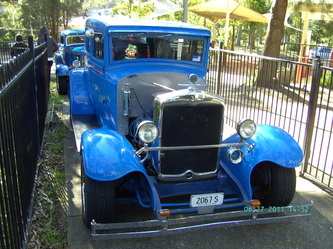 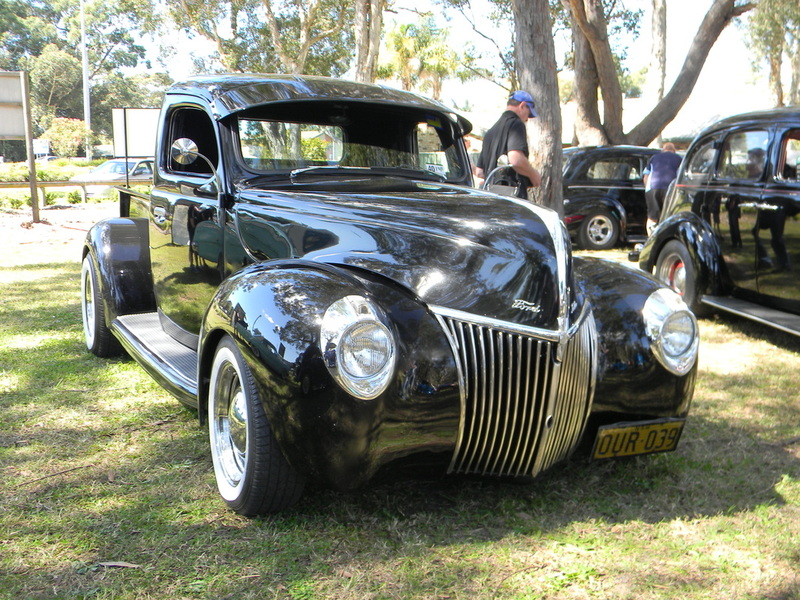 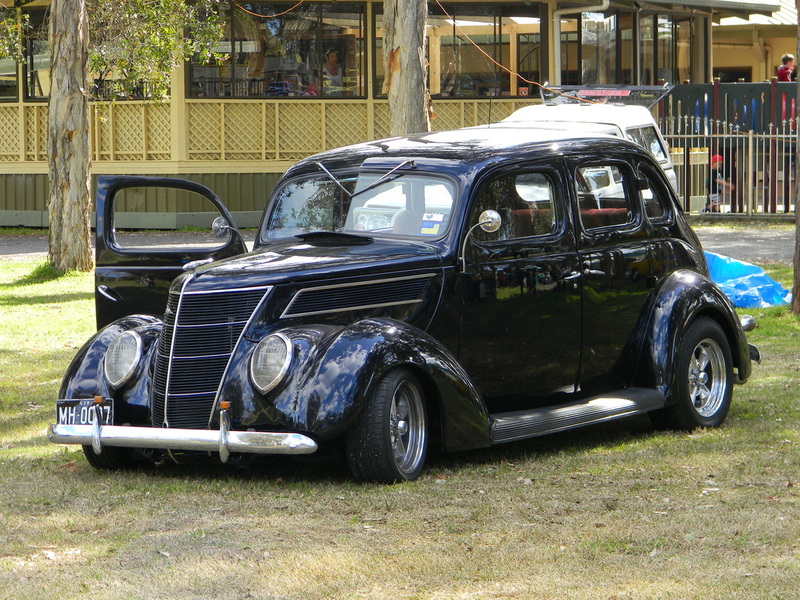 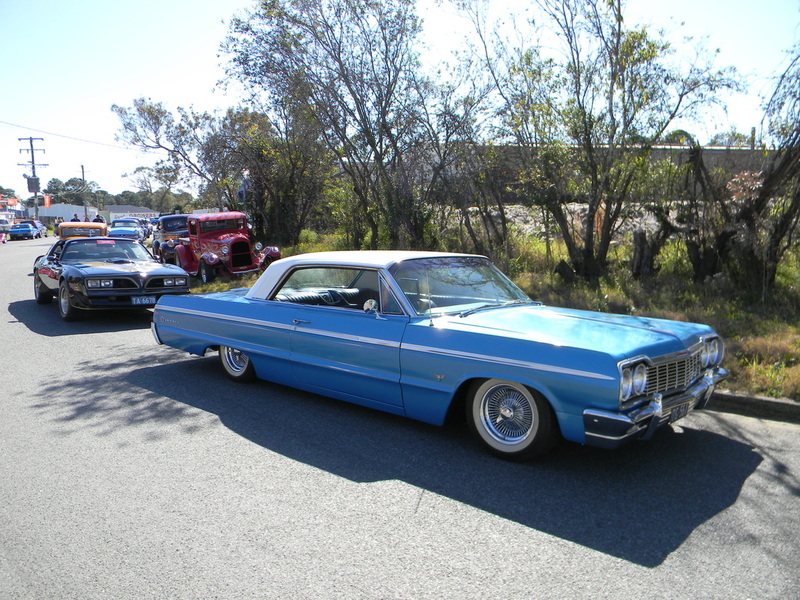 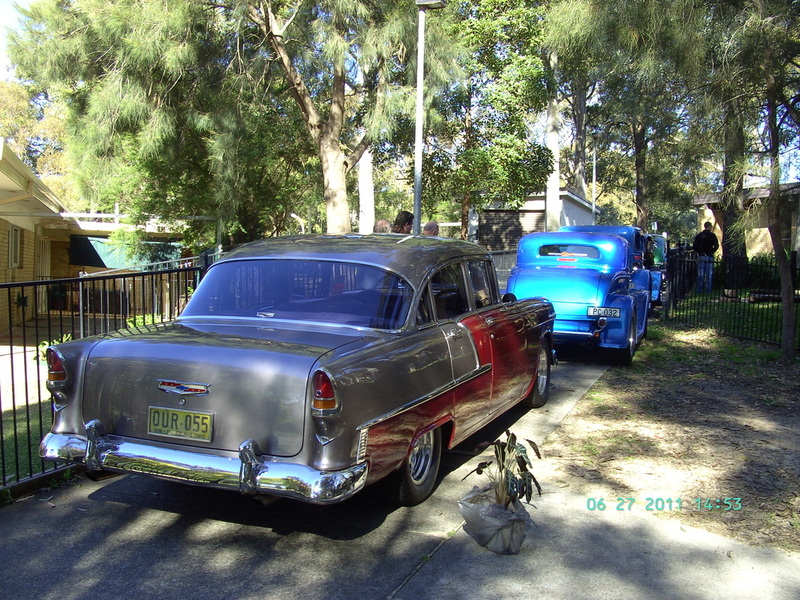 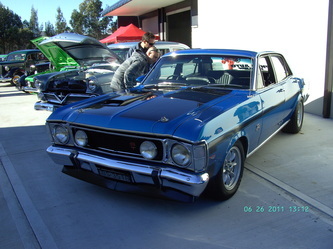 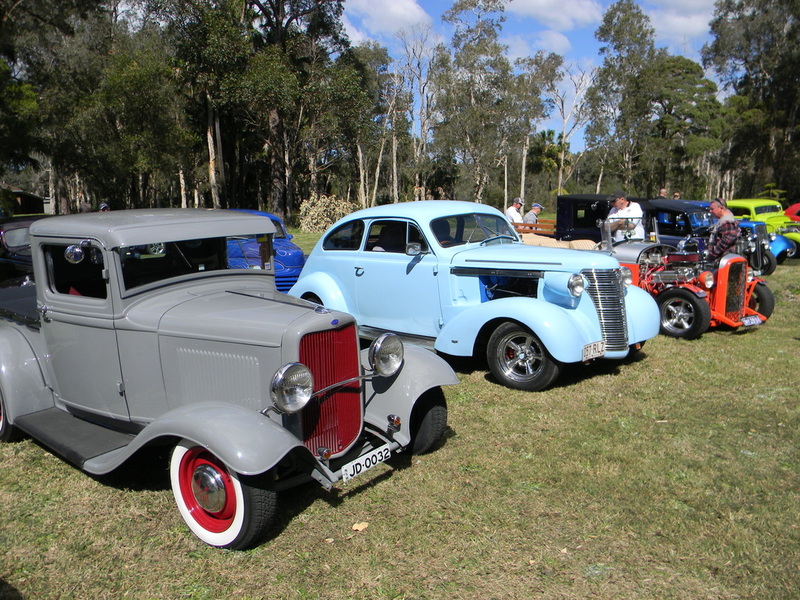 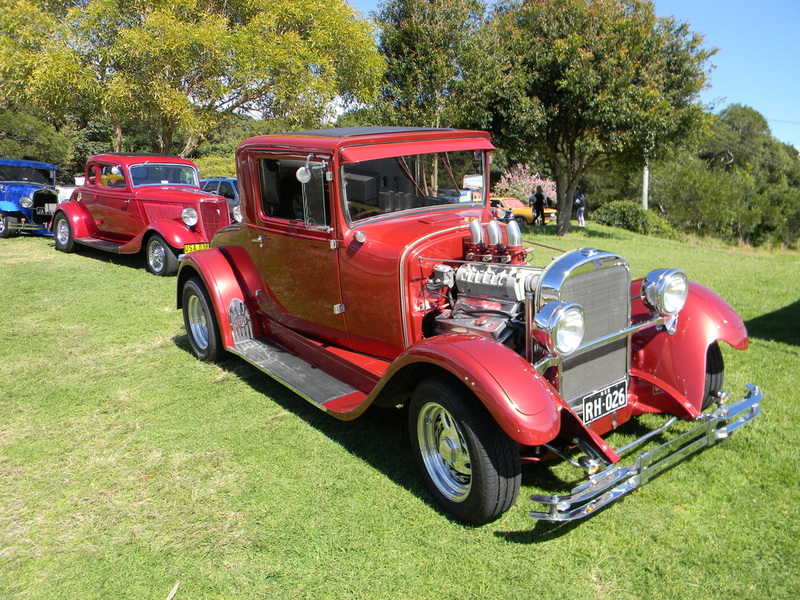 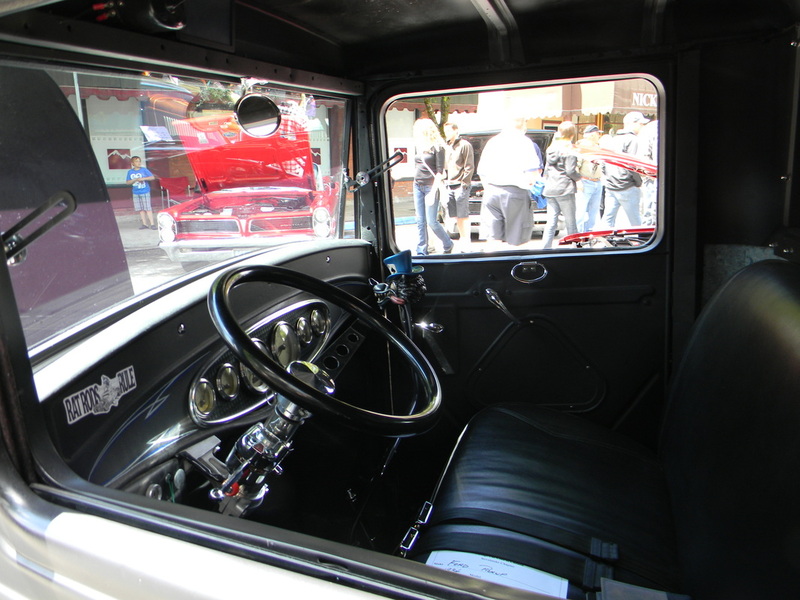 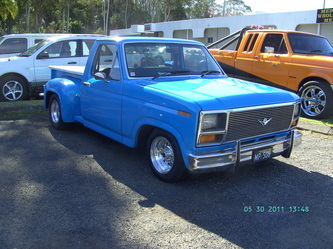 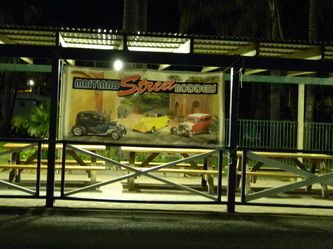 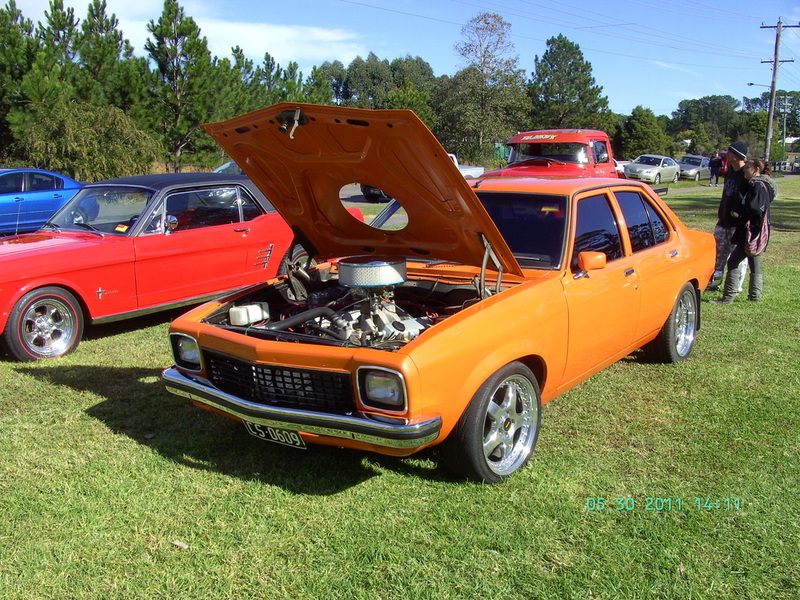 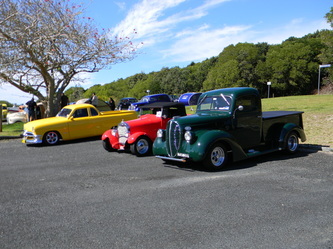 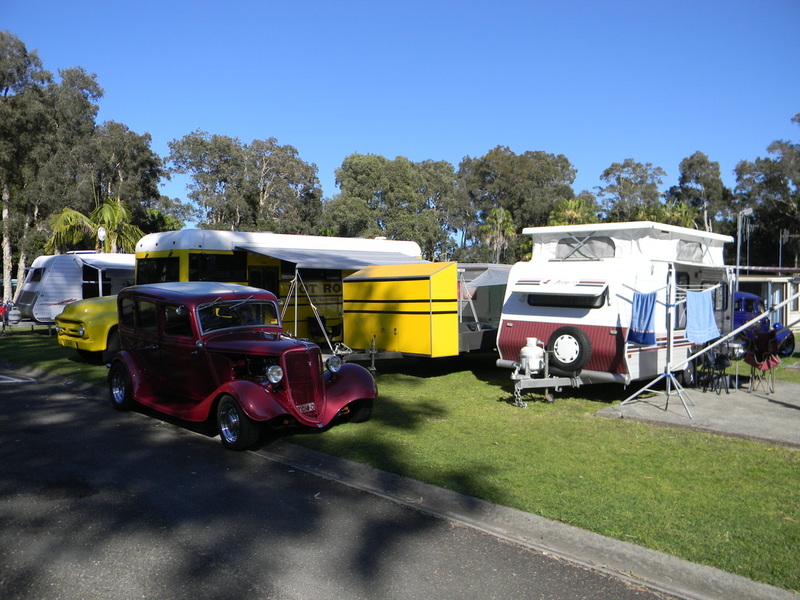 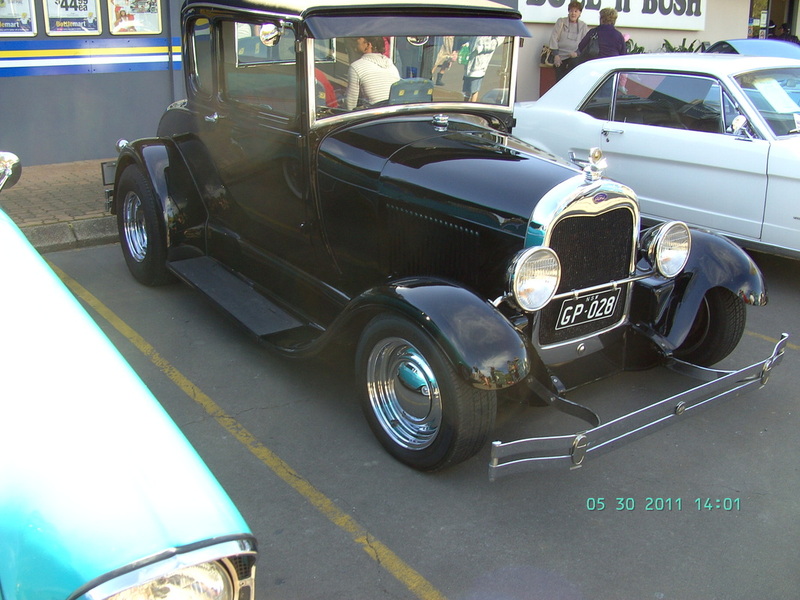 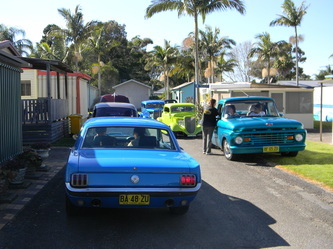 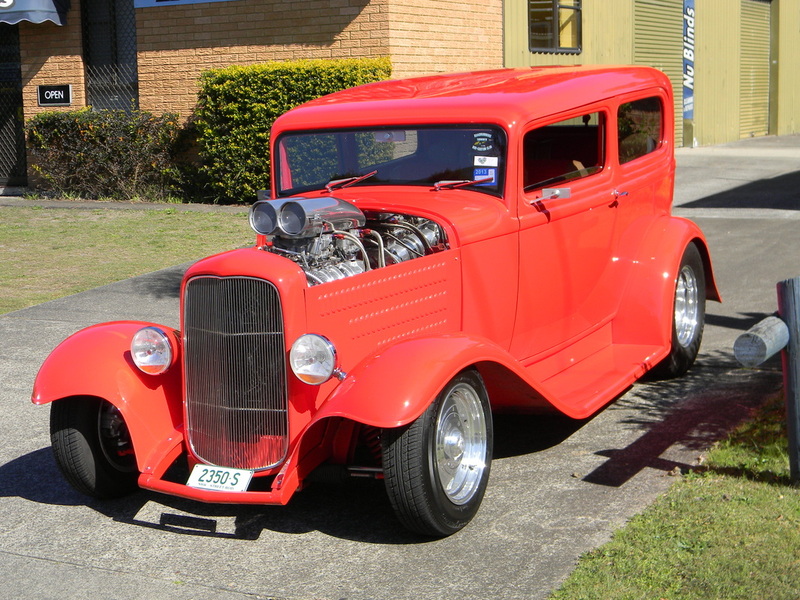 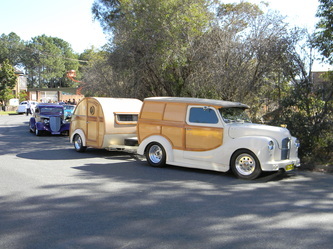 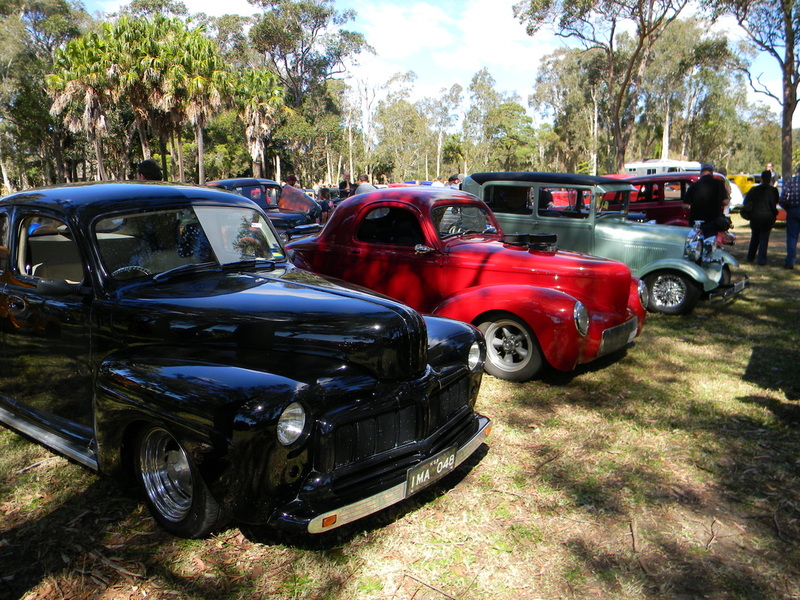 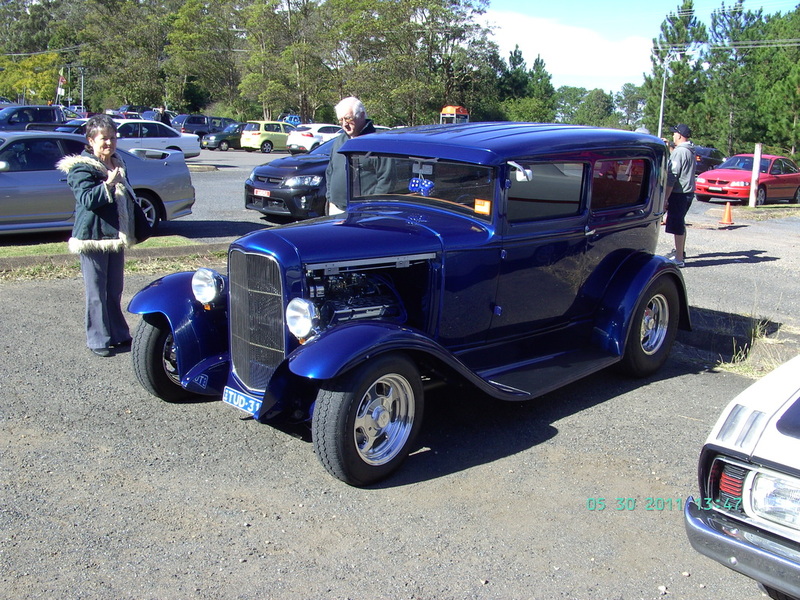 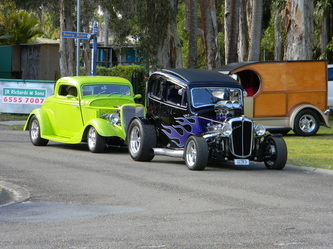 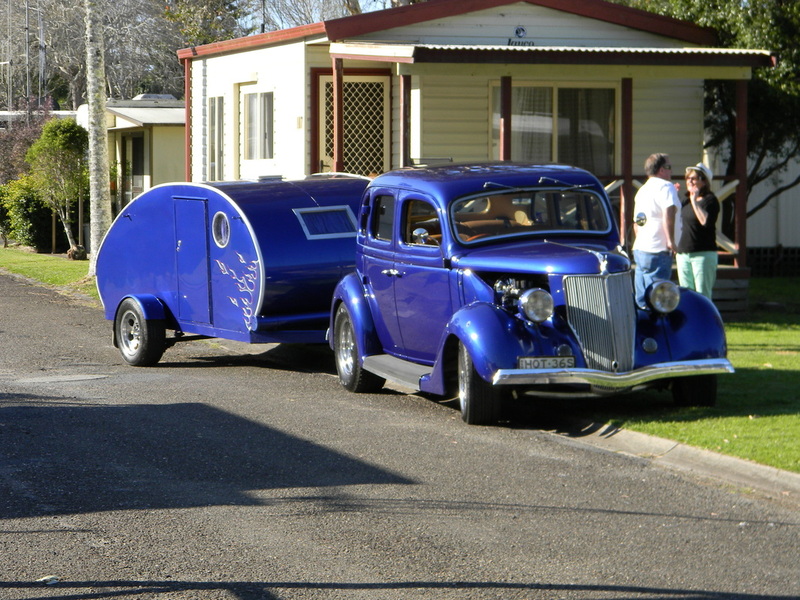 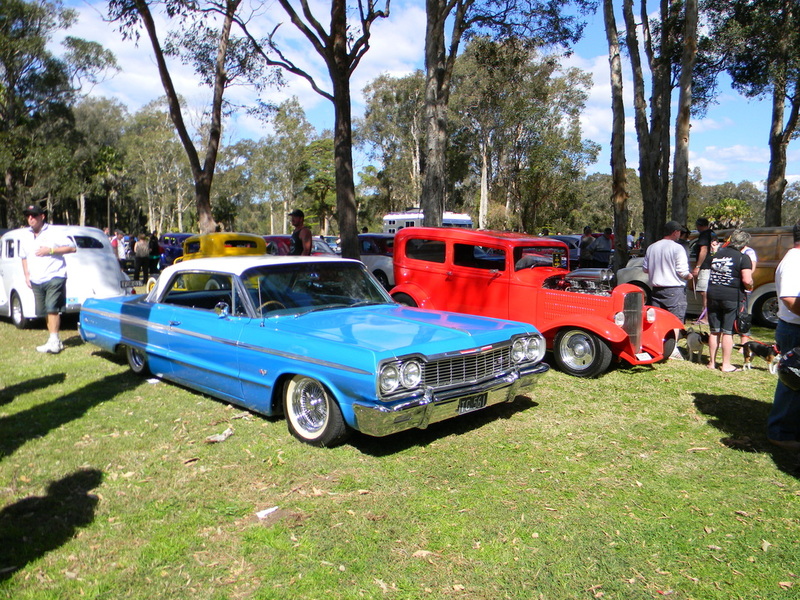 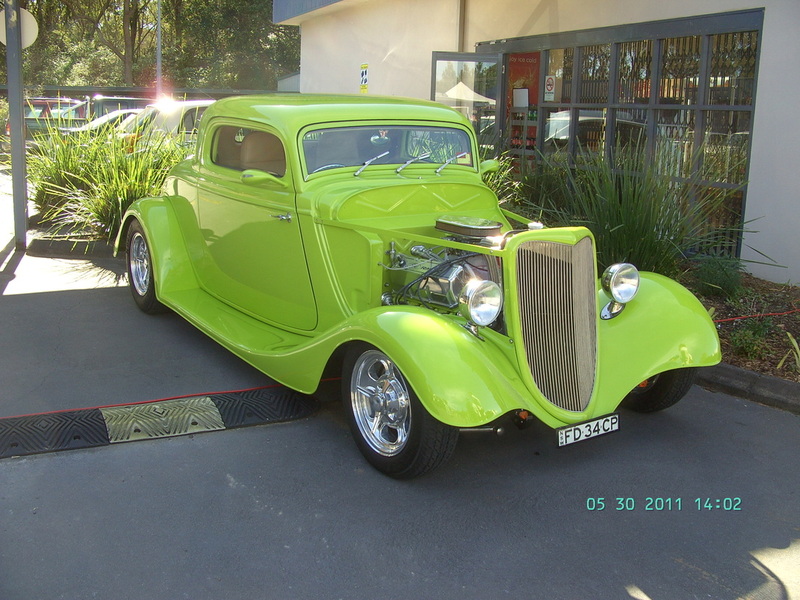 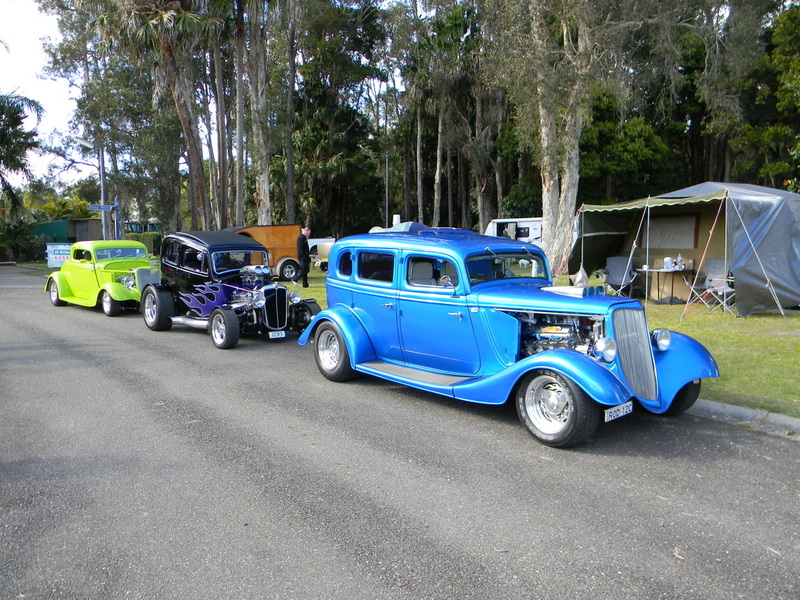 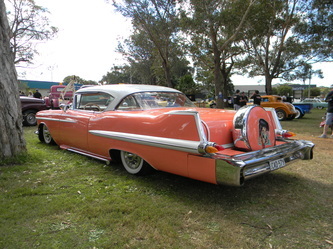 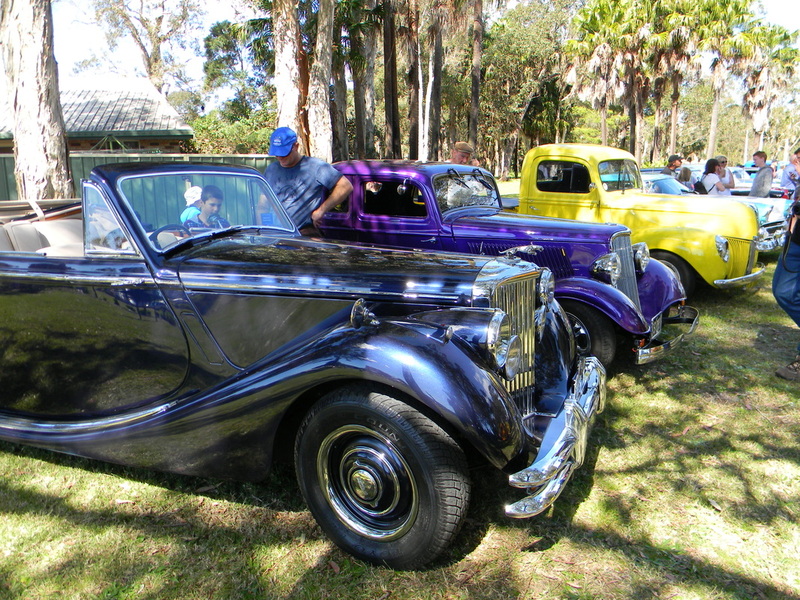 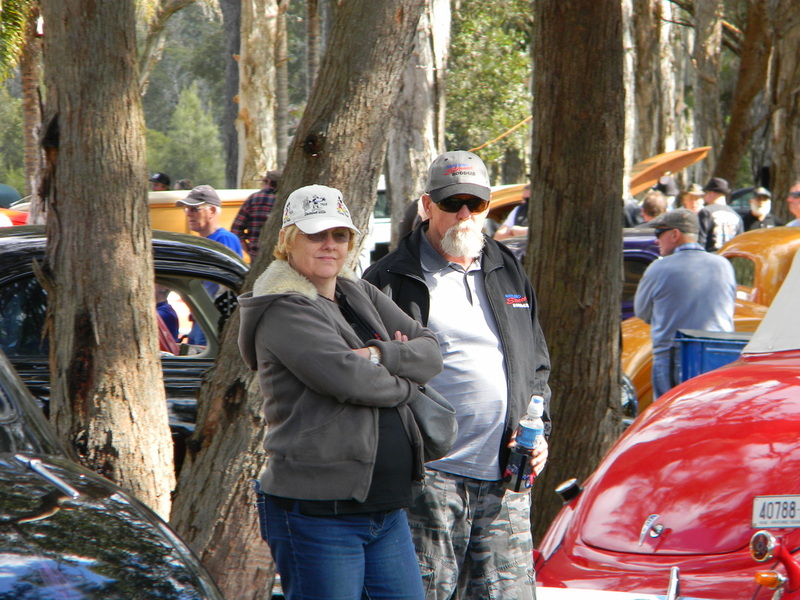 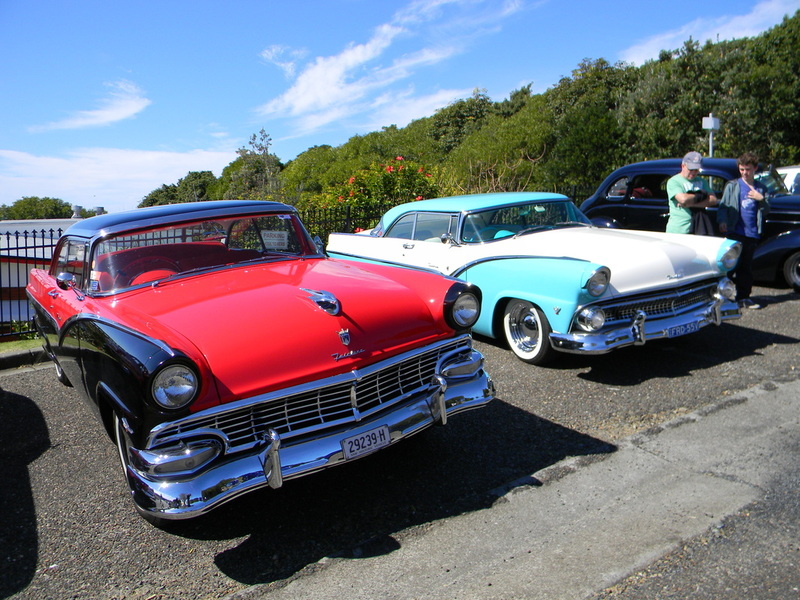 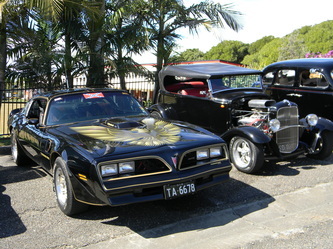 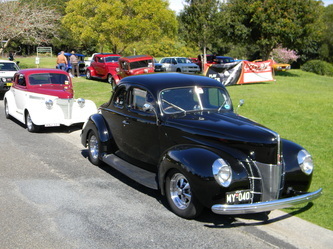 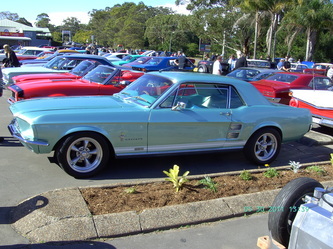 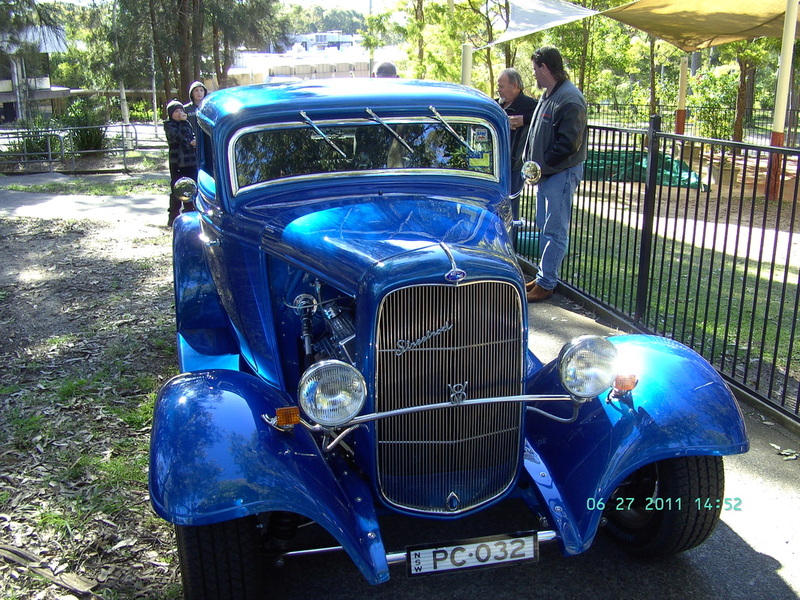 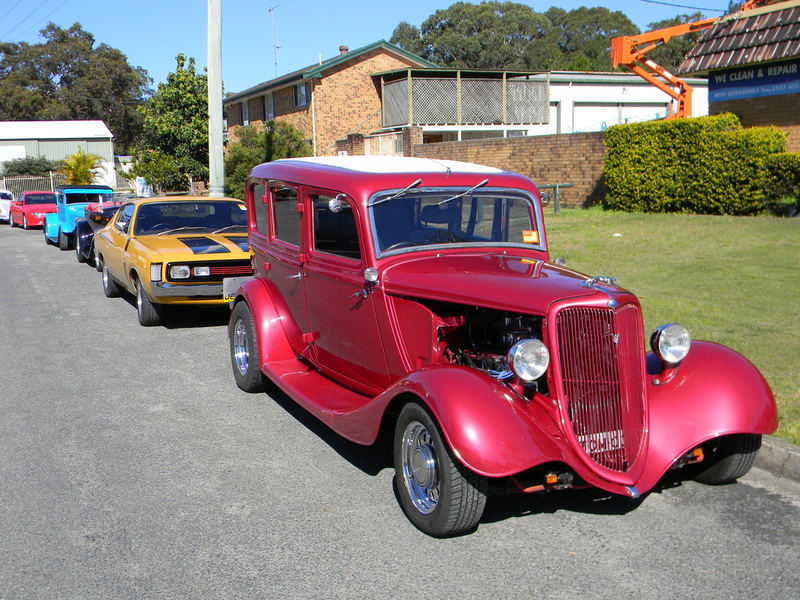 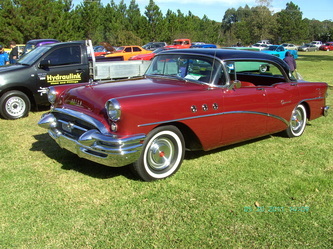 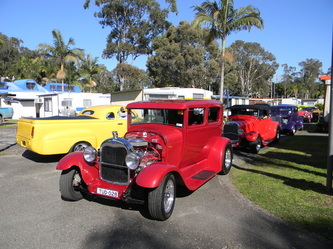 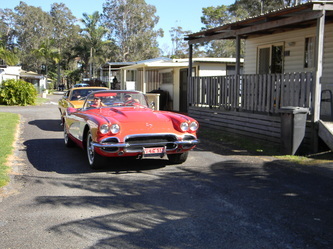 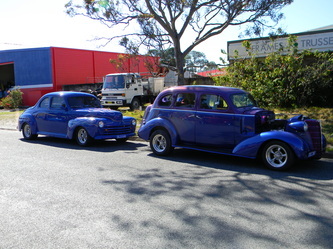 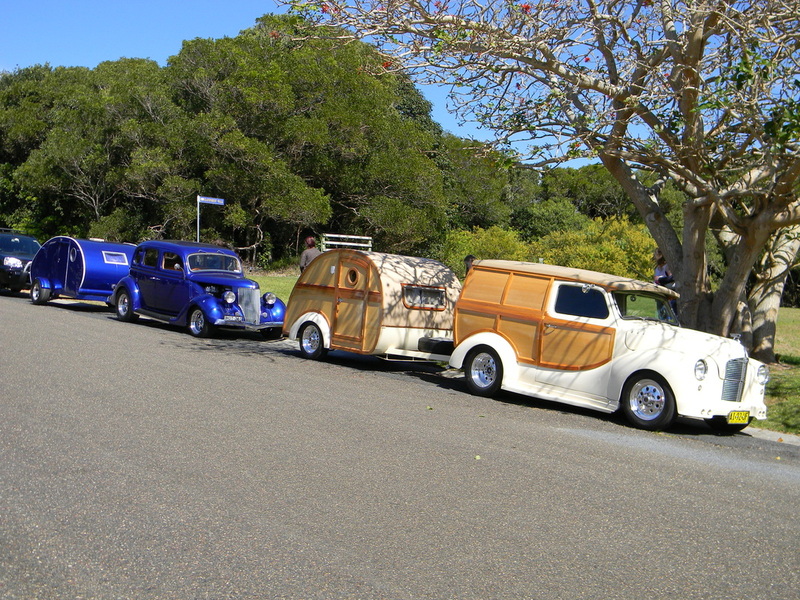 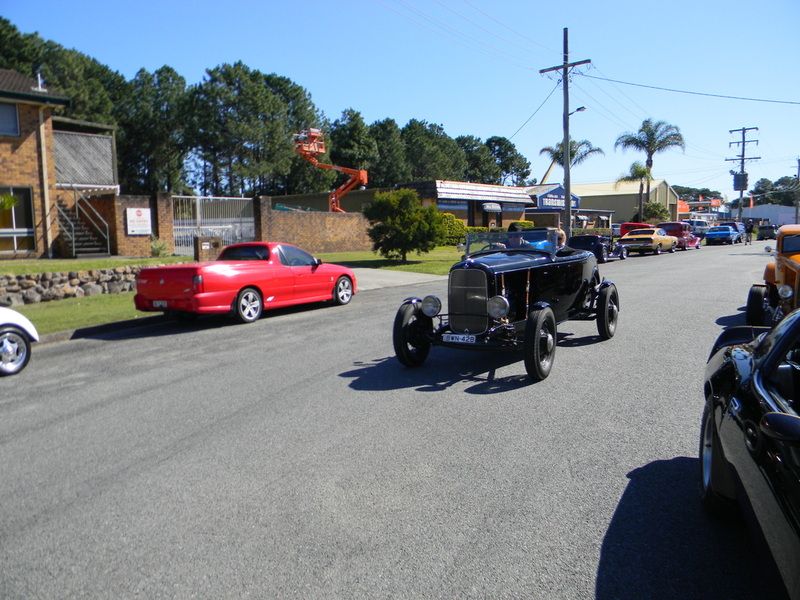 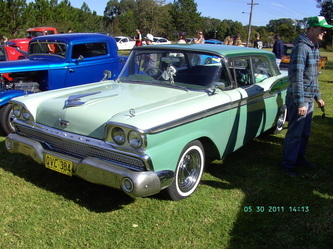 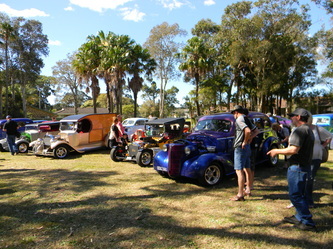 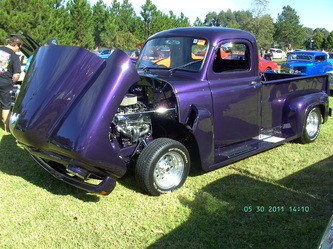 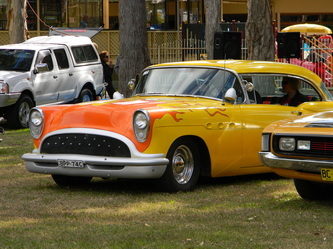 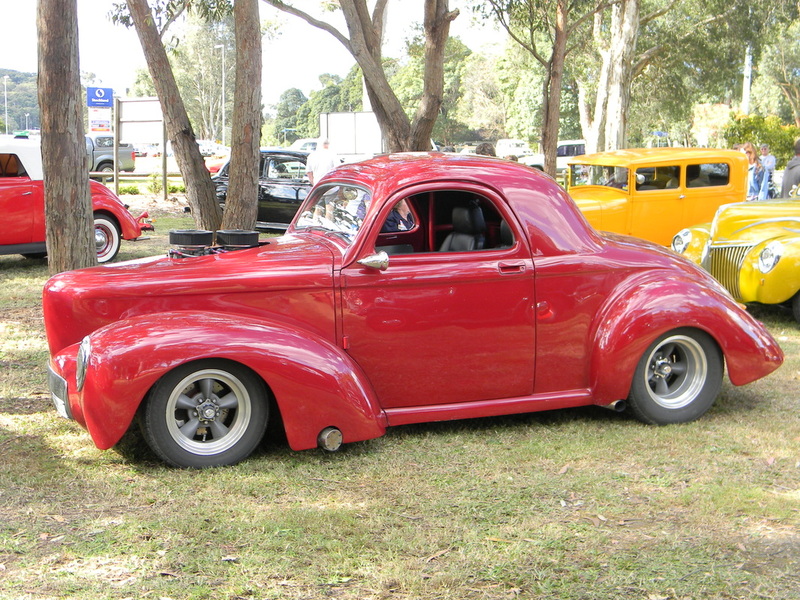 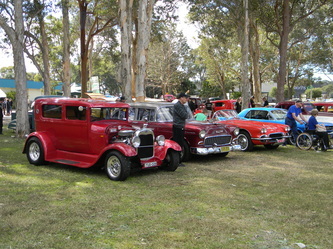 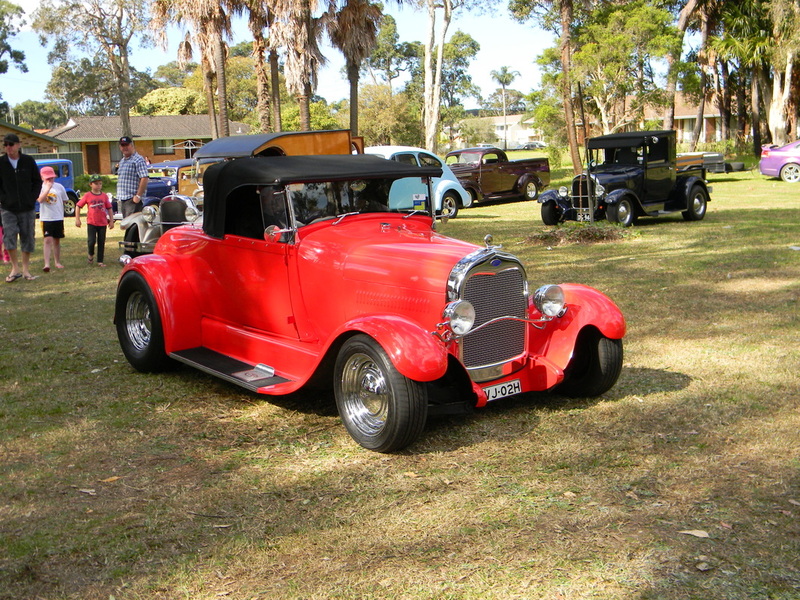 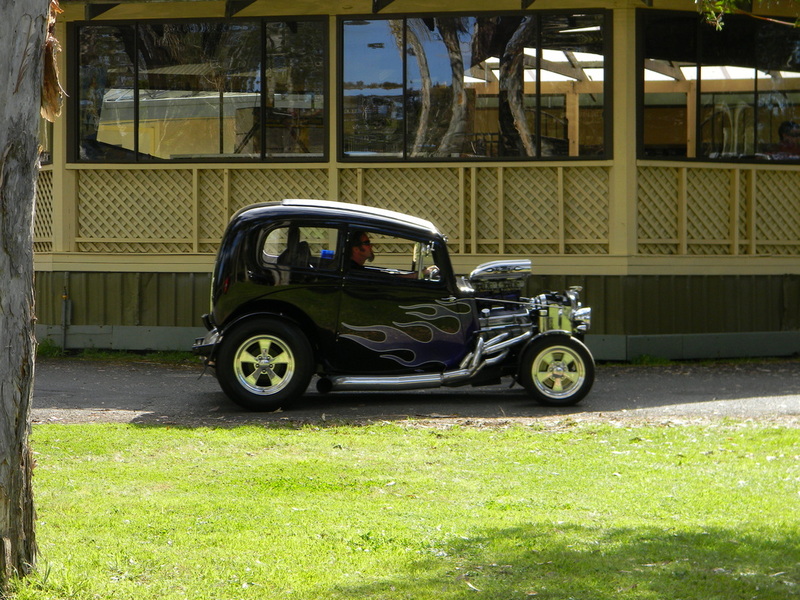 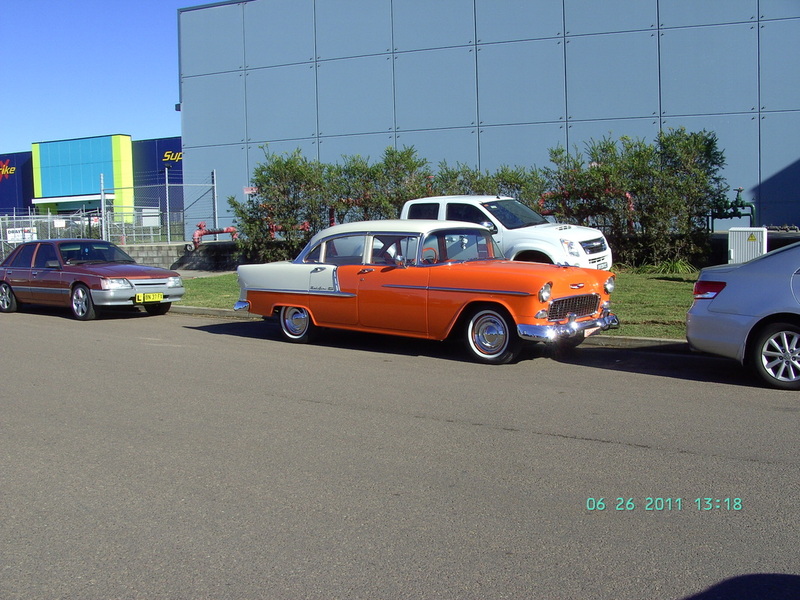 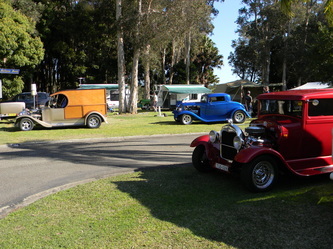 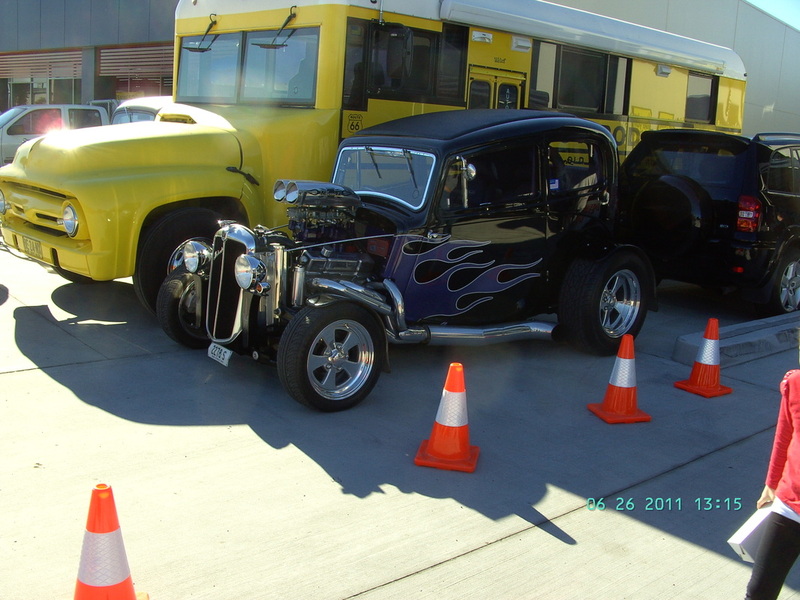 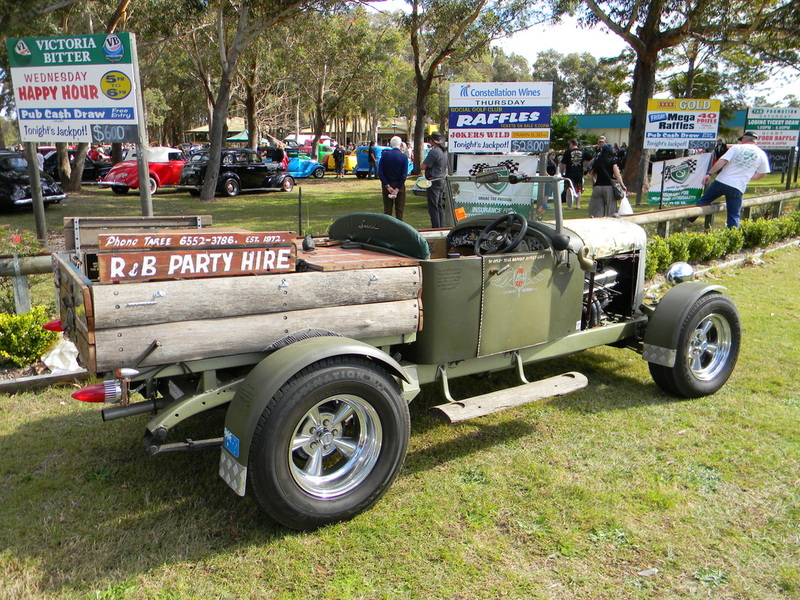 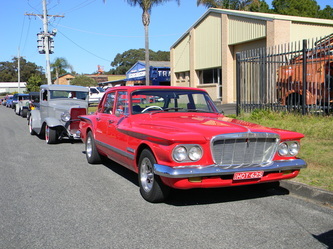 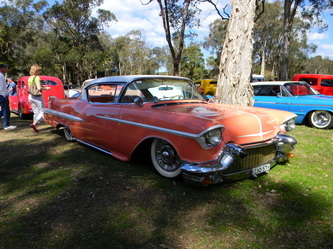 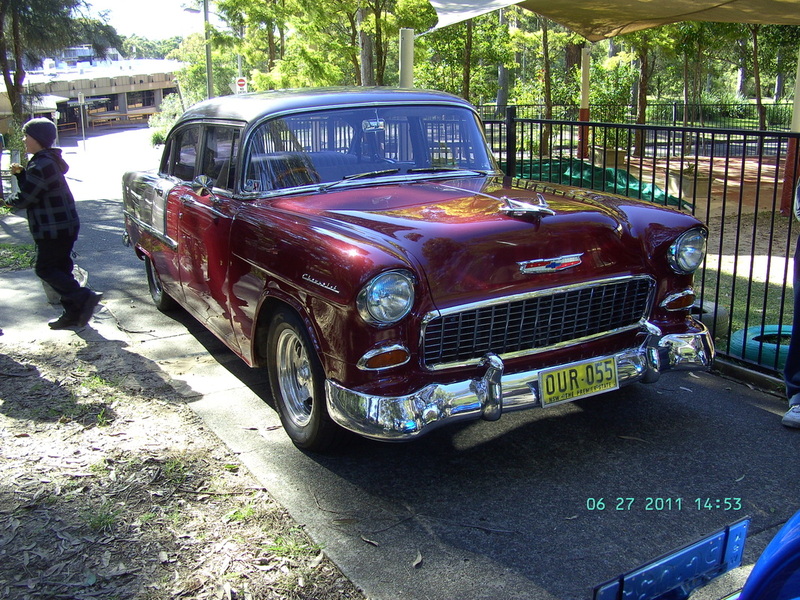 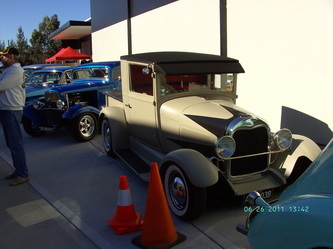 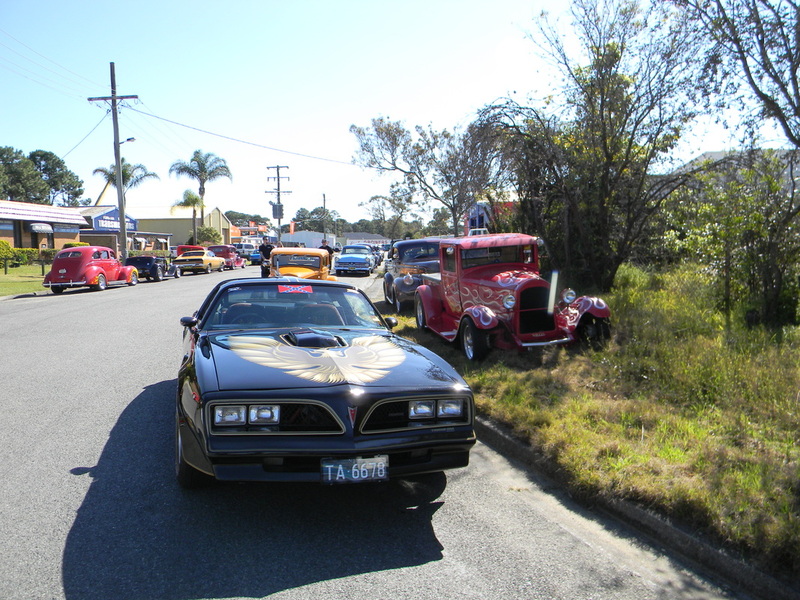 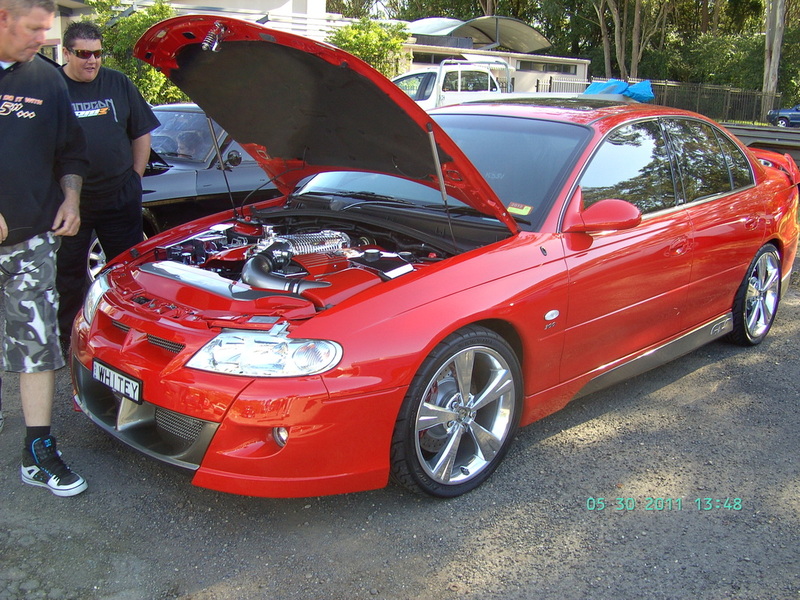 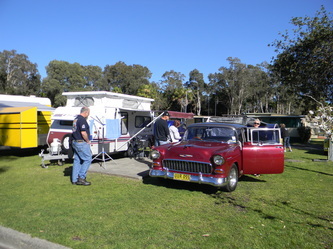 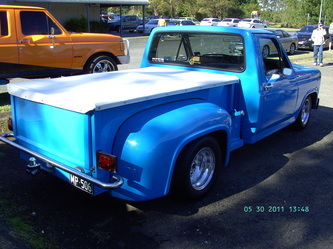 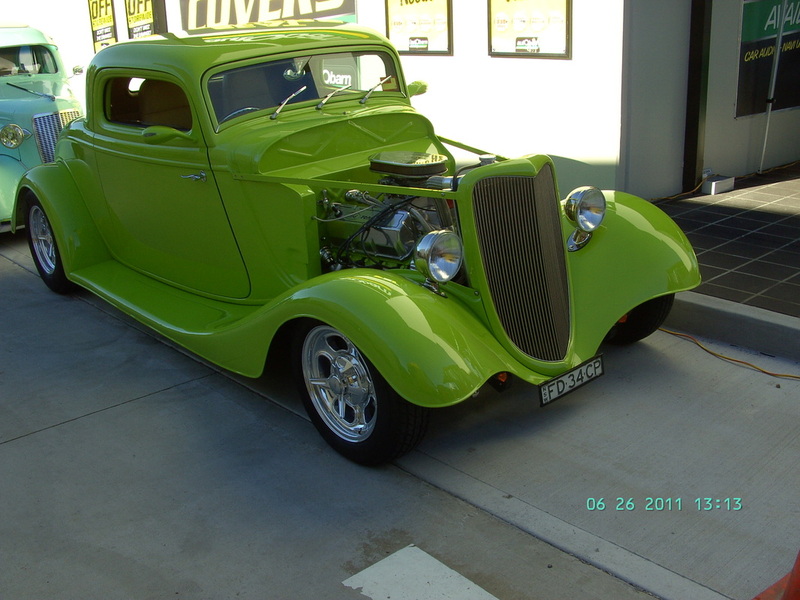 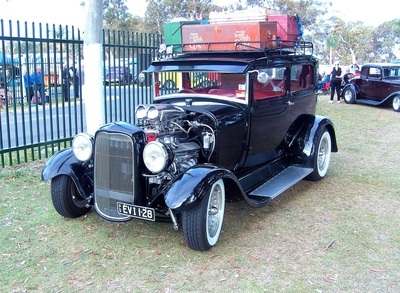 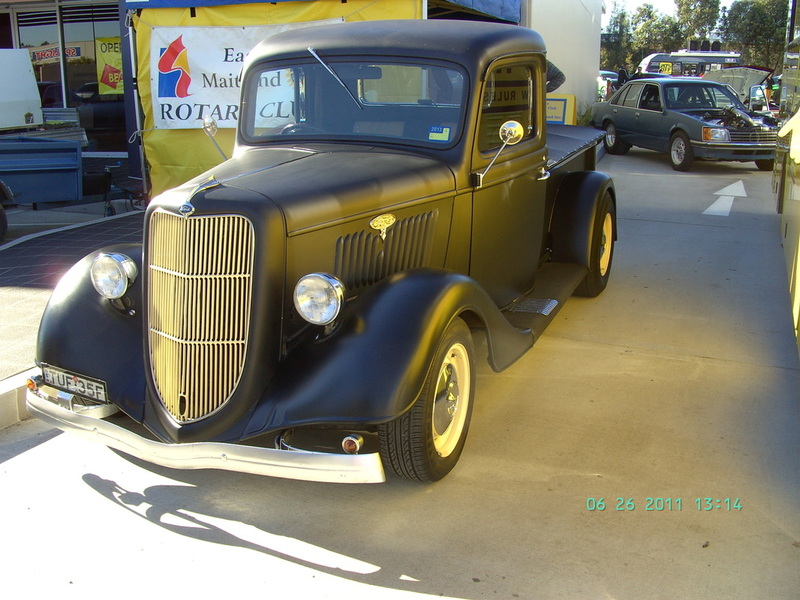 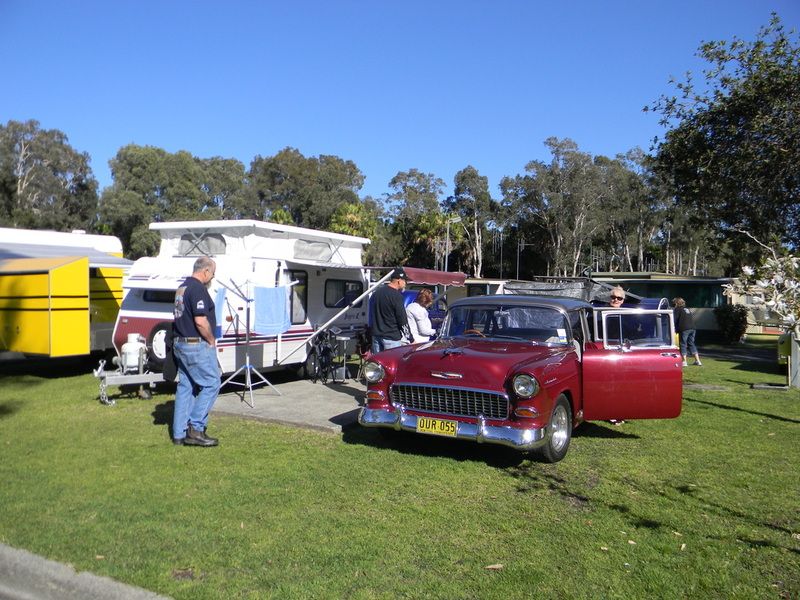 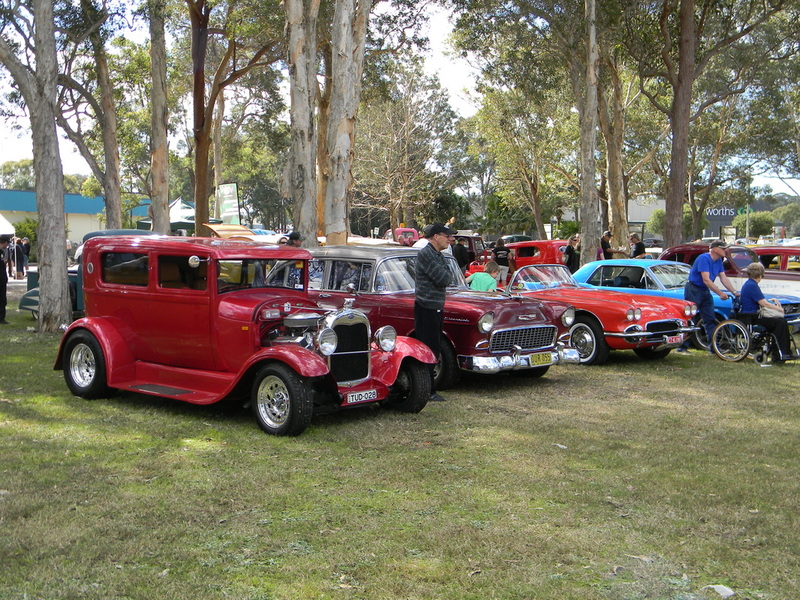 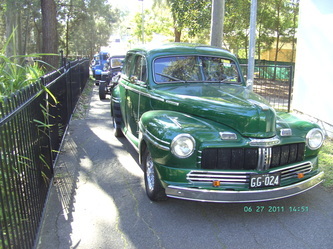 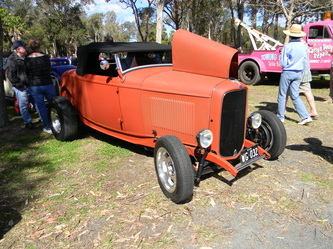 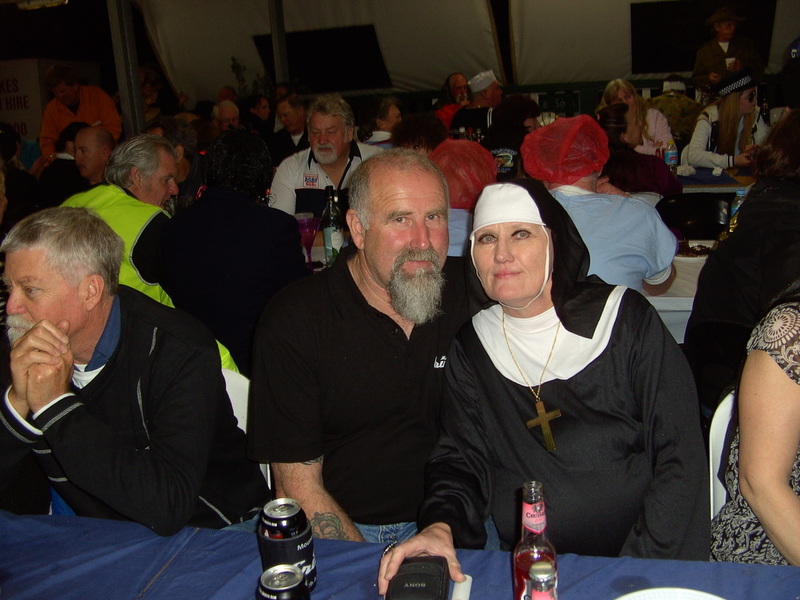 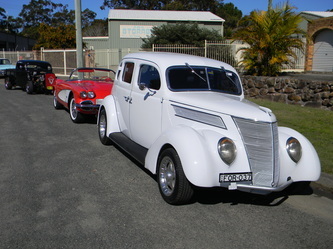 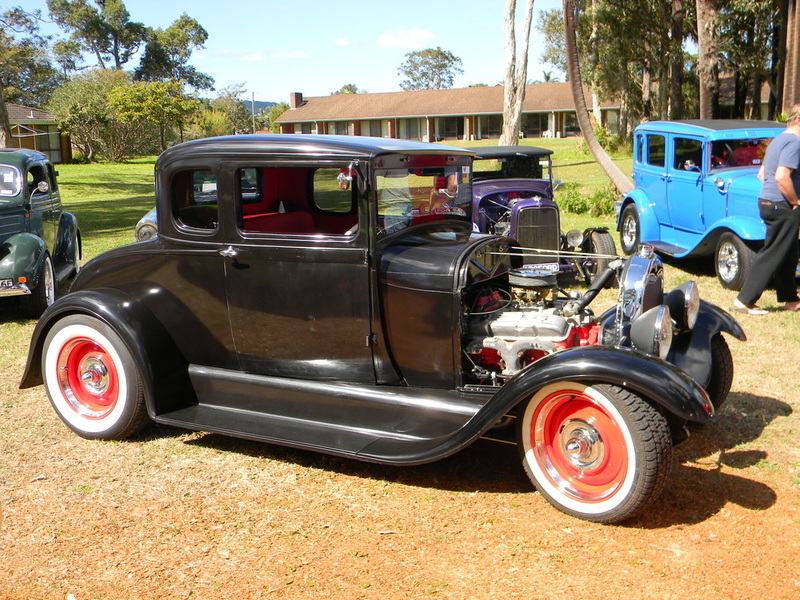 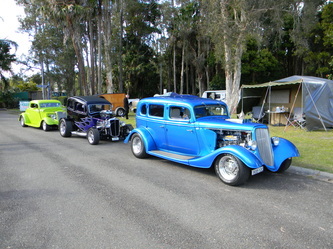 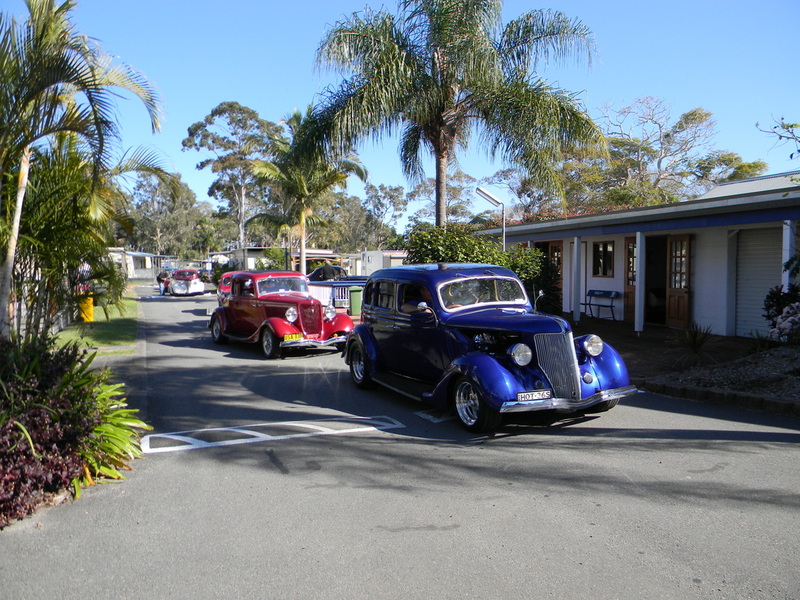 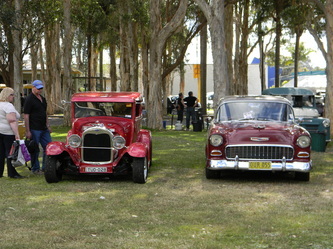 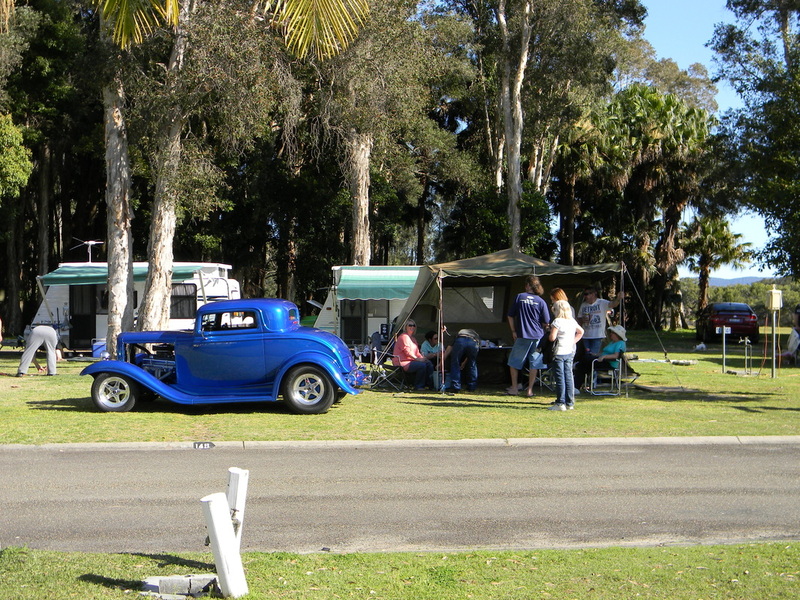 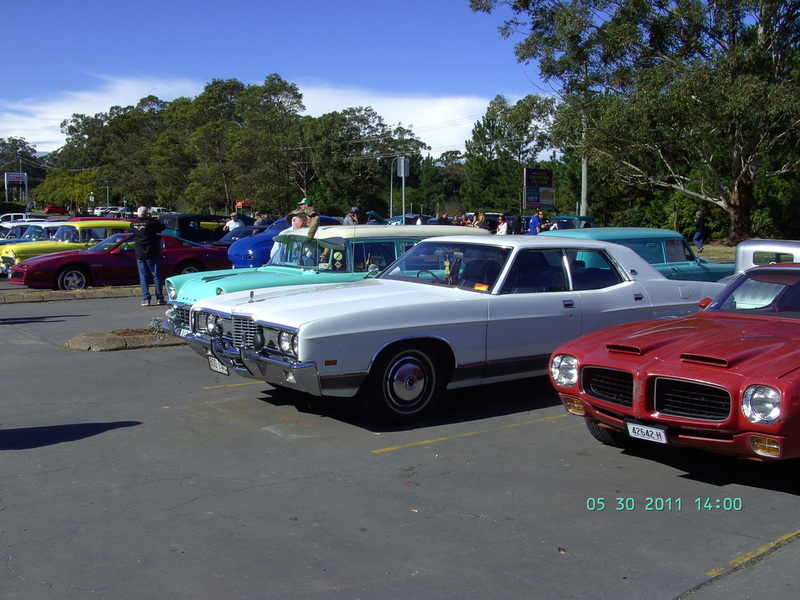 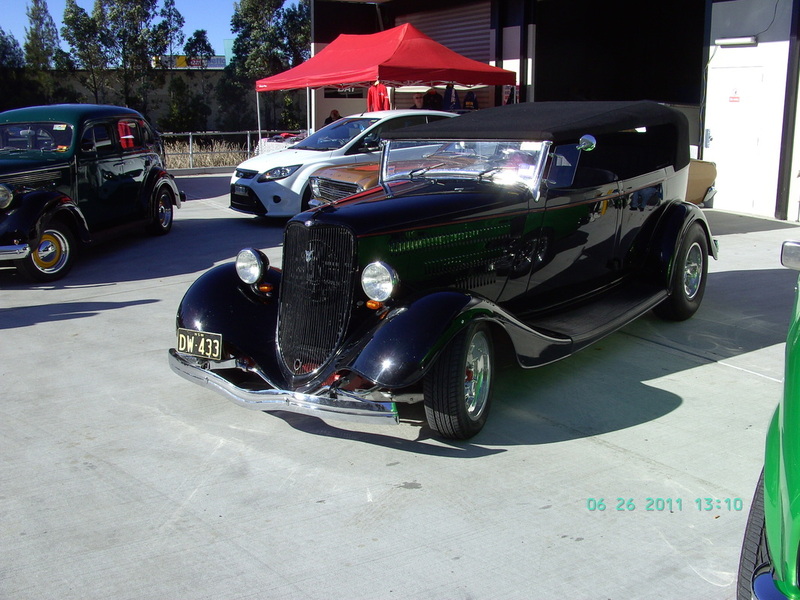 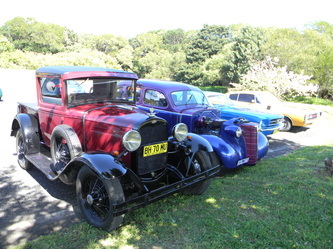 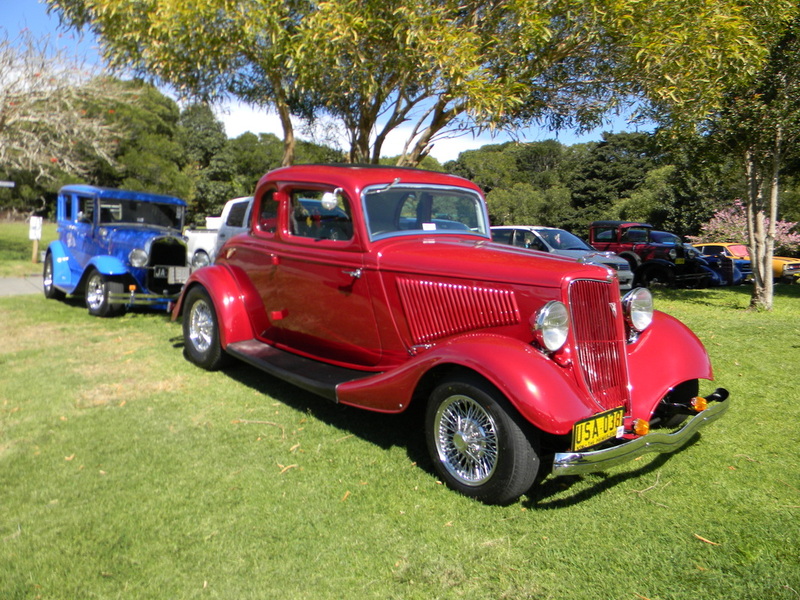 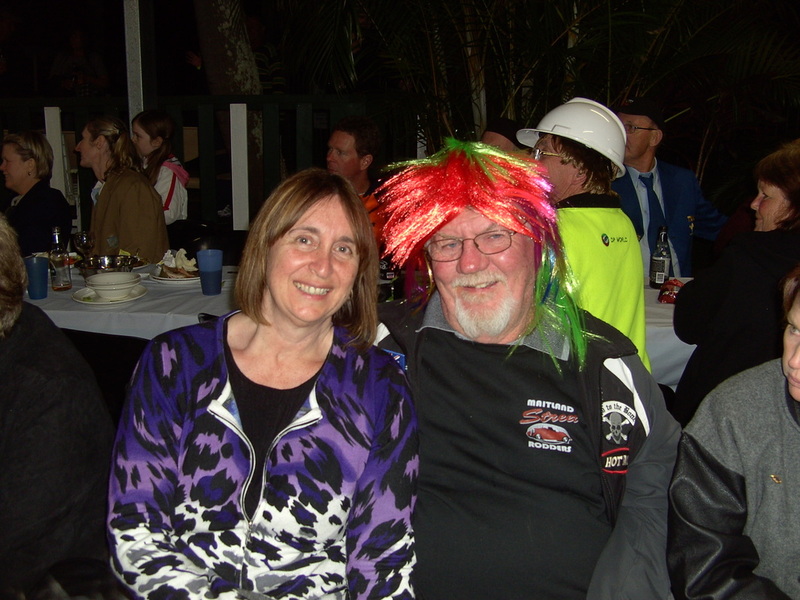 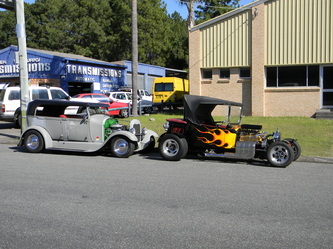 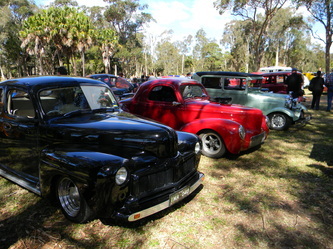 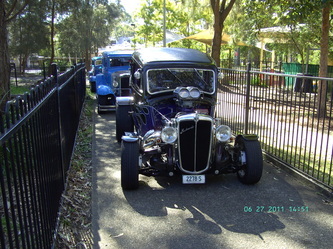 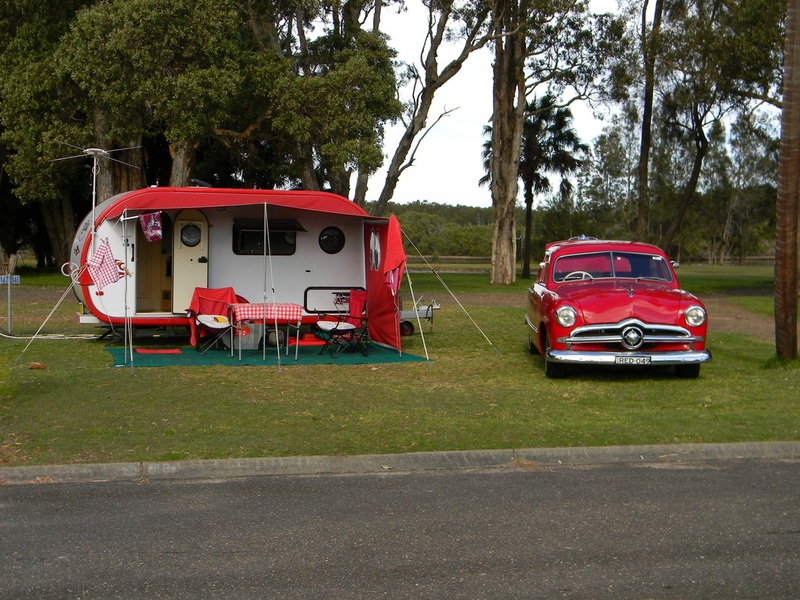 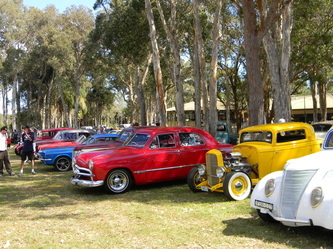 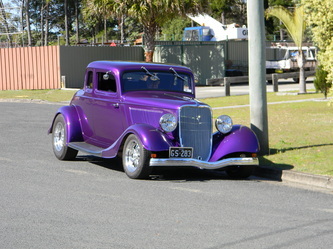 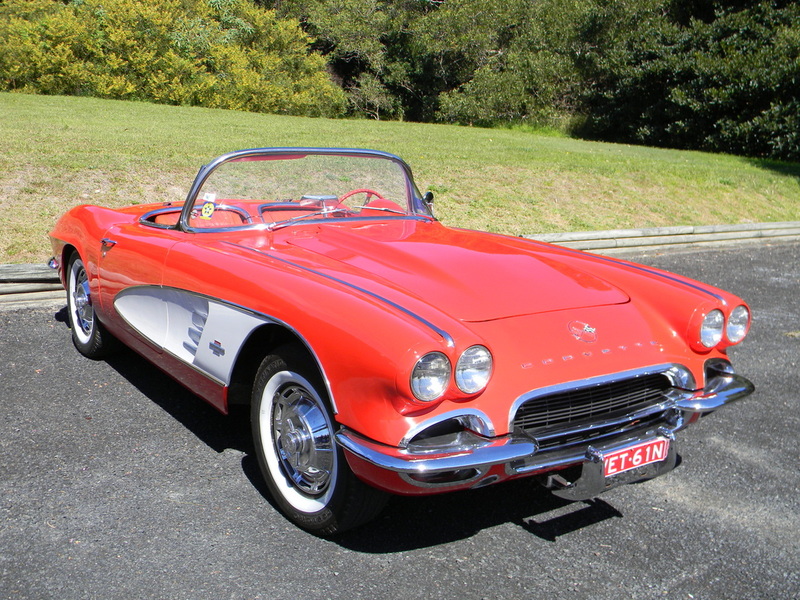 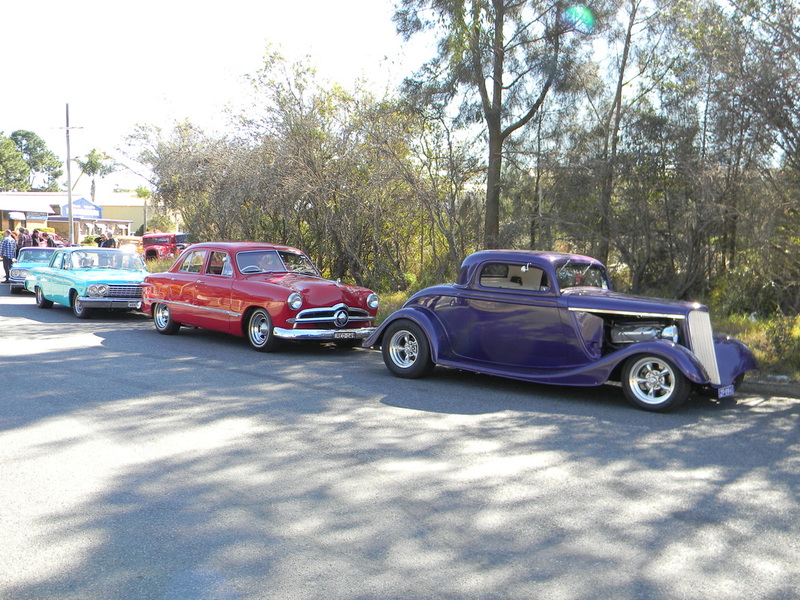 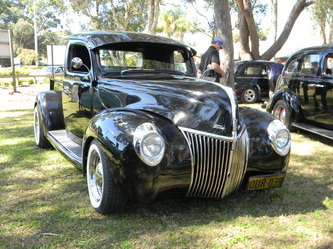 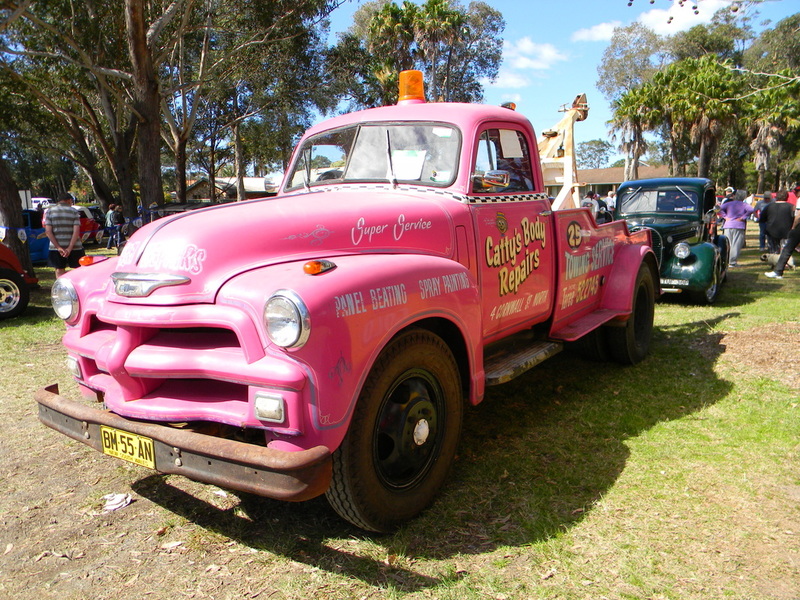 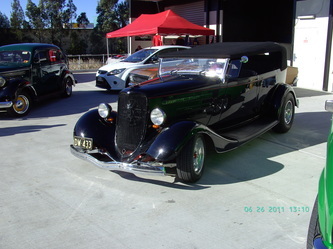 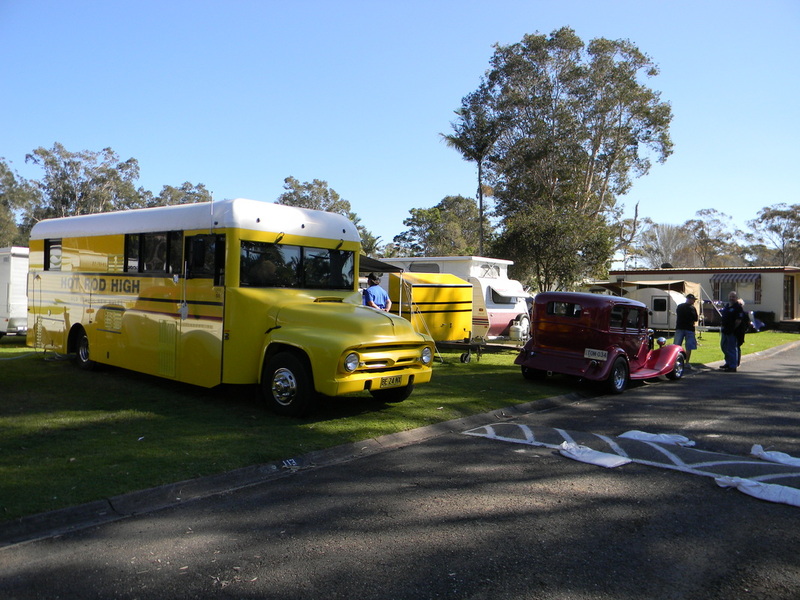 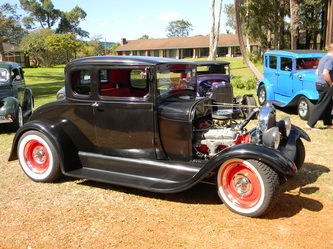 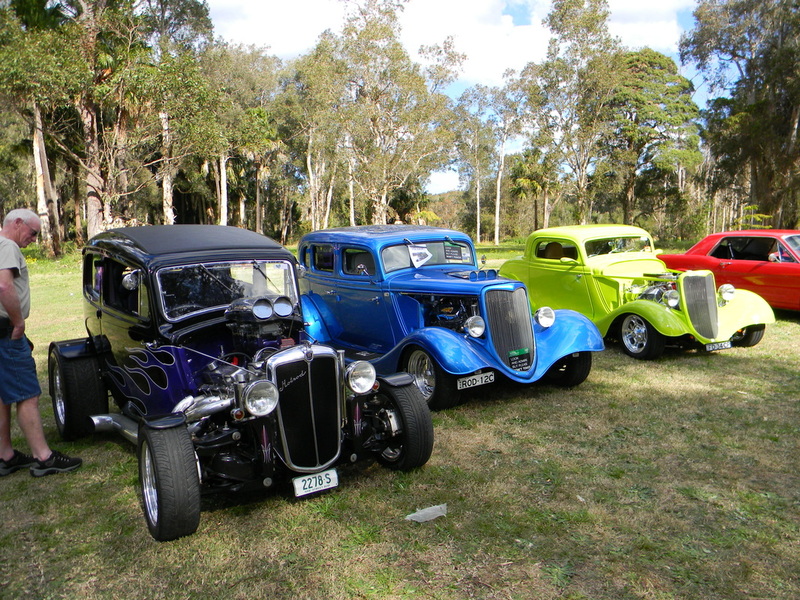 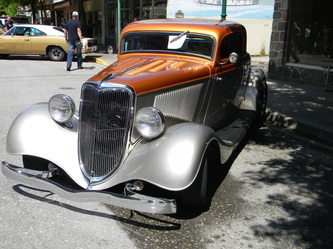 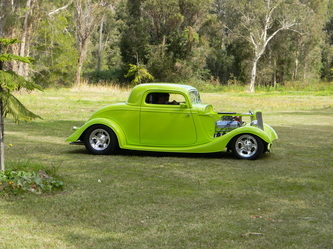 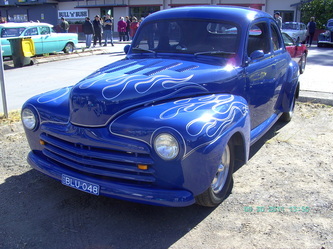 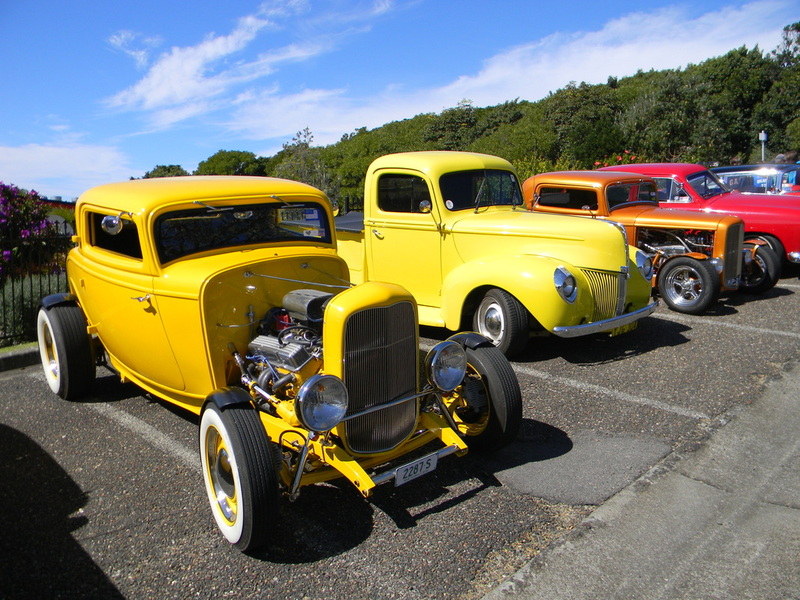 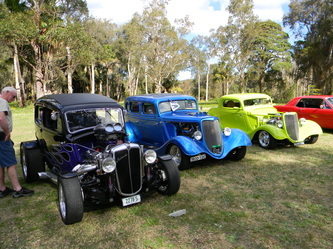 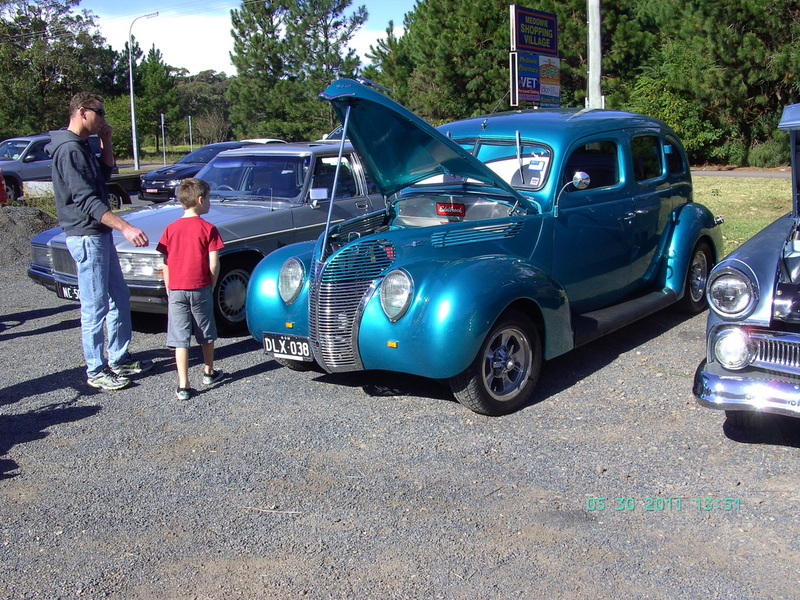 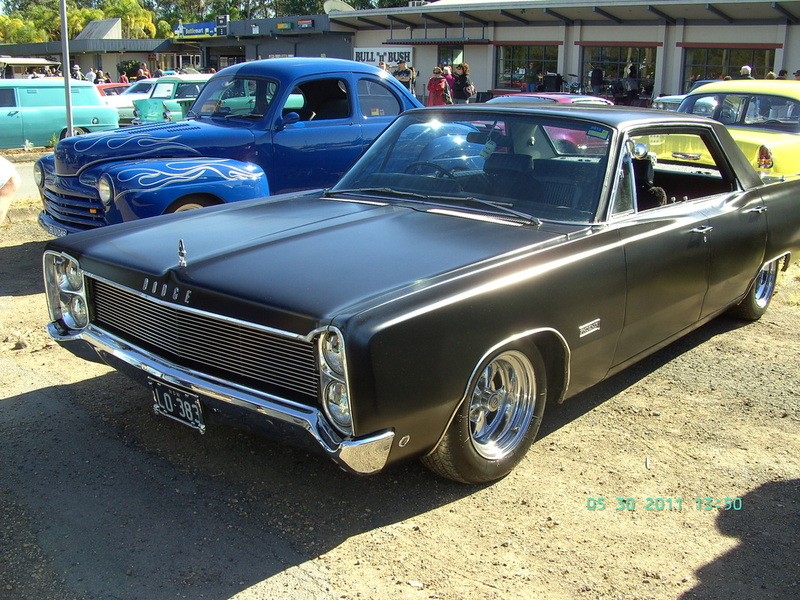 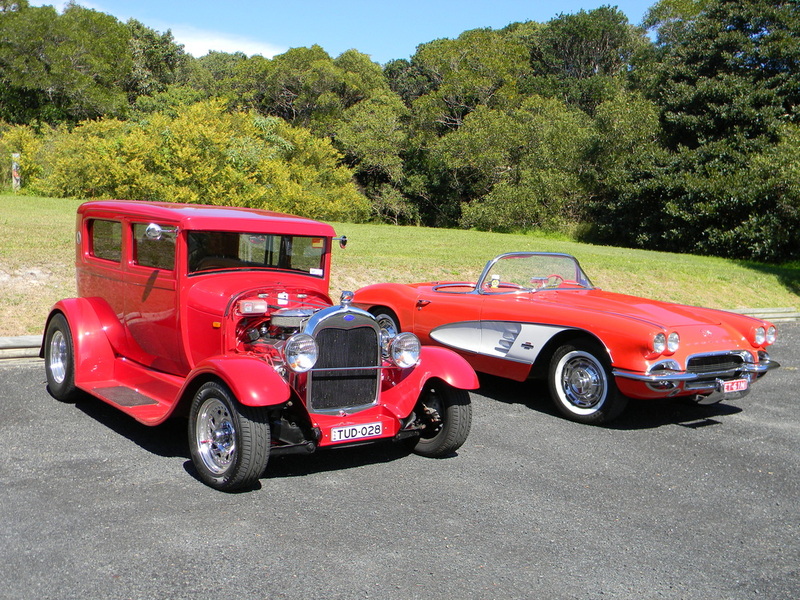 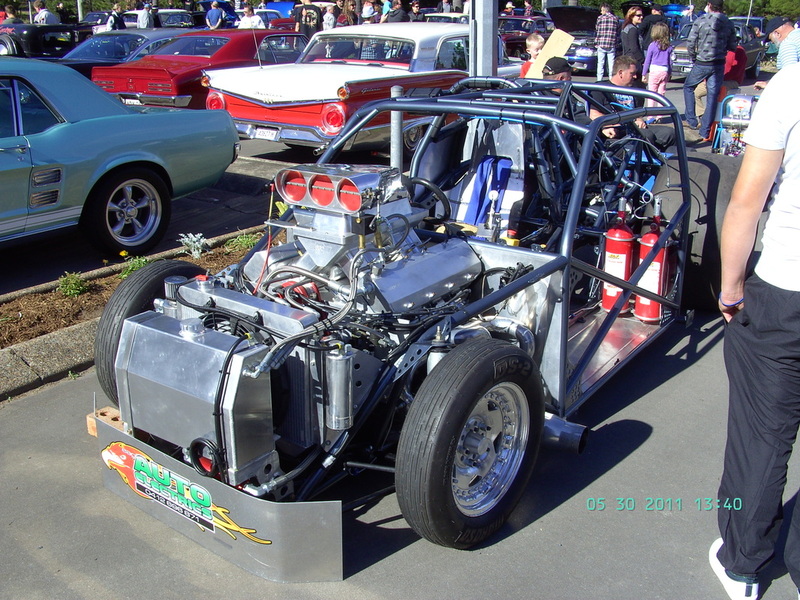 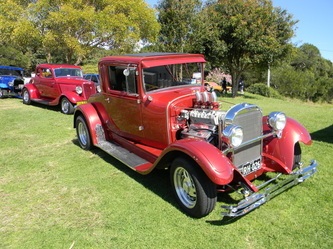 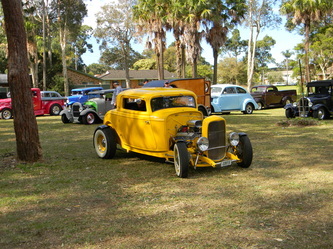 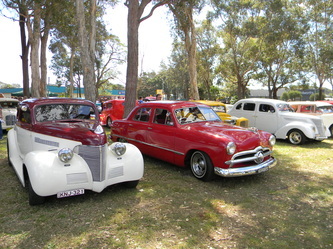 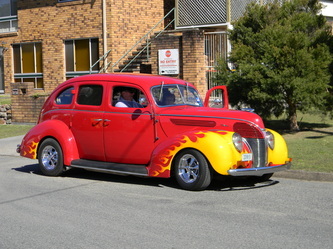 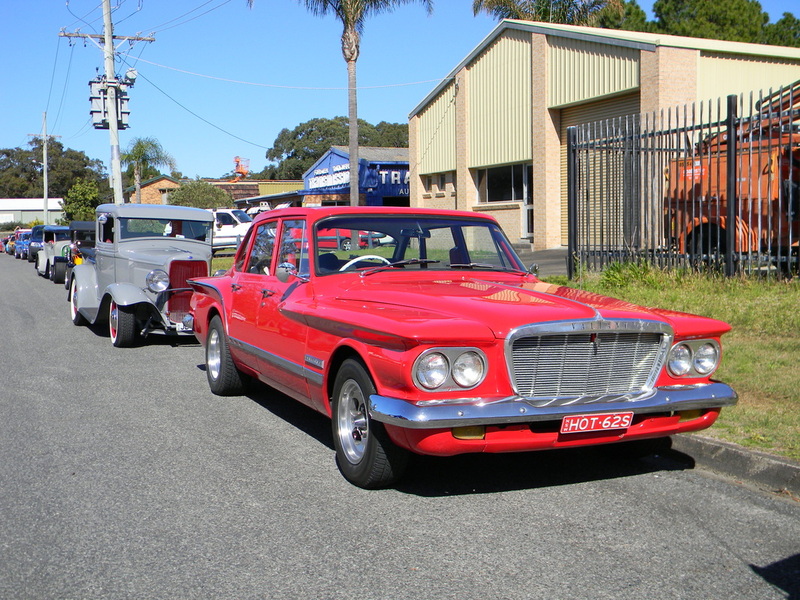 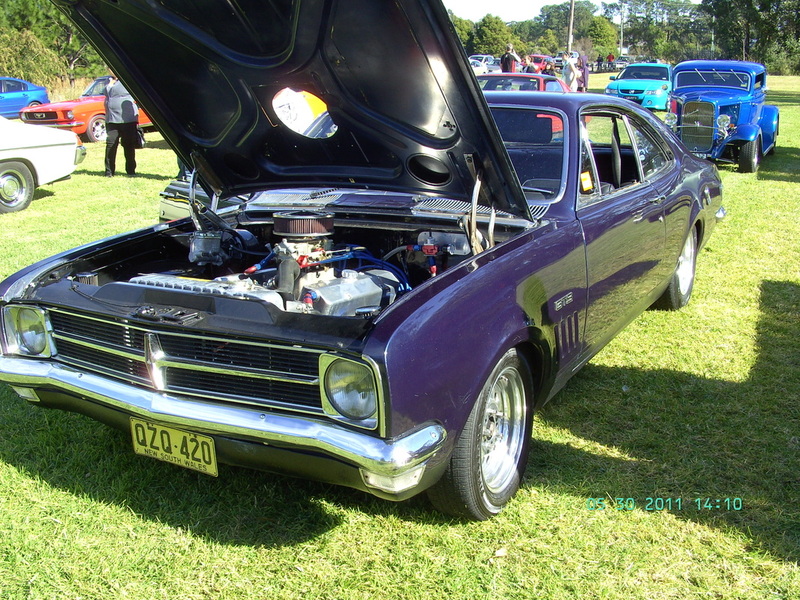 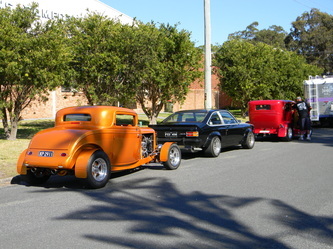 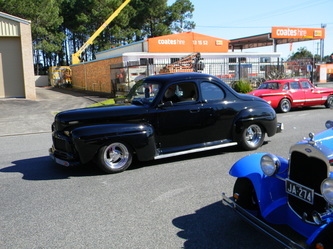 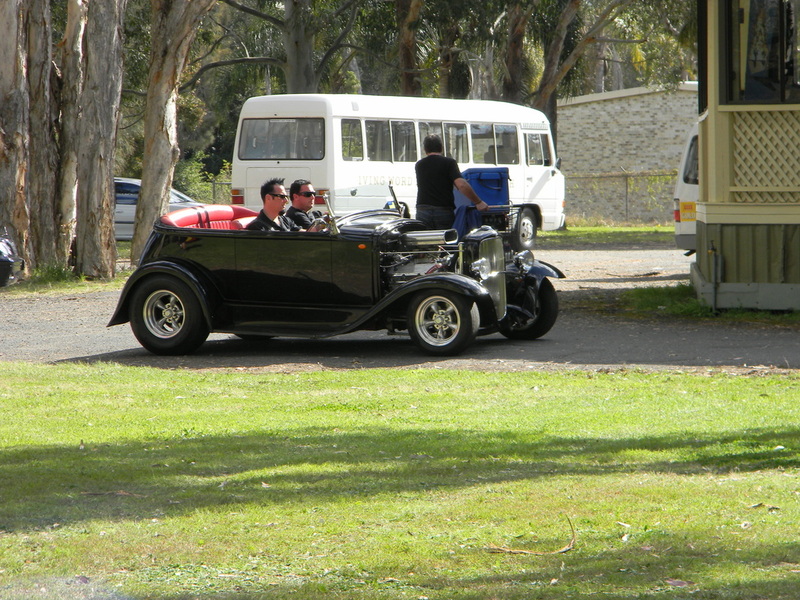 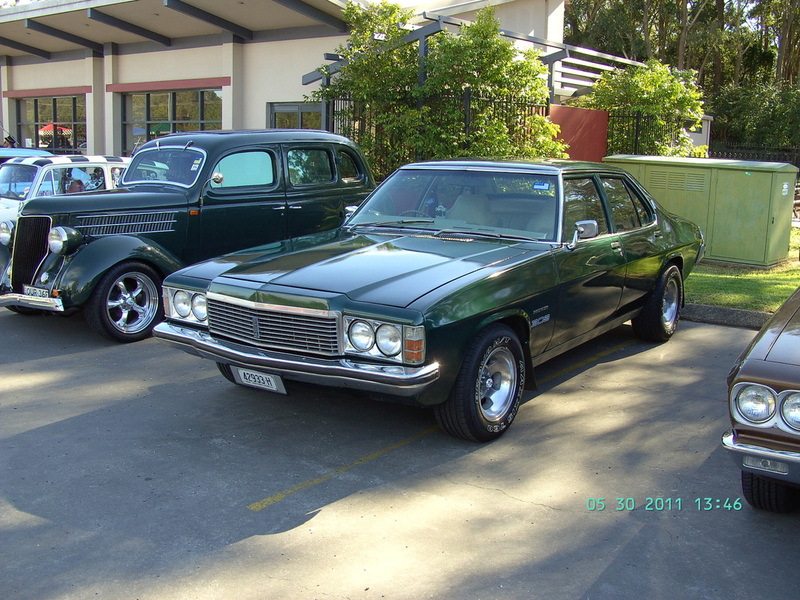 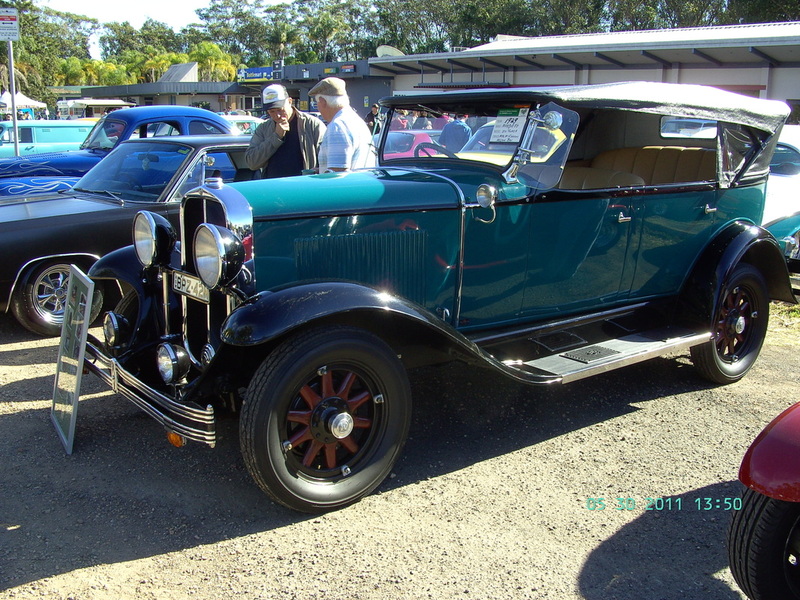 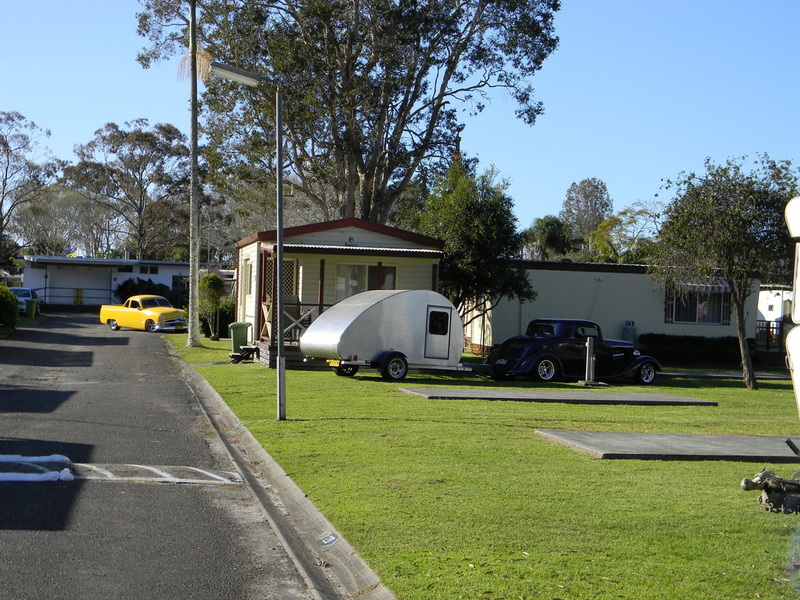 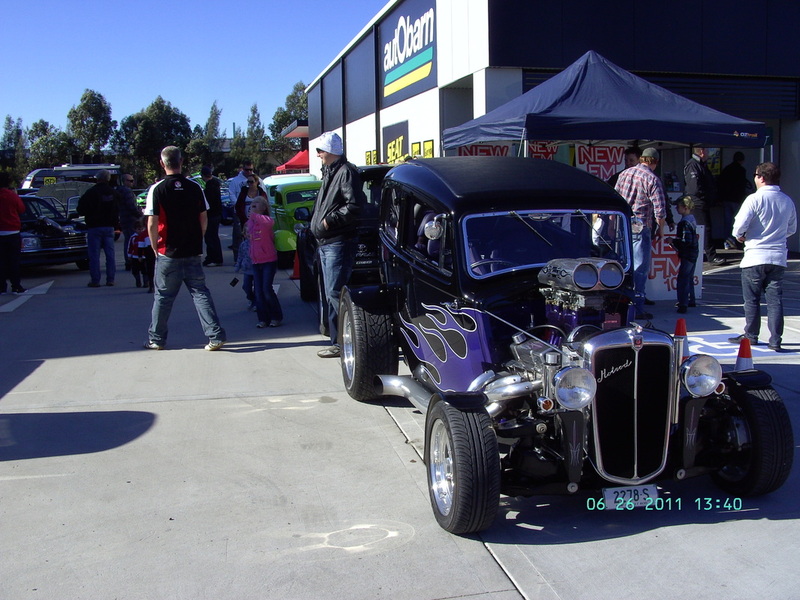 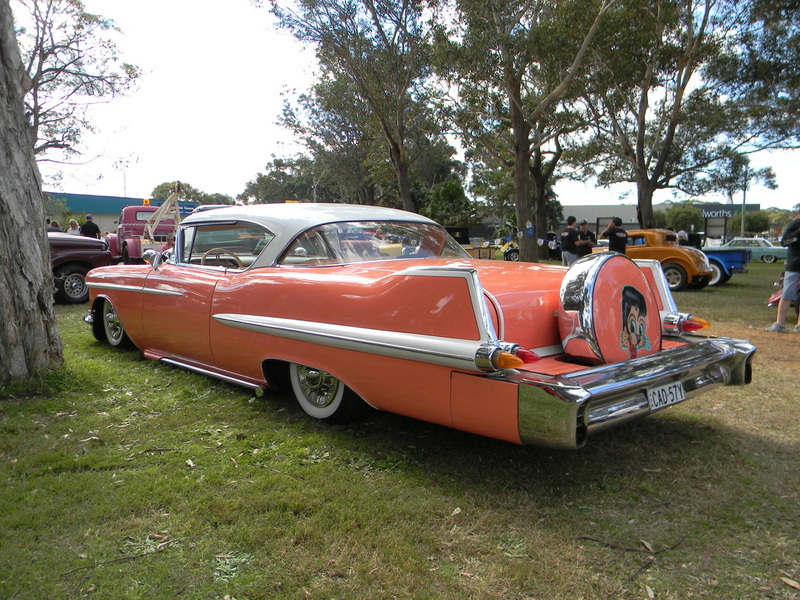 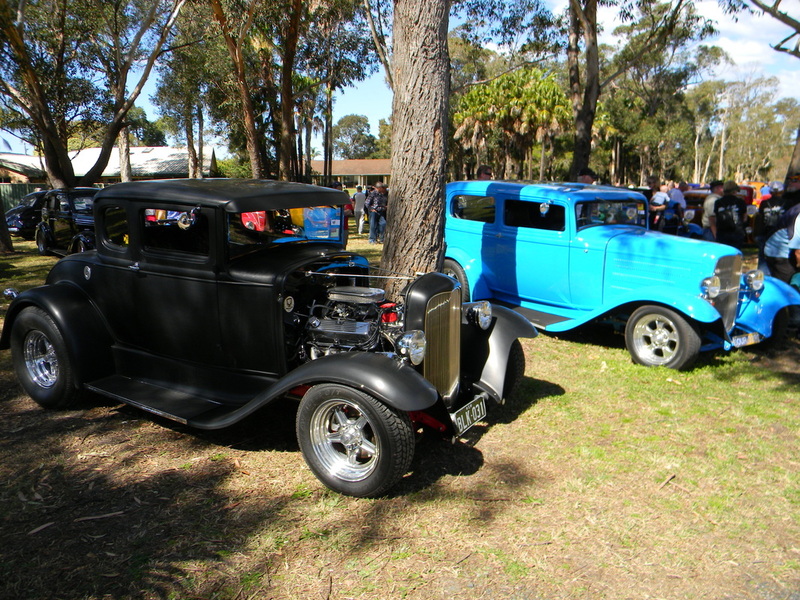 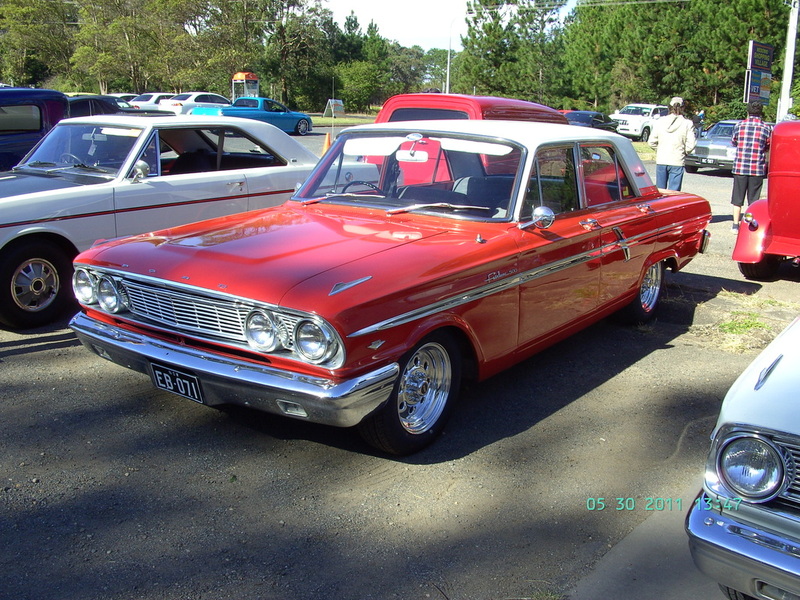 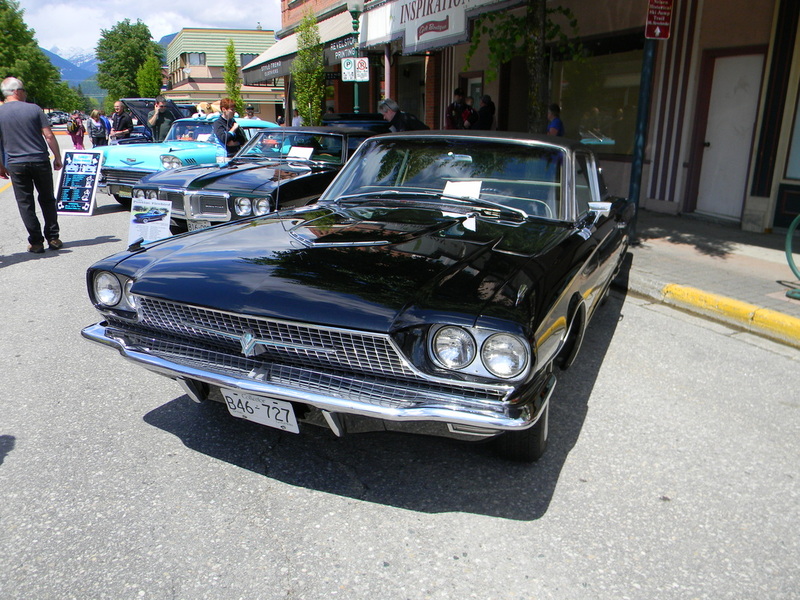 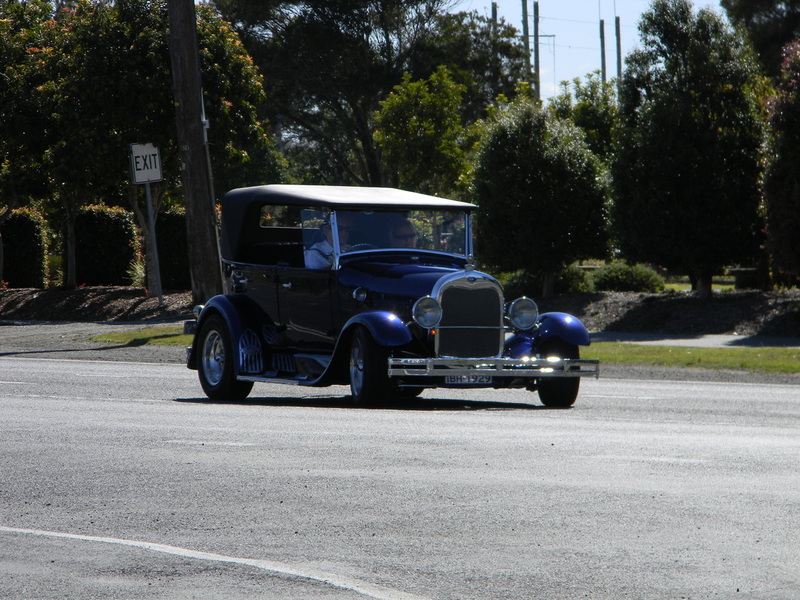 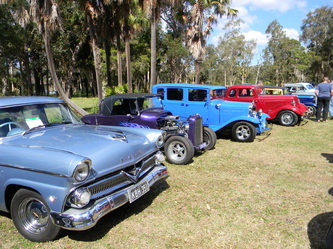 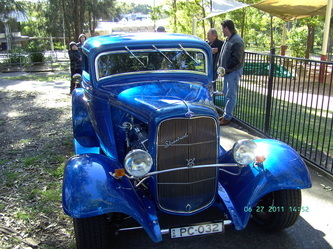 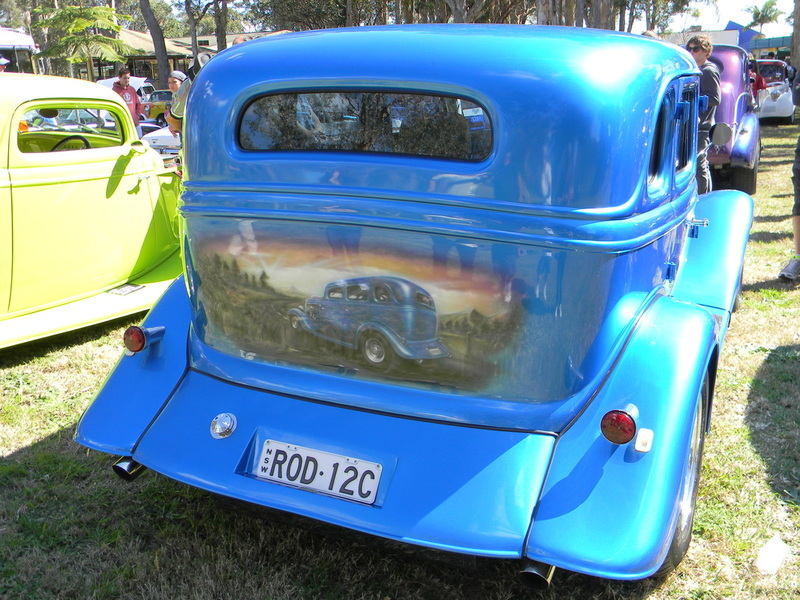 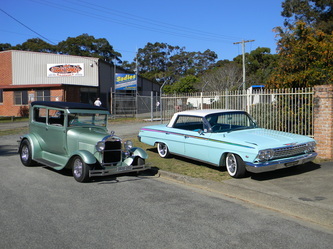 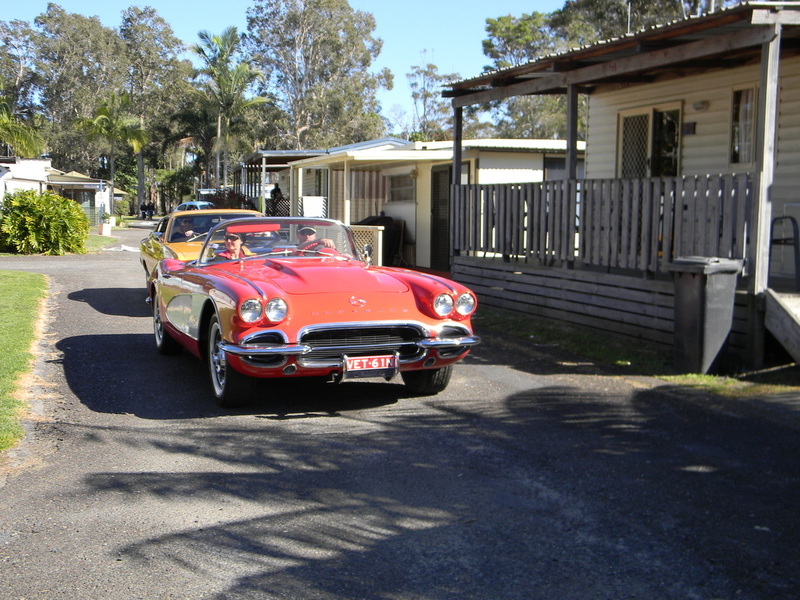 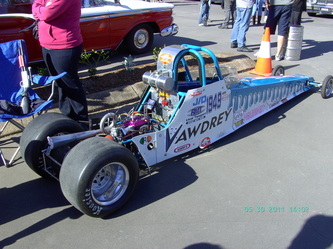 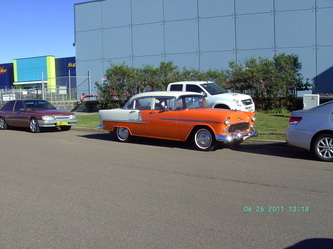 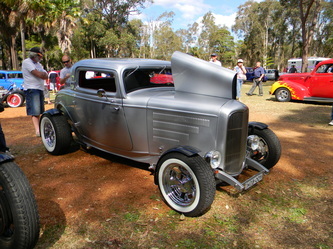 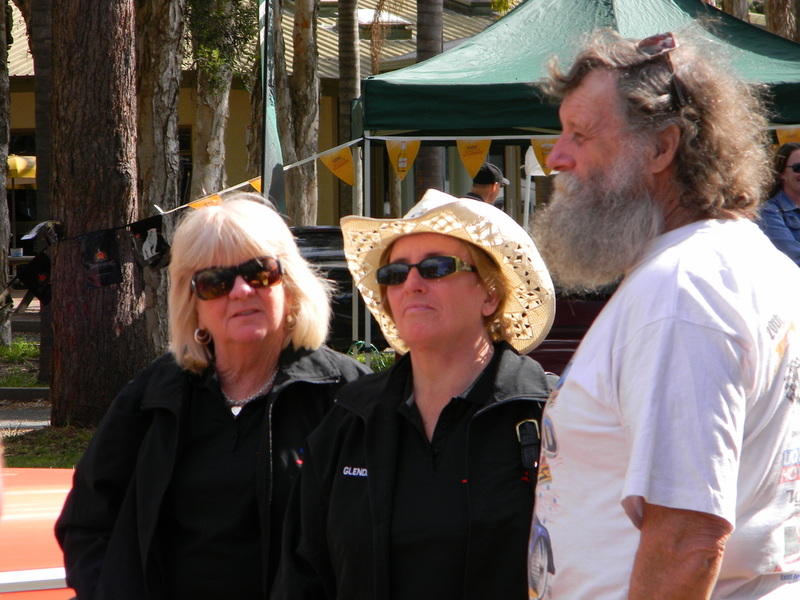 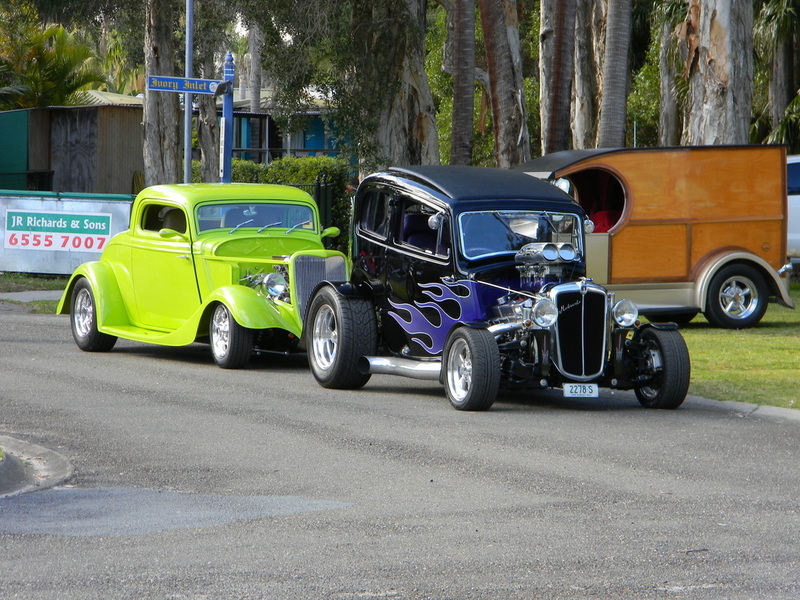 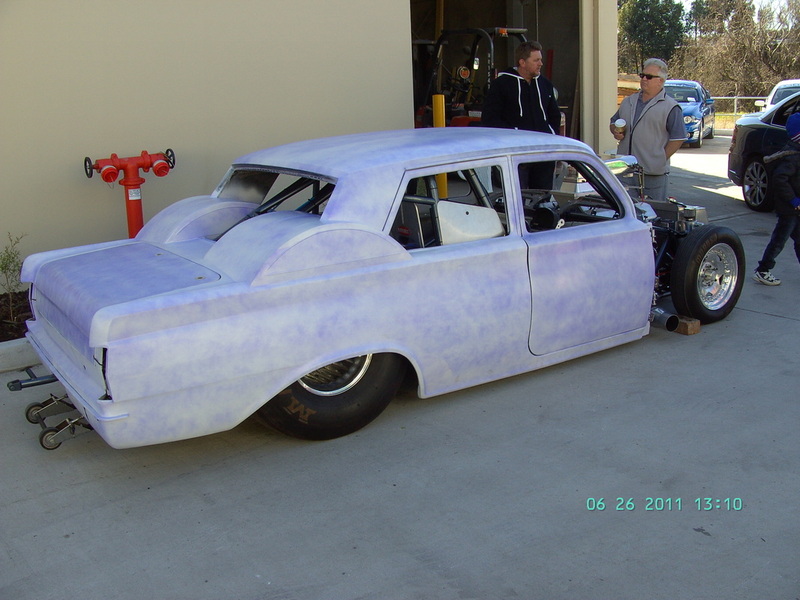 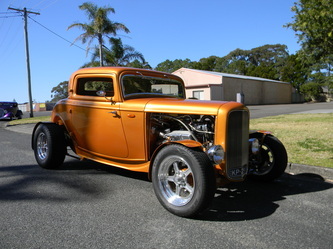 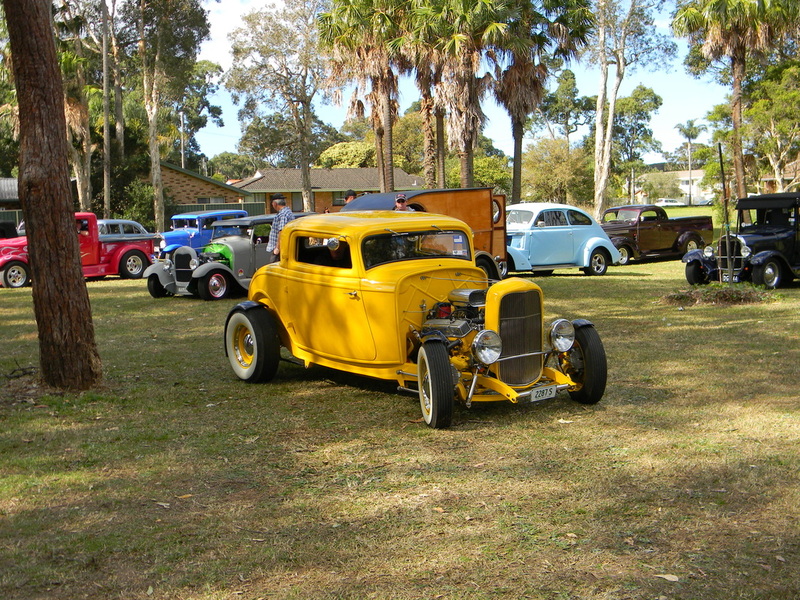 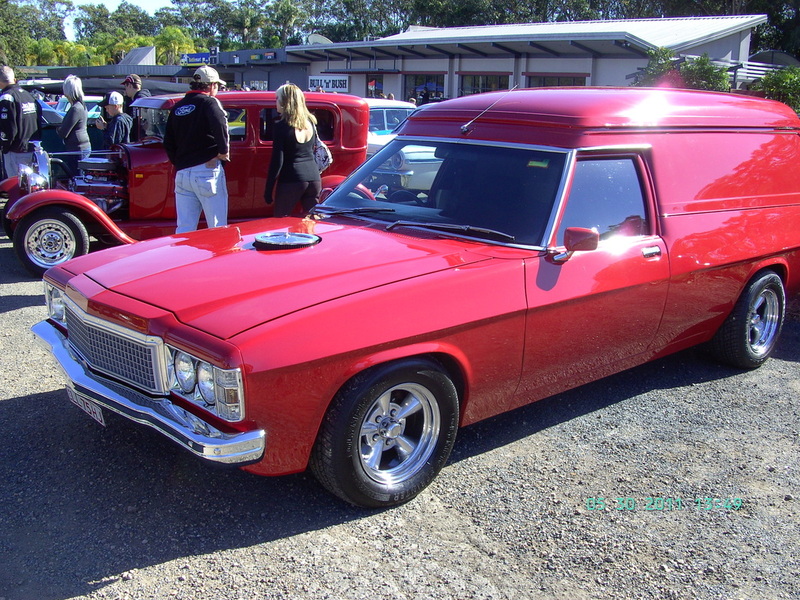 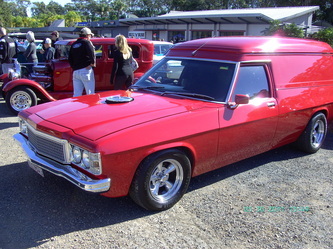 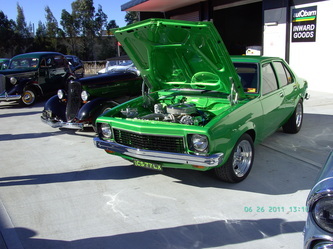 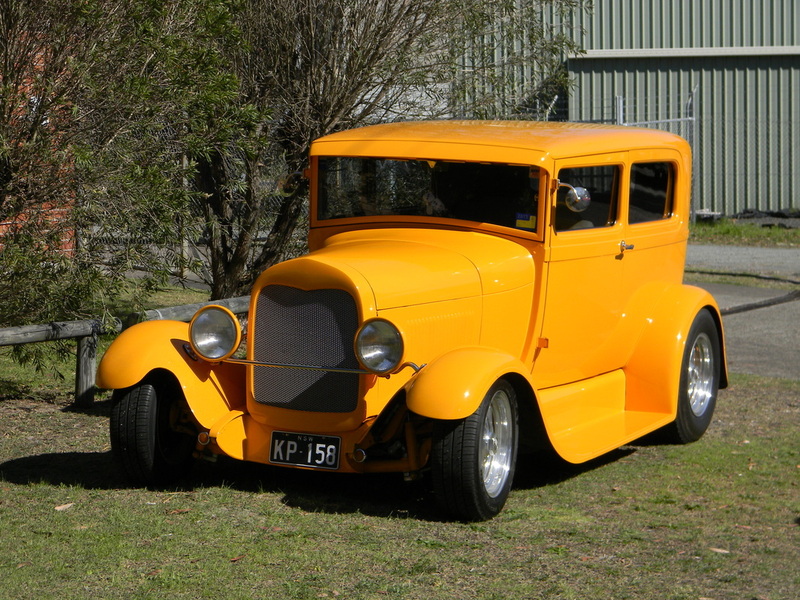 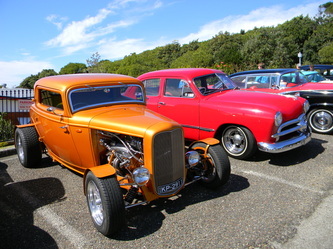 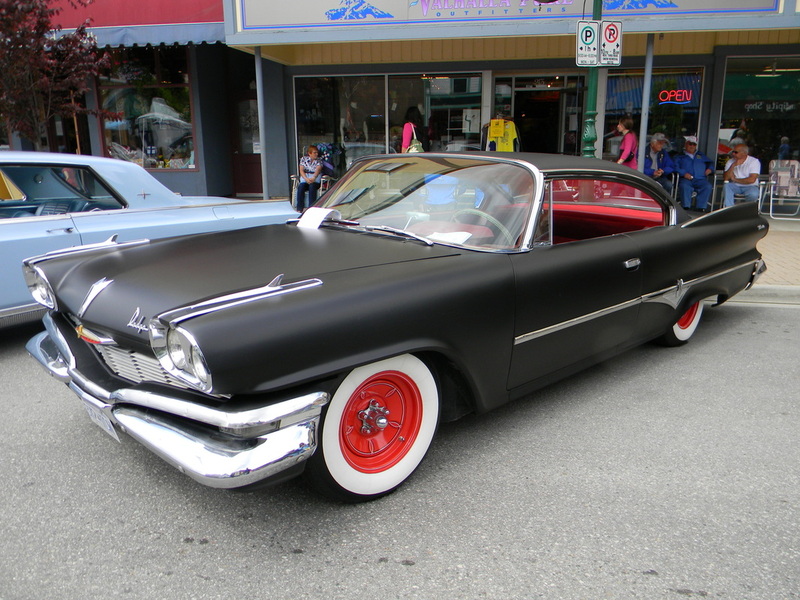 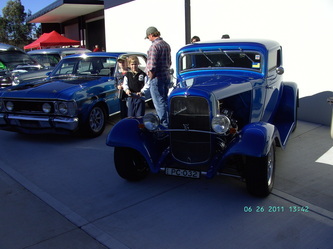 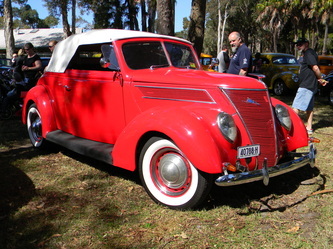 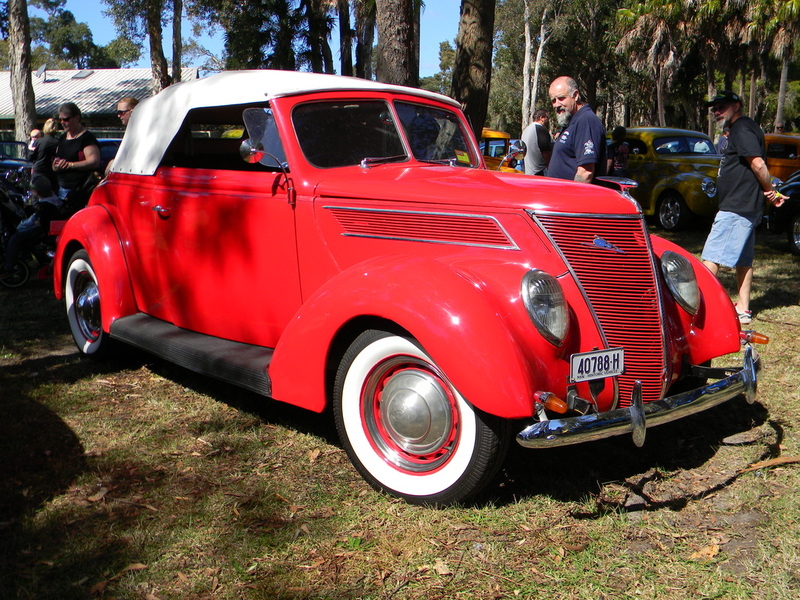 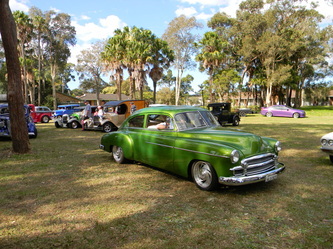 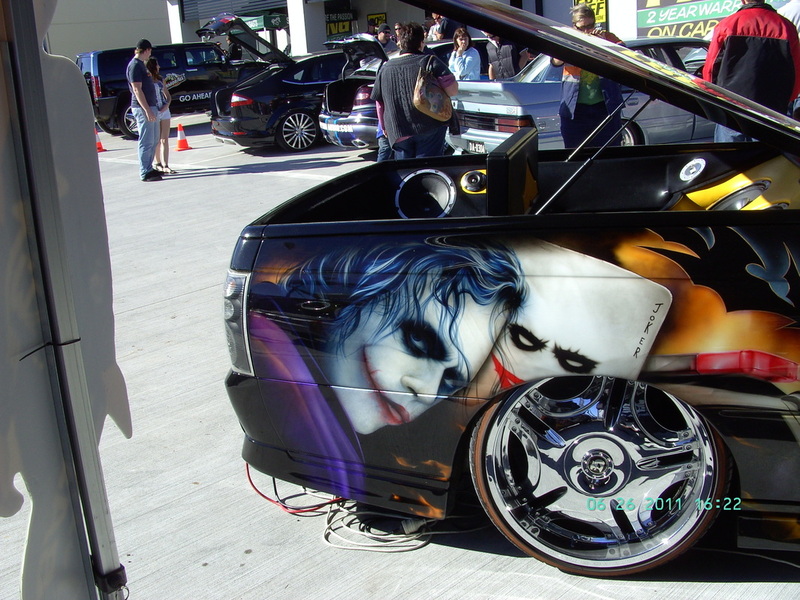 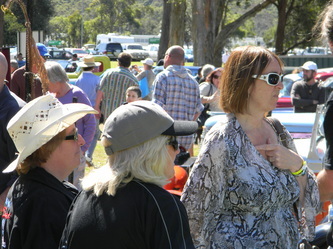 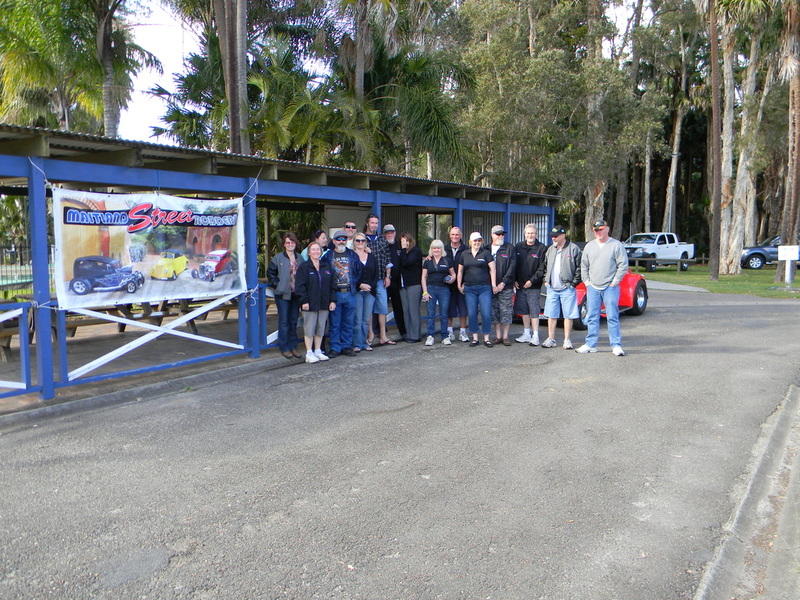 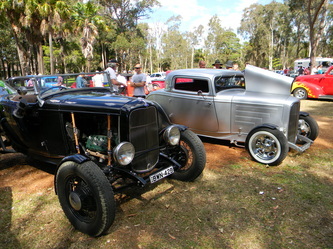 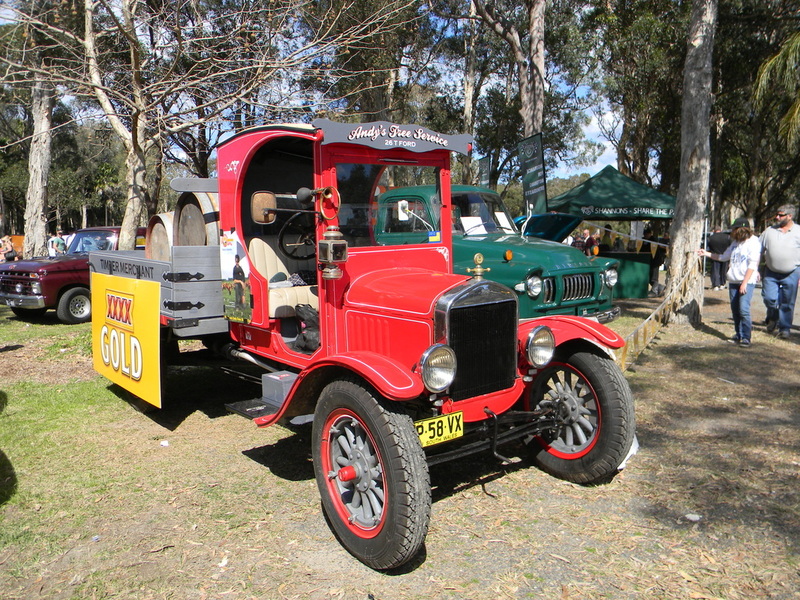 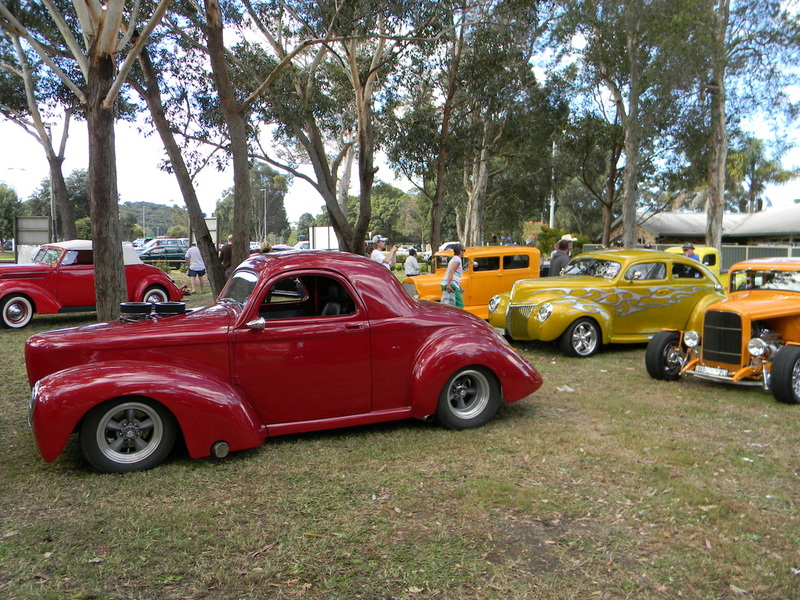 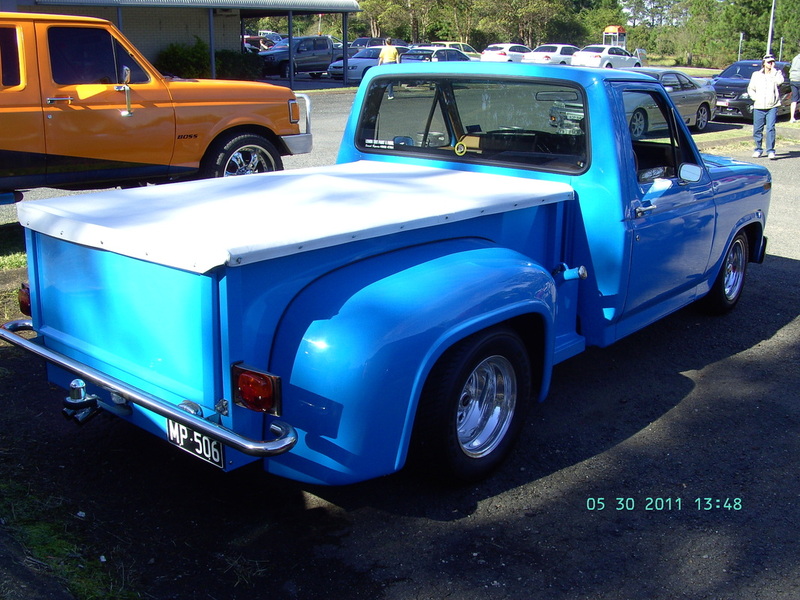 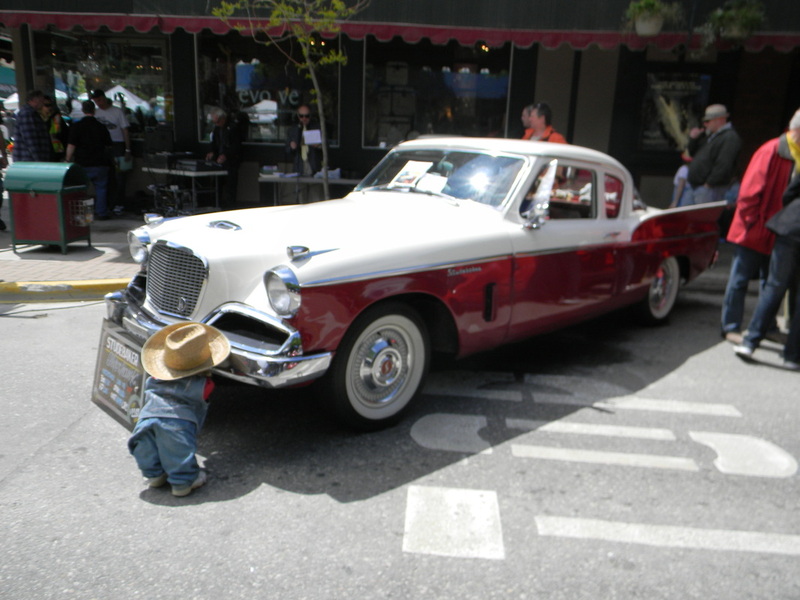 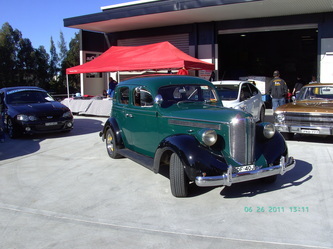 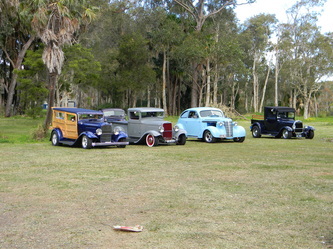 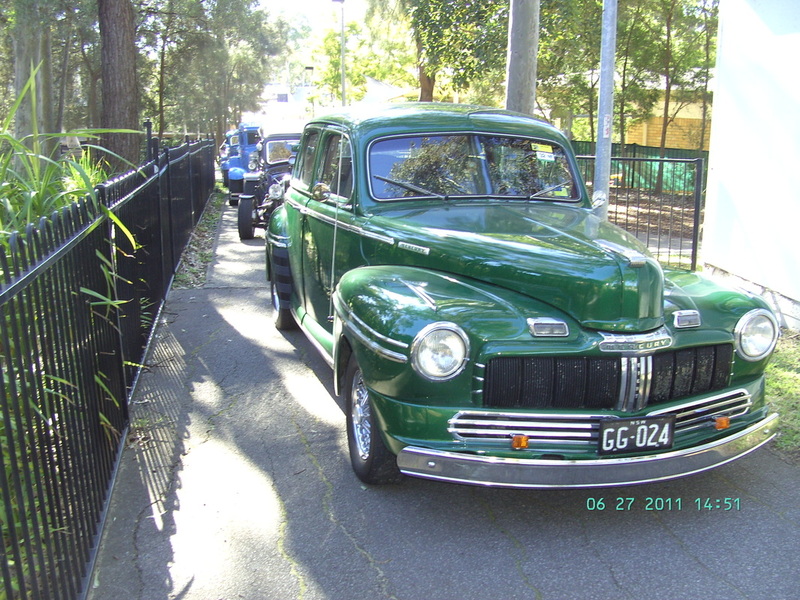 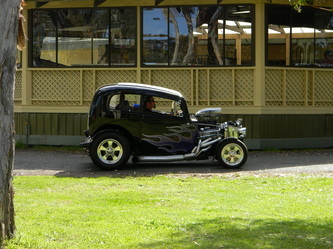 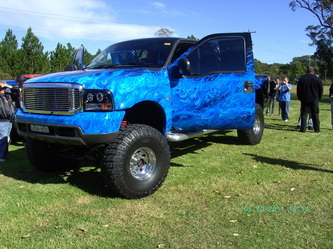 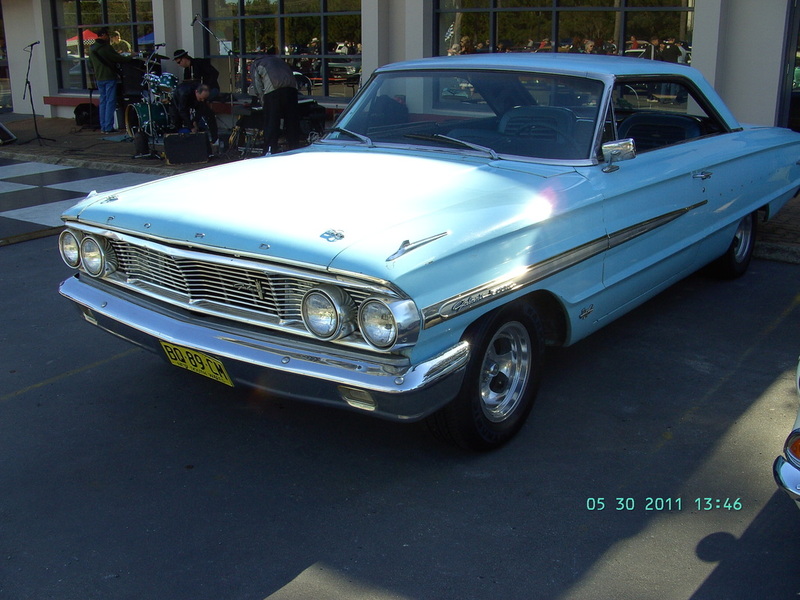 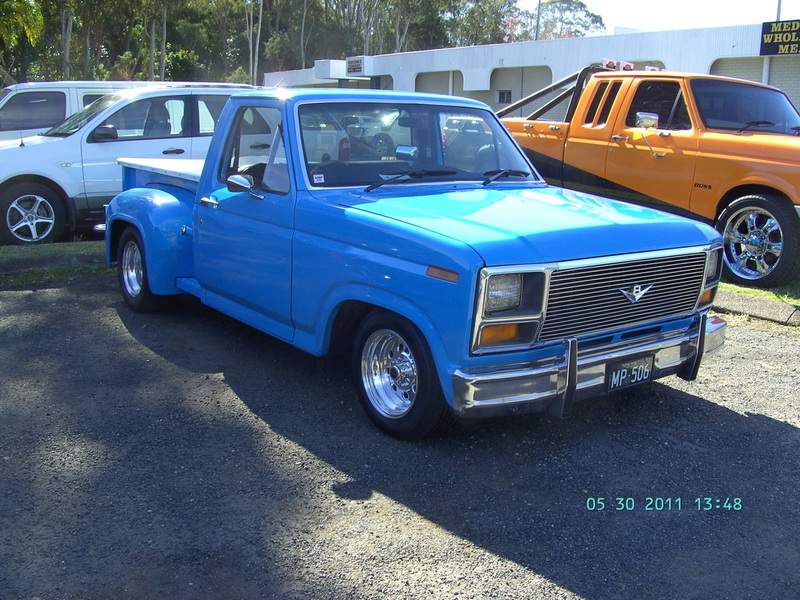 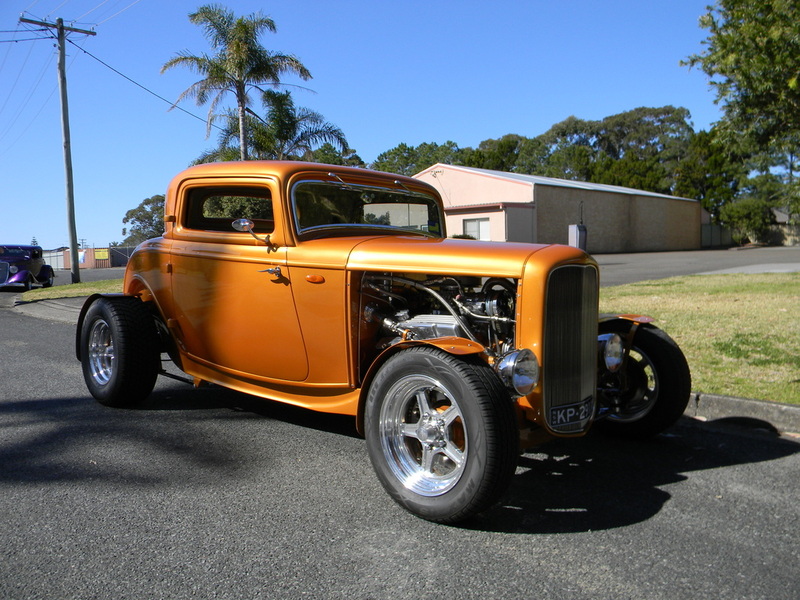 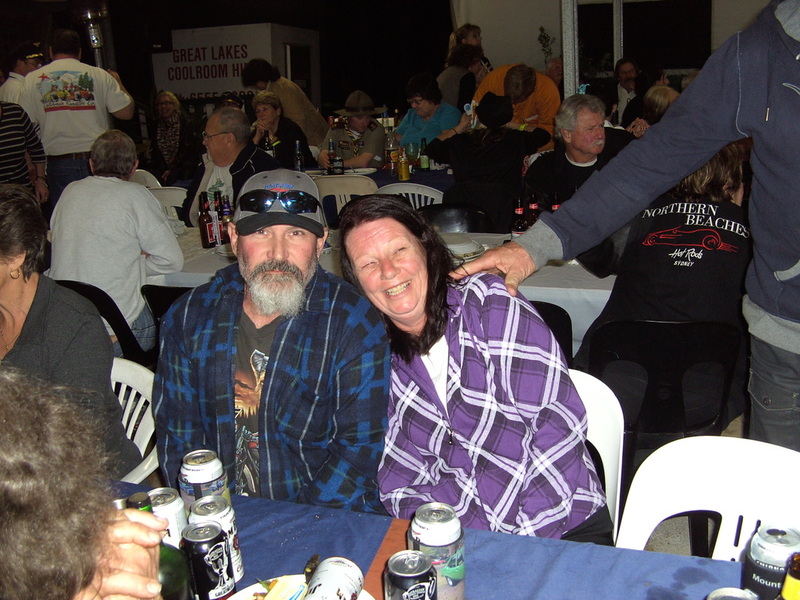 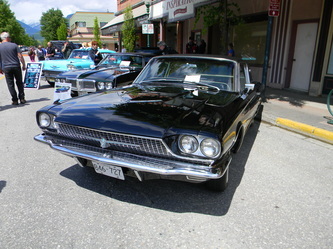 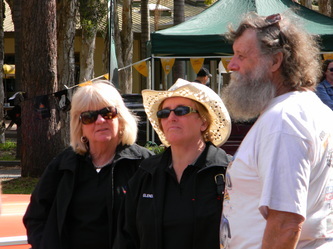 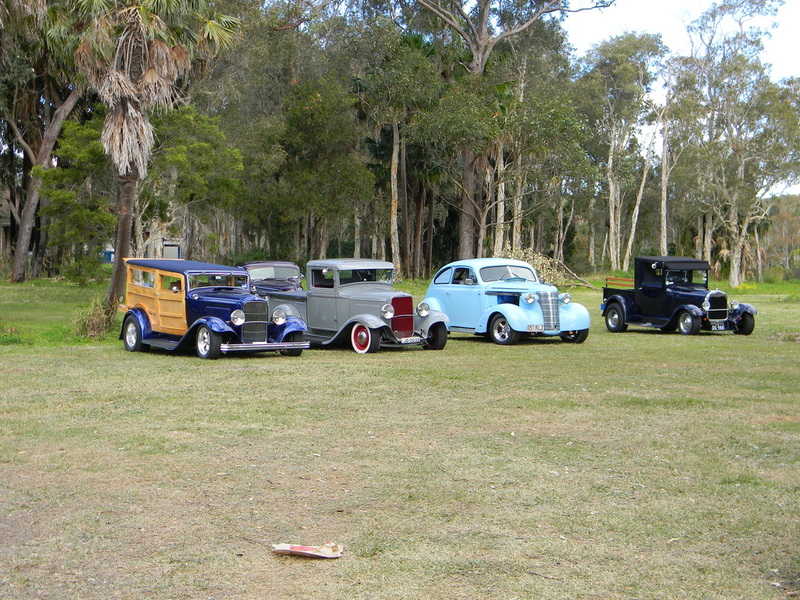 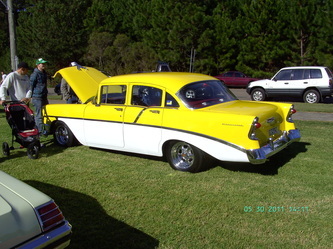 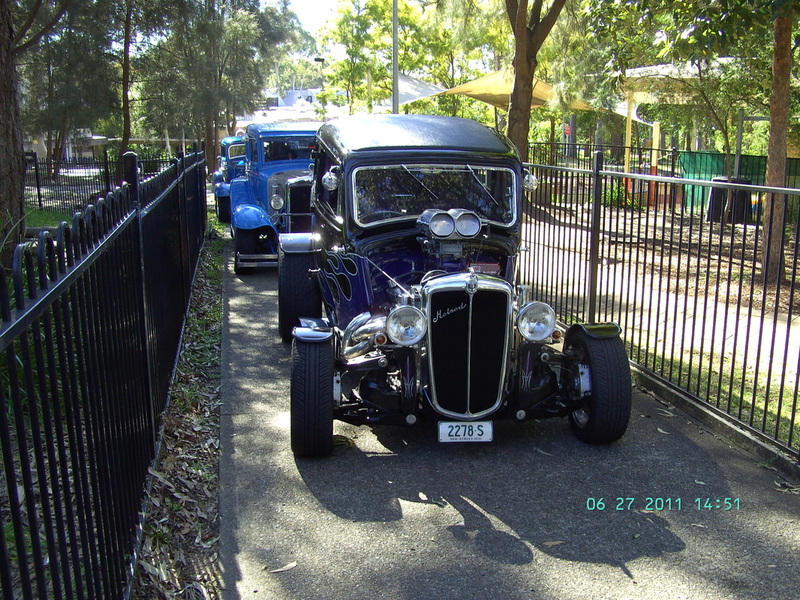 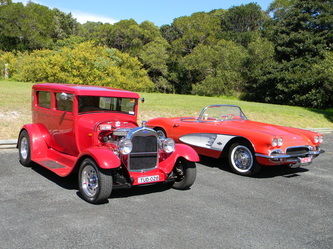 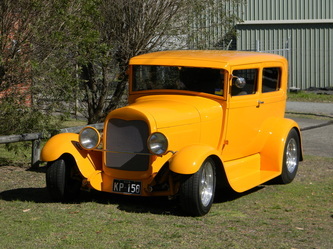 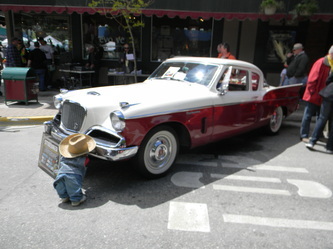 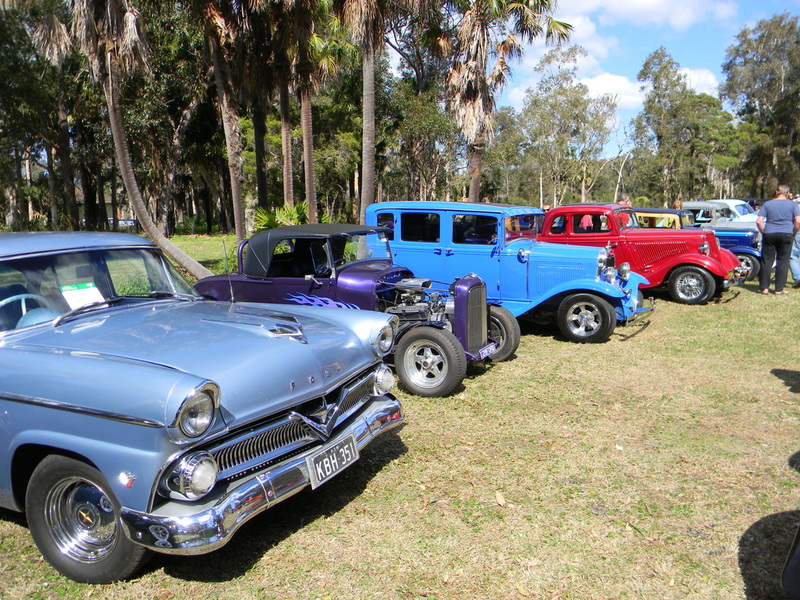 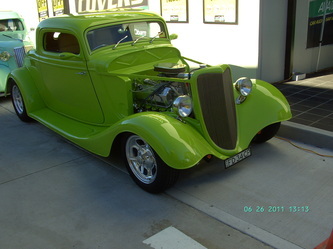 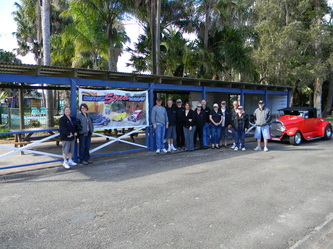 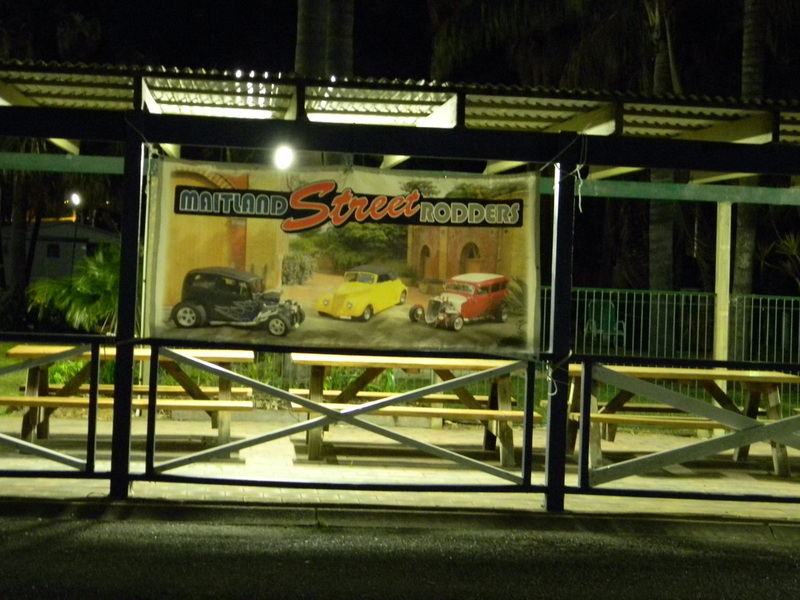 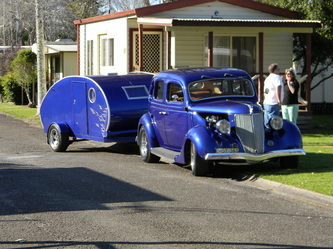 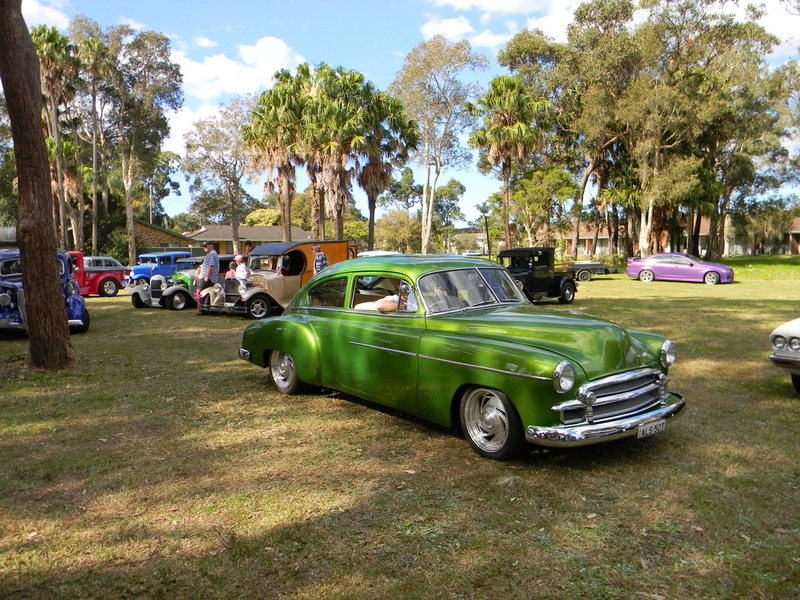 Manning Valley Cruizers hosted another Mountains to the Sea rod run on the last weekend in August. 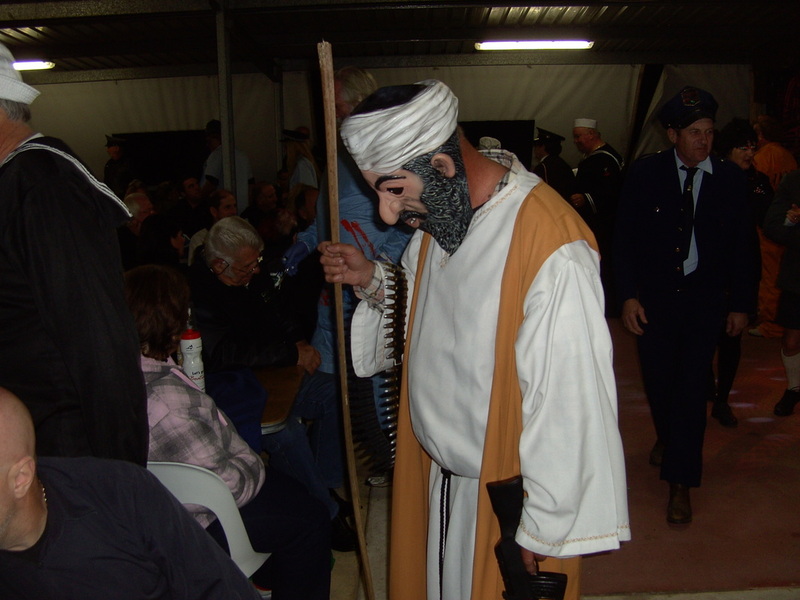 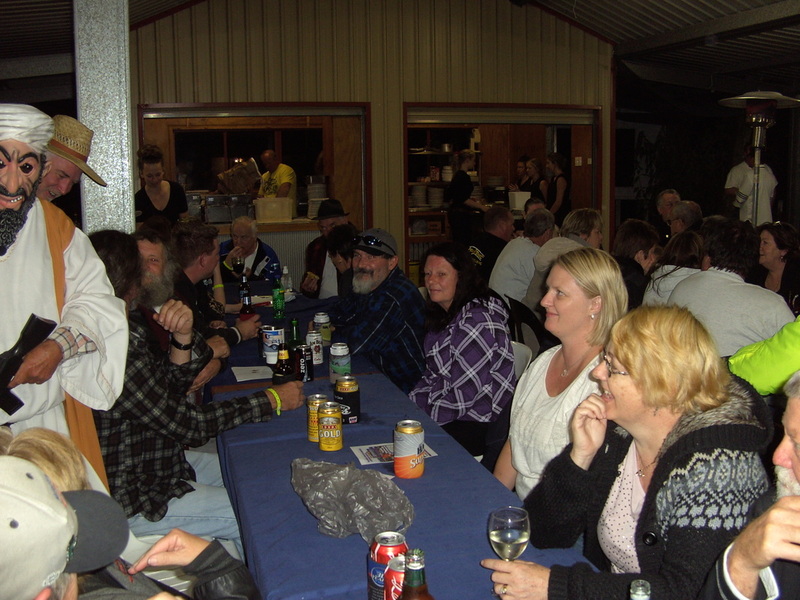 The format was similar to previous years with Smugglers Cove and Lanis Caravan Parks accommodating all who attended and sharing some of the activities. 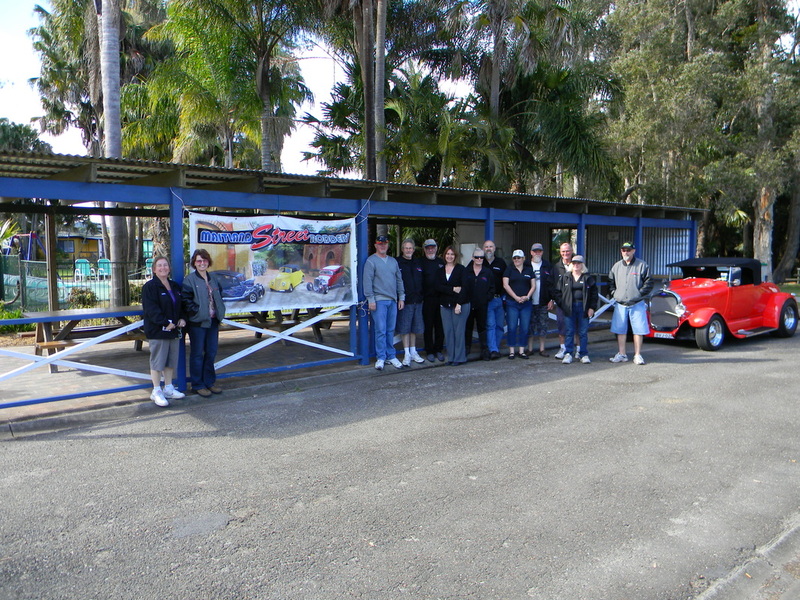 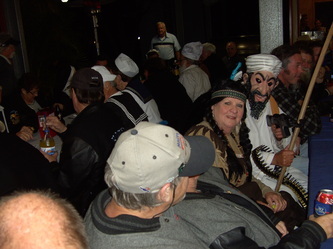 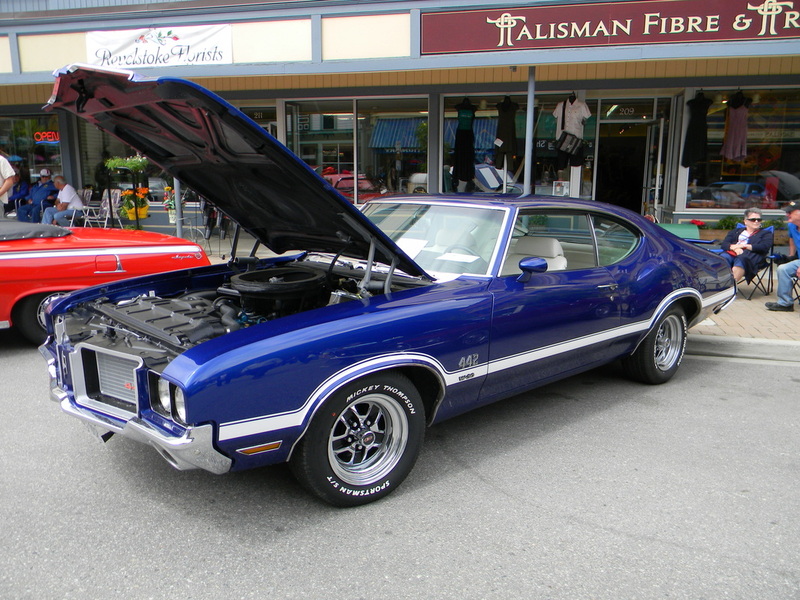 The weather was kind with sunny days and cool evenings and all who attended had a great time with some wishing there was a poker run on the Saturday morning . 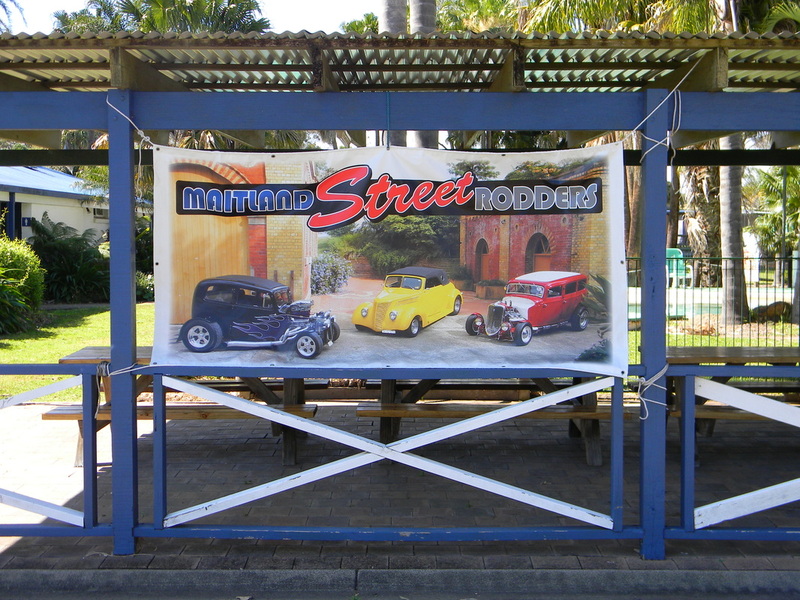 Maitland Street Rodders took out the best represented club trophy for the second year in a row and four of our members, Arthur, Bob, Claude and Paul A's rods being in the top ten. 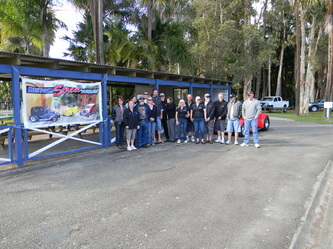 We also took out the trophy nobody wants with Ray winning the hard luck story when his rod broke down on the way and did not make it to the event. 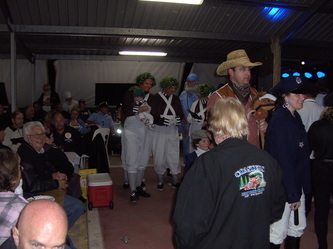 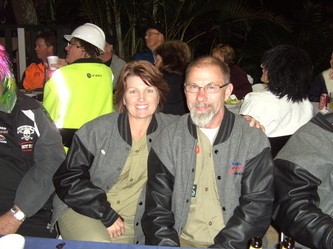 A few other hard luck stories involving our members also took place. 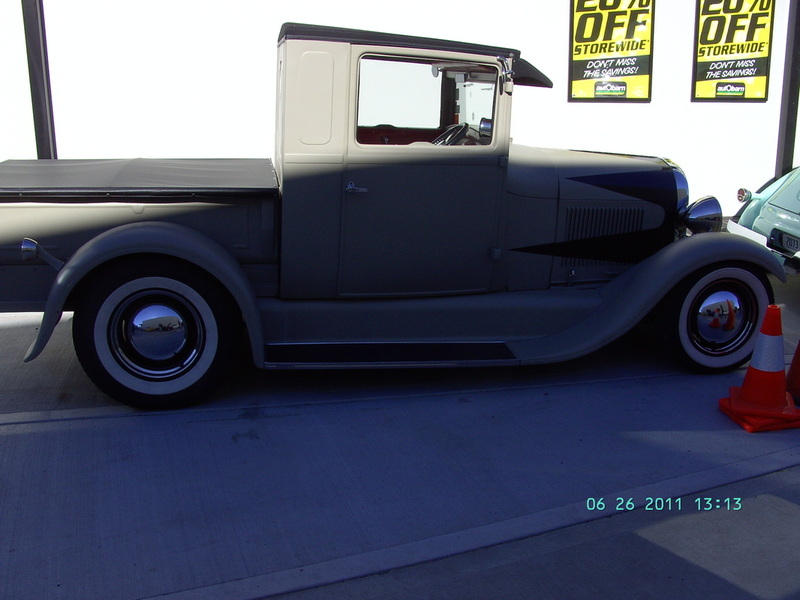 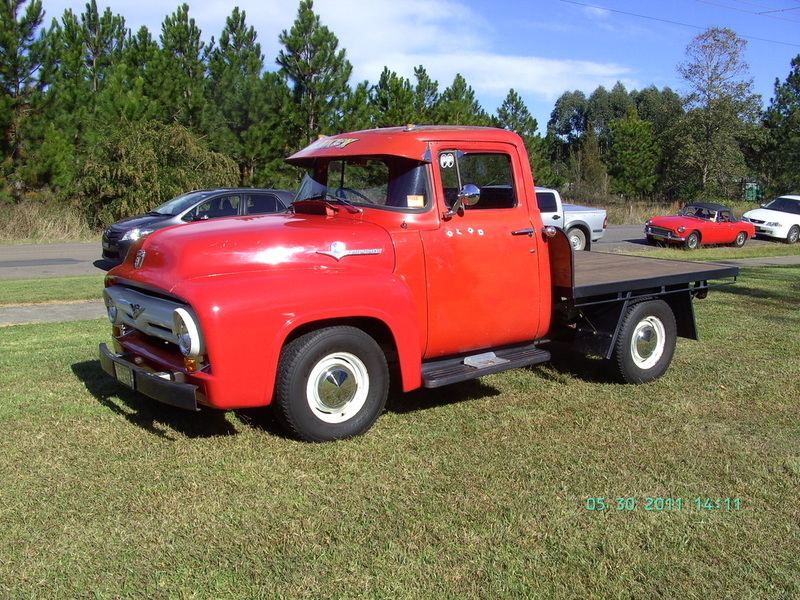 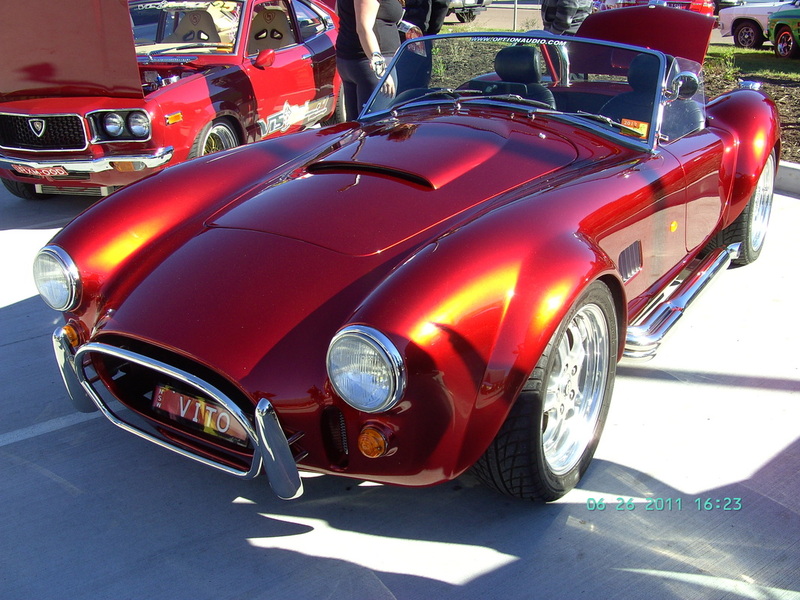 Pete's roadster only made it part of the way before doing a fuel pump leaving him to limp home, replace the pump and start out again the next day. 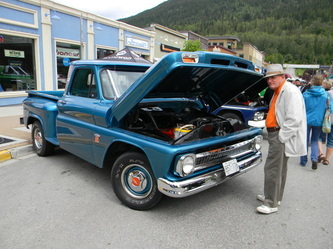 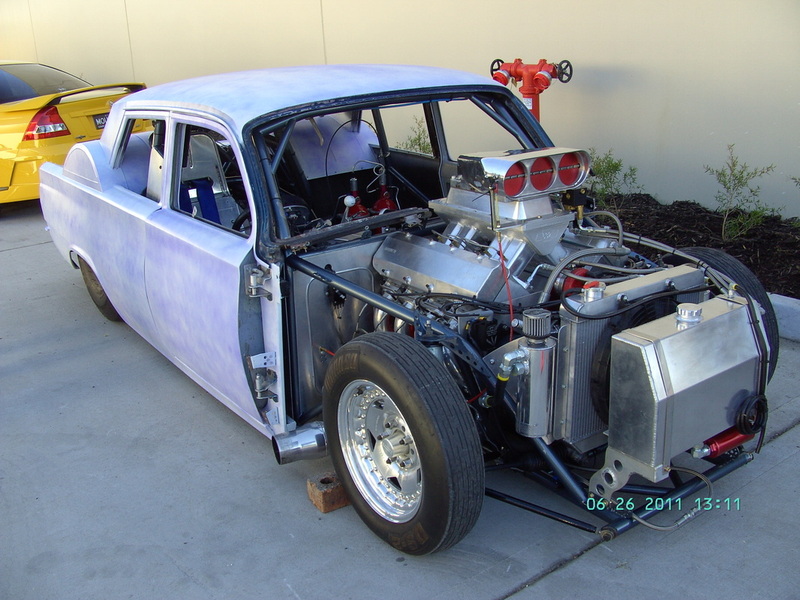 Bob on his return found out his motor needs a rebuild due to a damaged crankshaft and roller rocker. Arthur fell in the amenities block on the last night and cracked a rib in two places, if only he had been drunk as he never hurts himself falling in that condition. 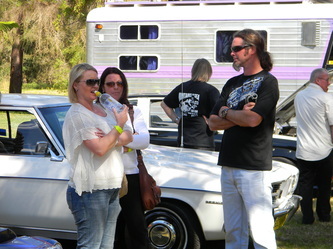 Even with all these problems everyone has rebooked for next year and some of us are staying for two weeks because it is such a great spot and terrific event.